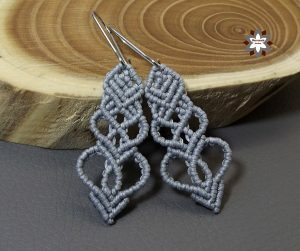 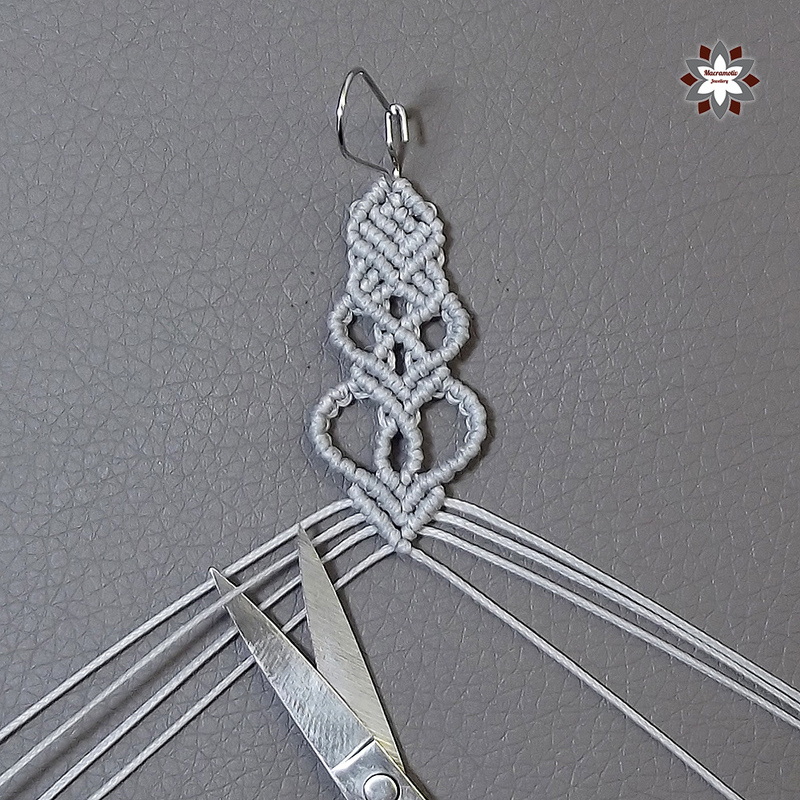 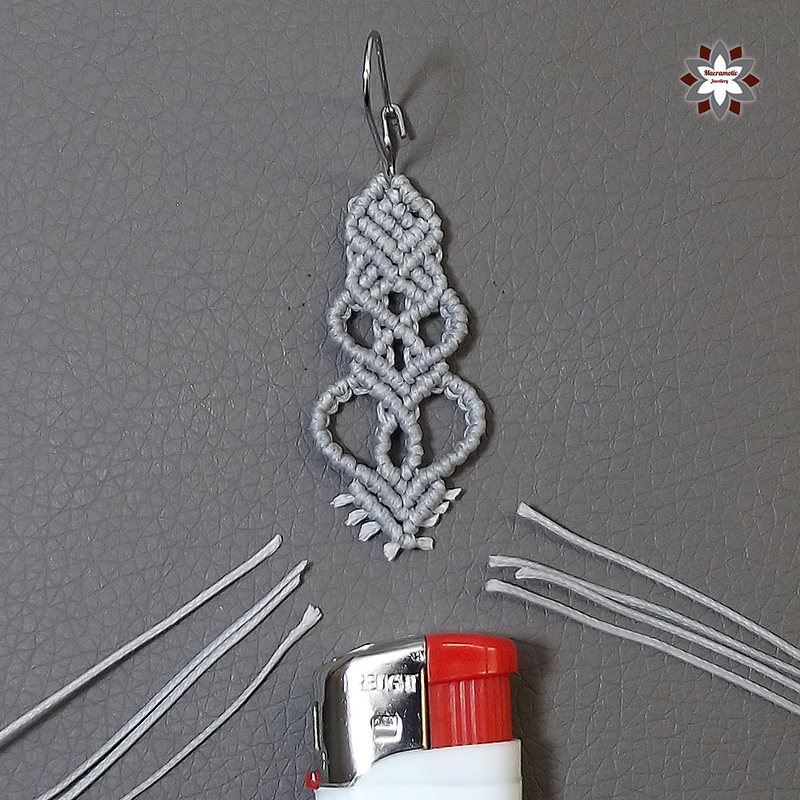 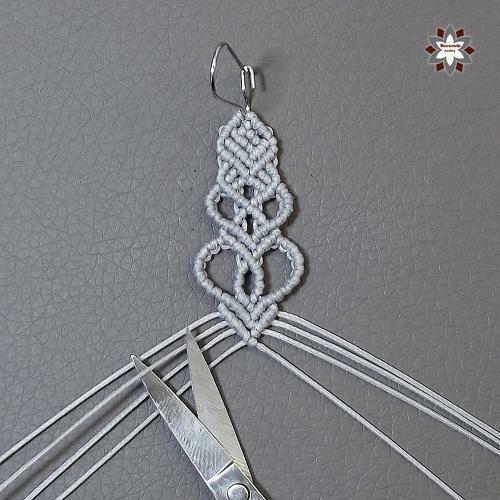 It is very simple, the previous tutorials already contain this heart pattern or the step pattern, I only mixed them in one earring. 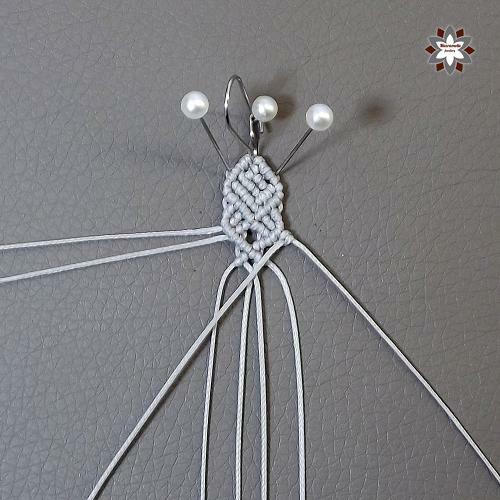 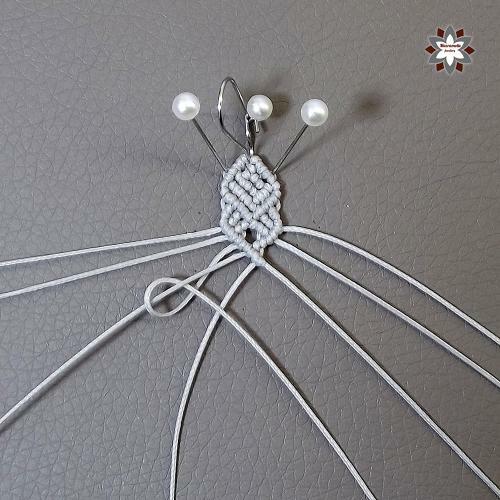 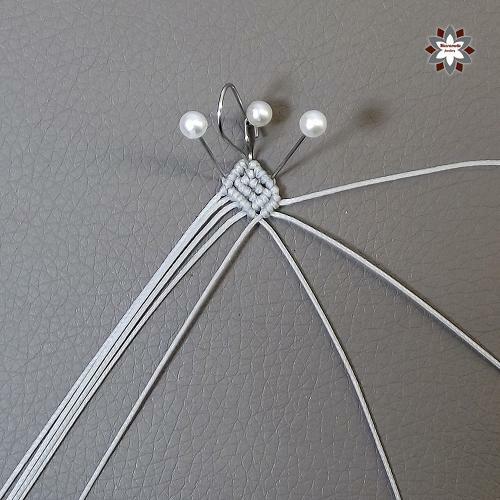 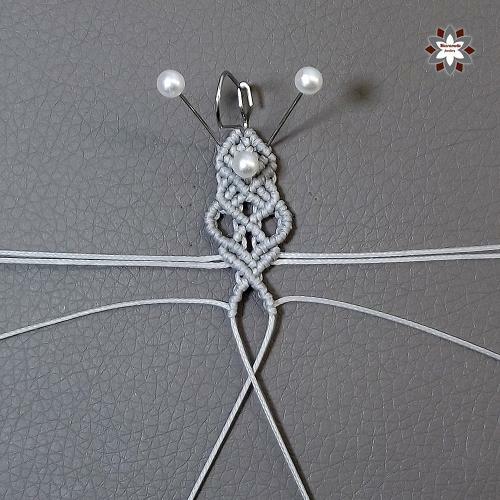 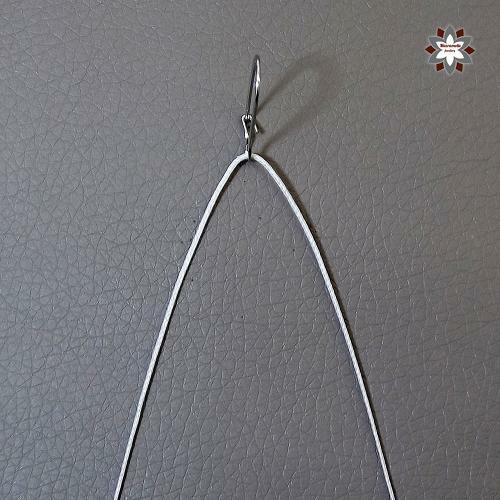 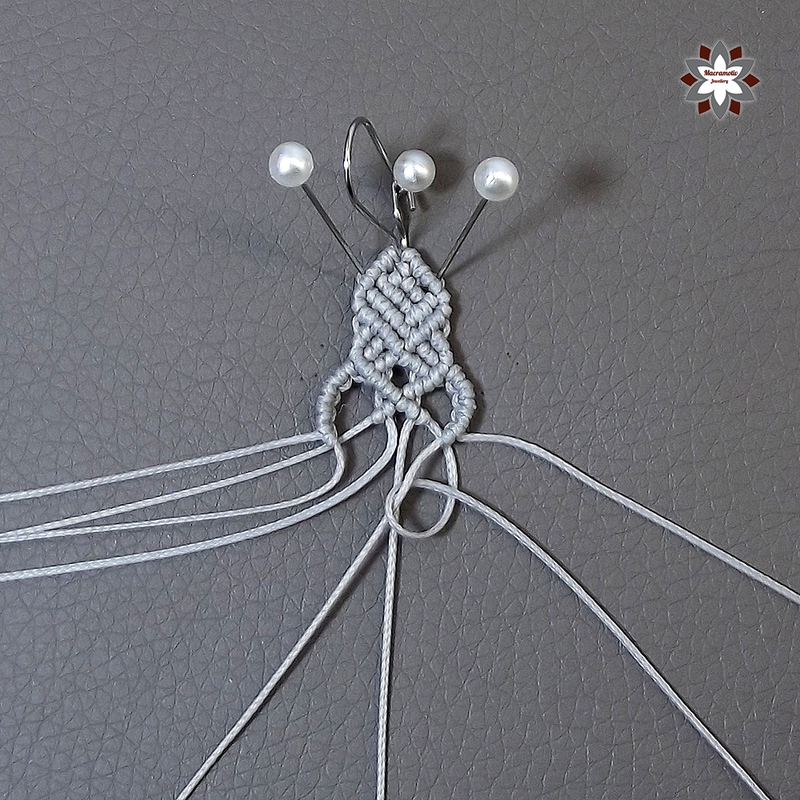 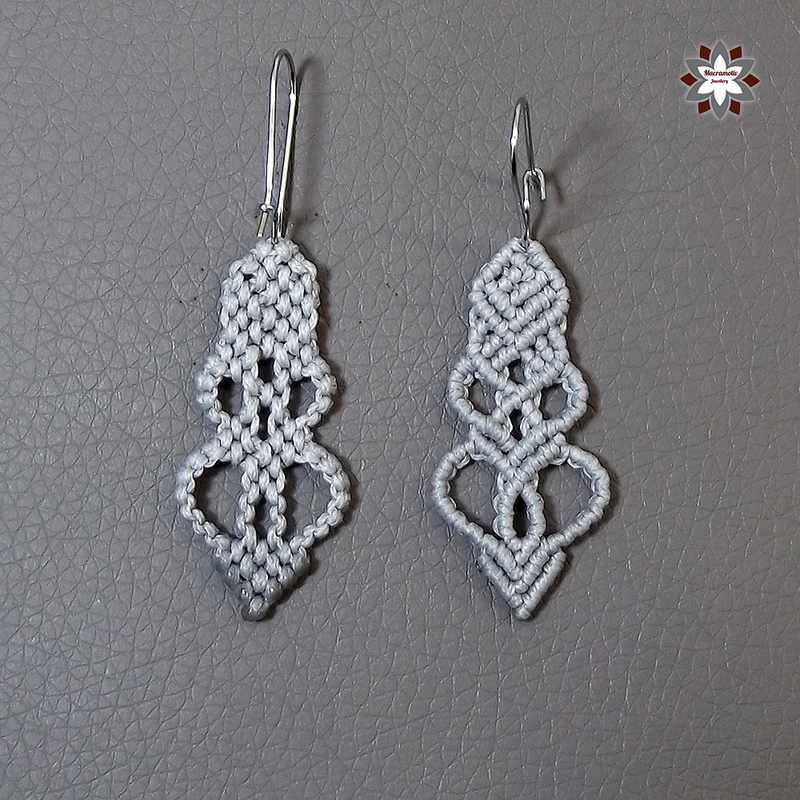 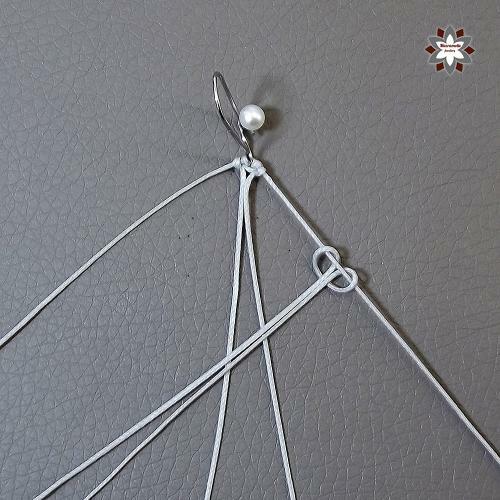 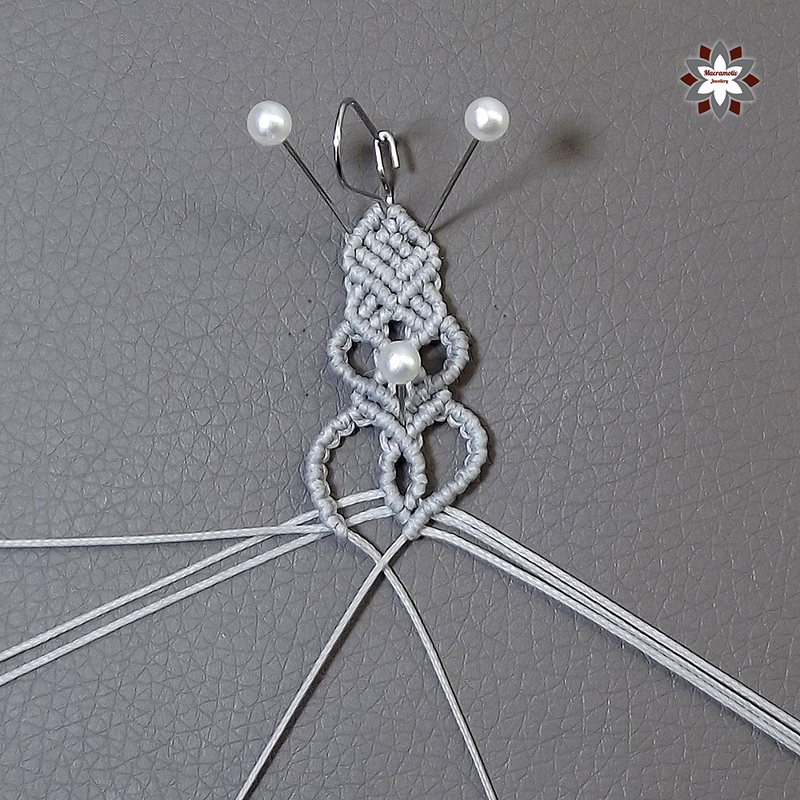 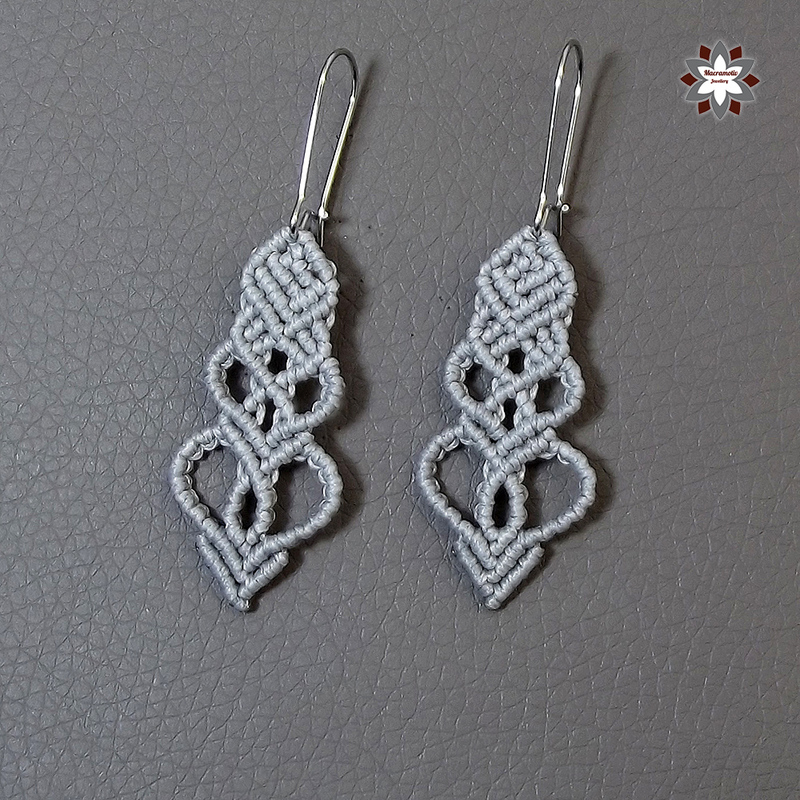 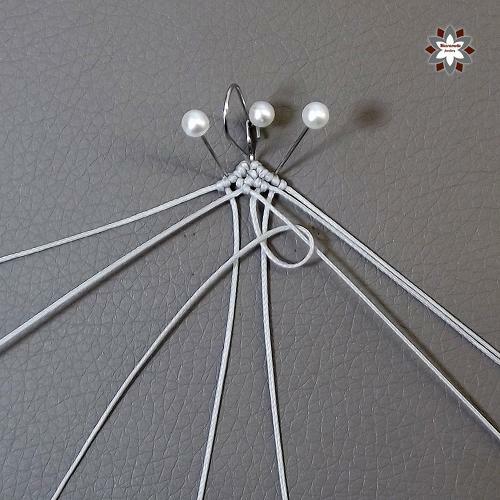 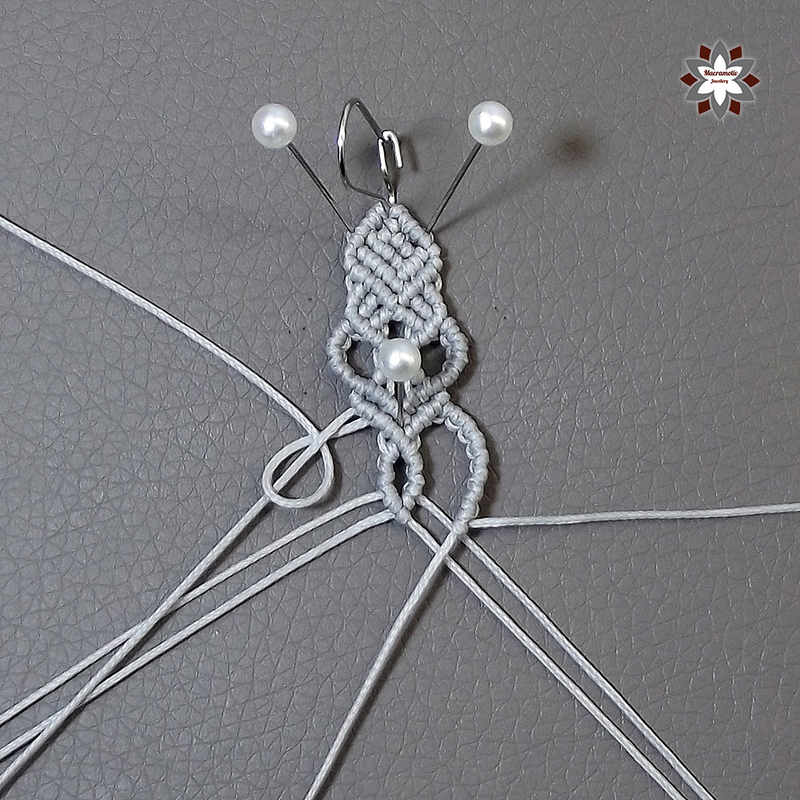 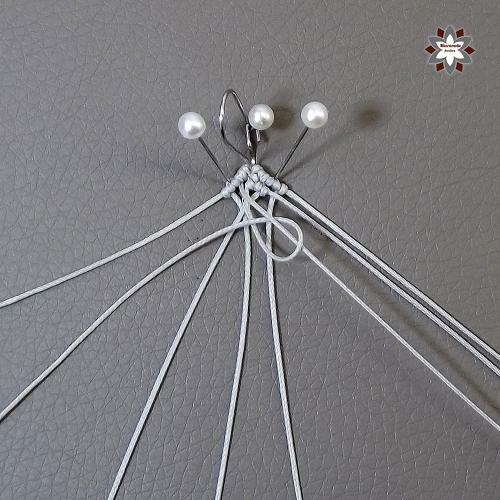 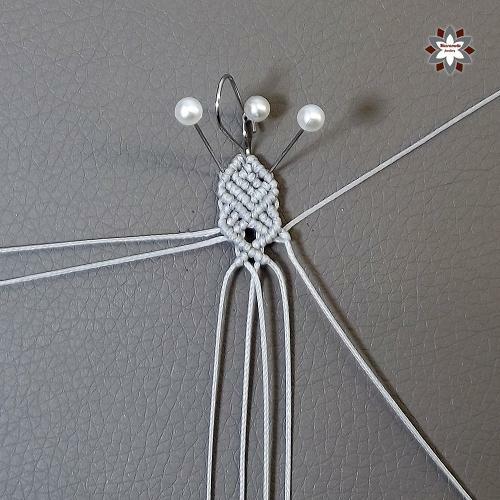 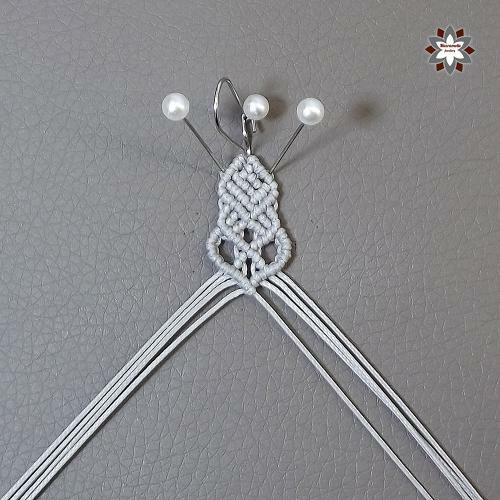 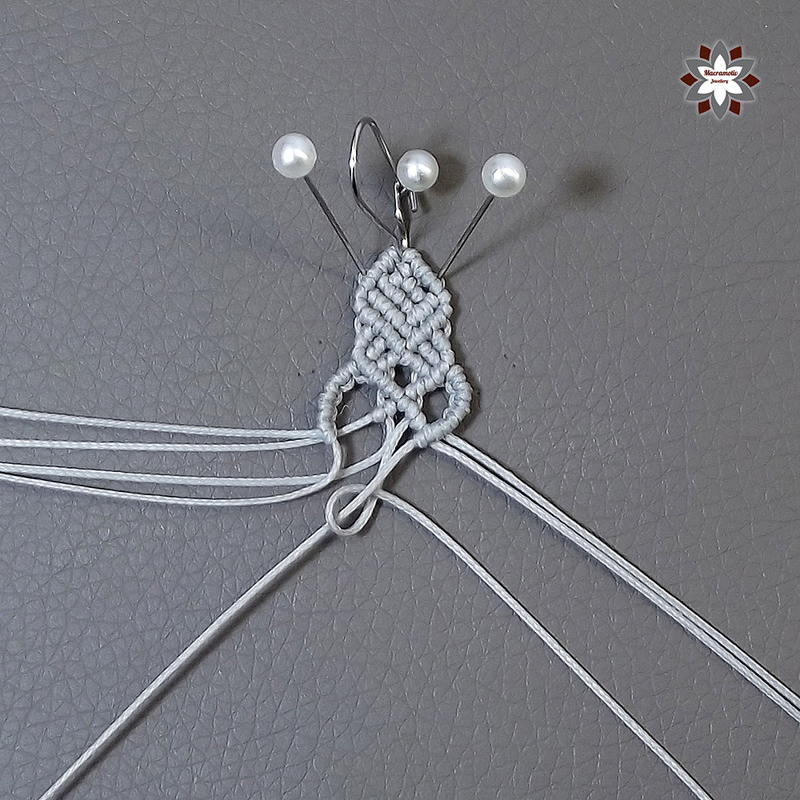 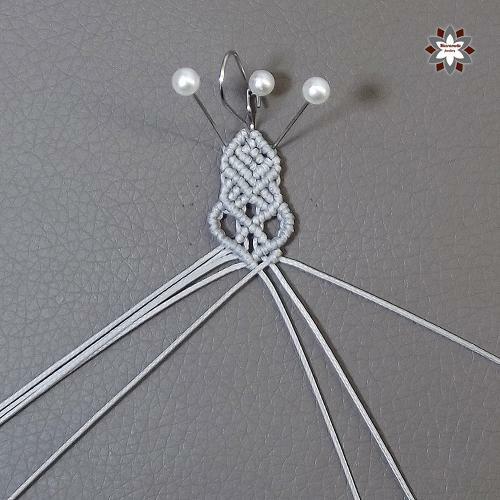 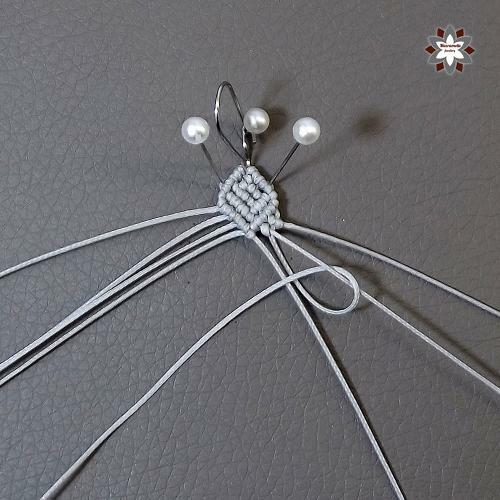 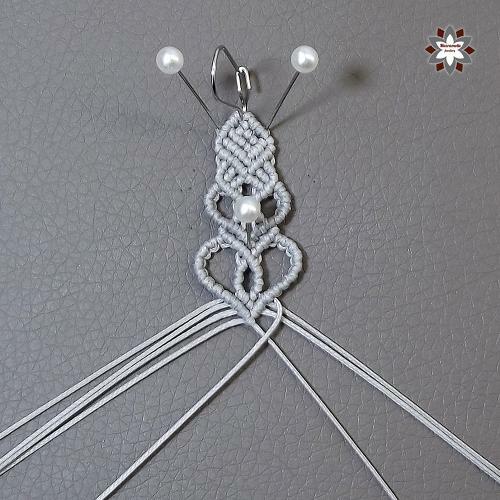 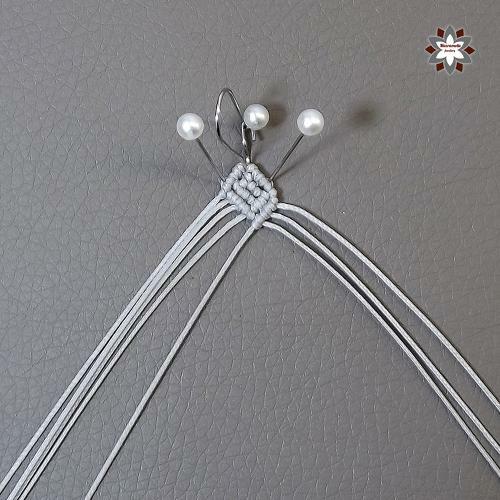 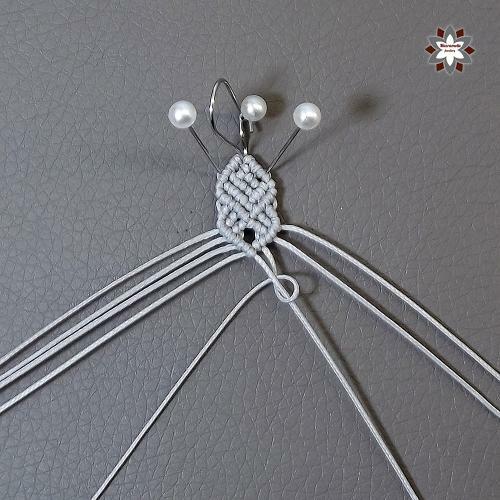 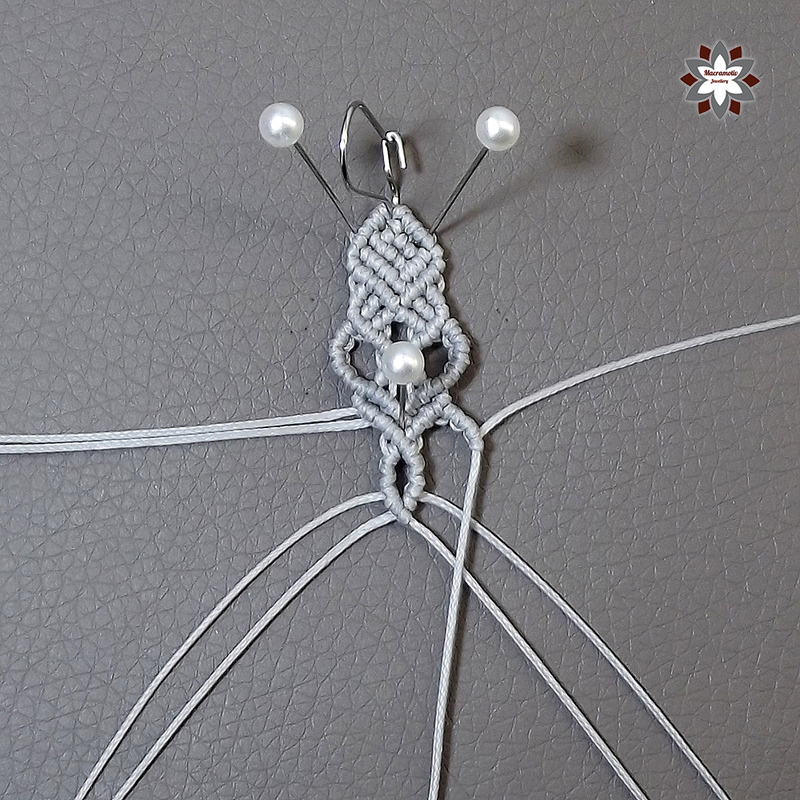 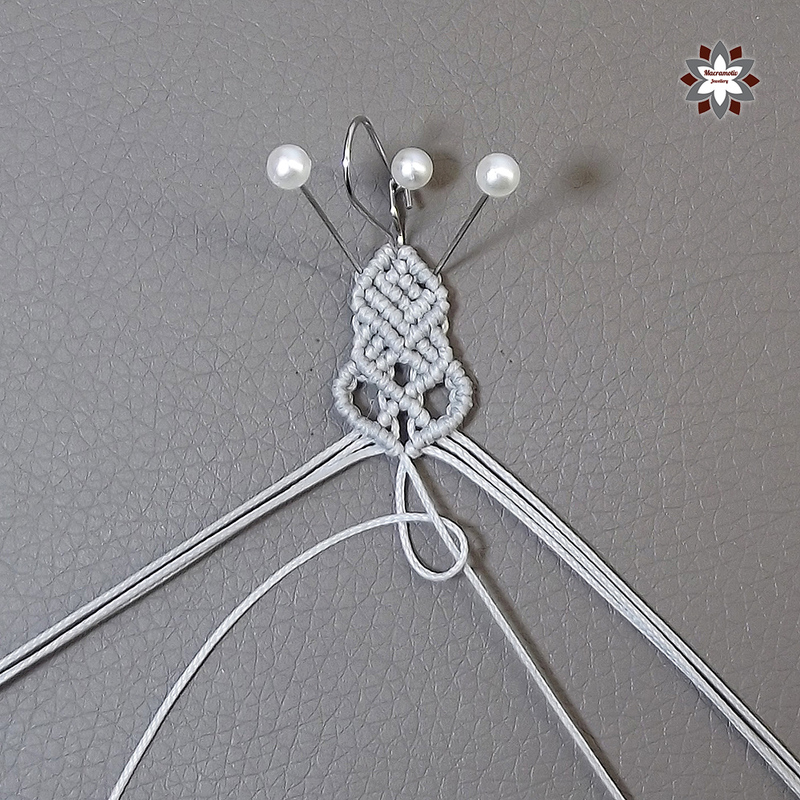 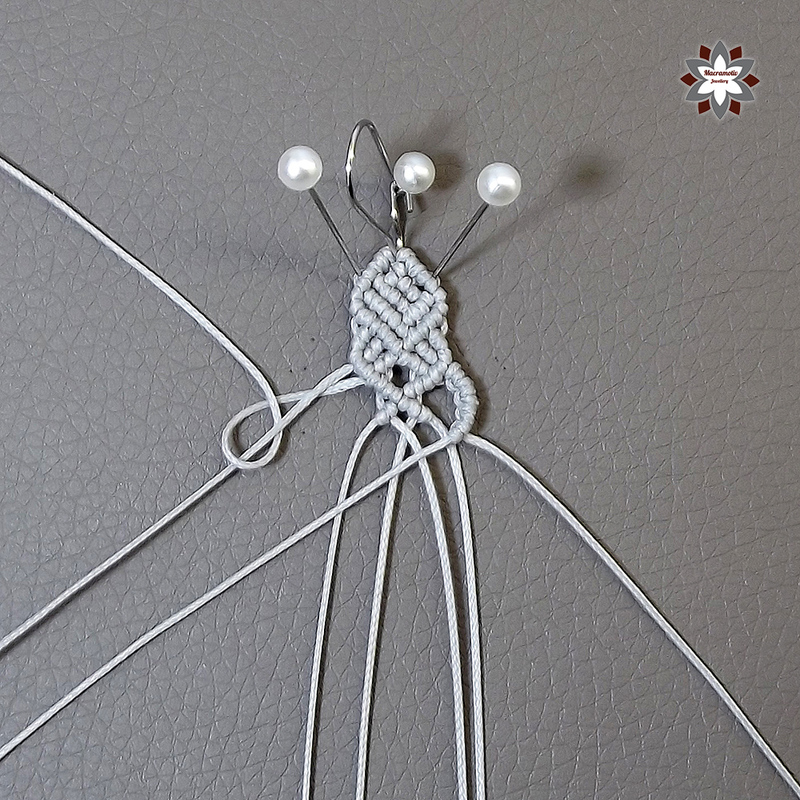 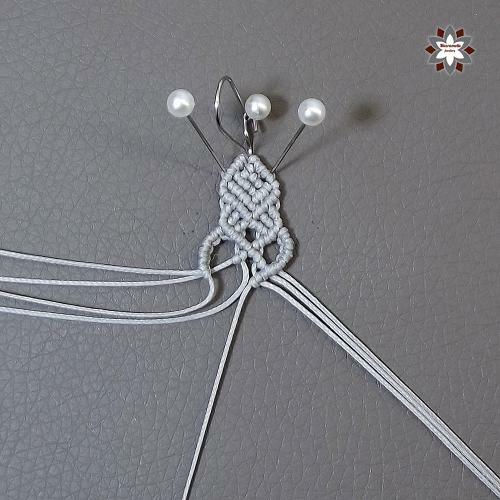 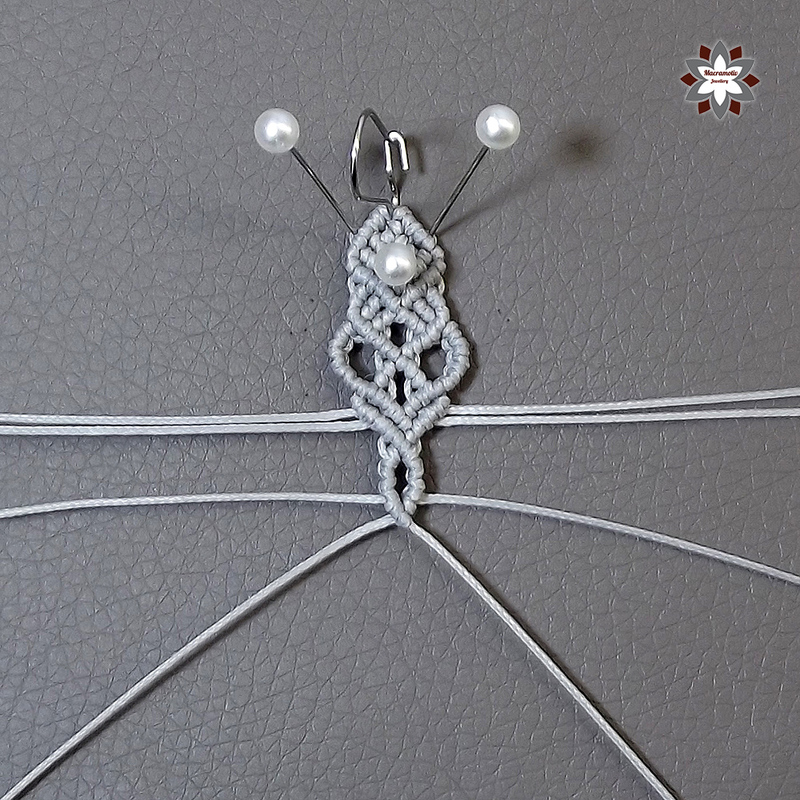 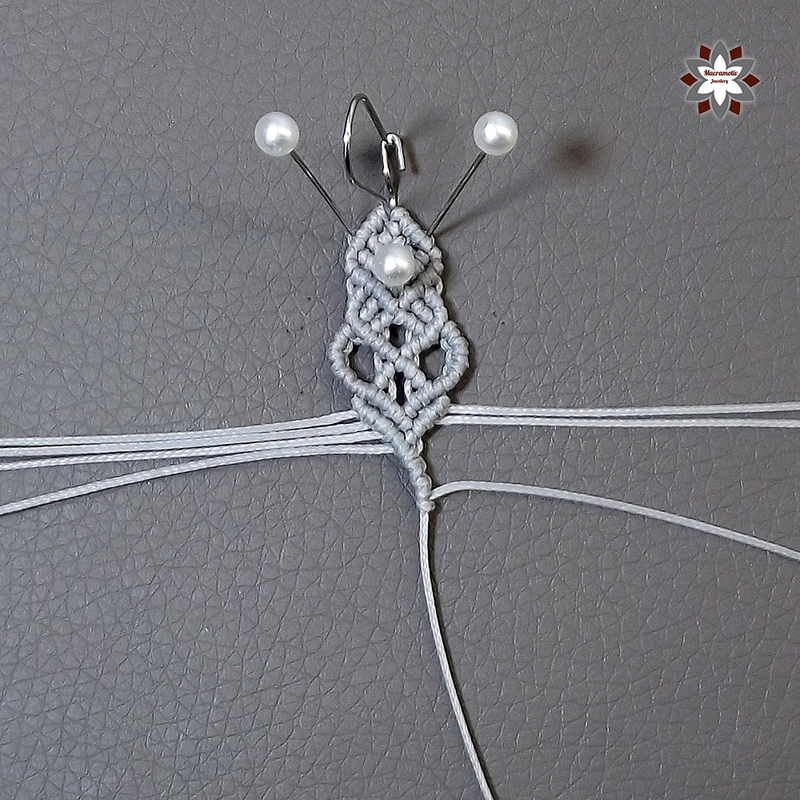 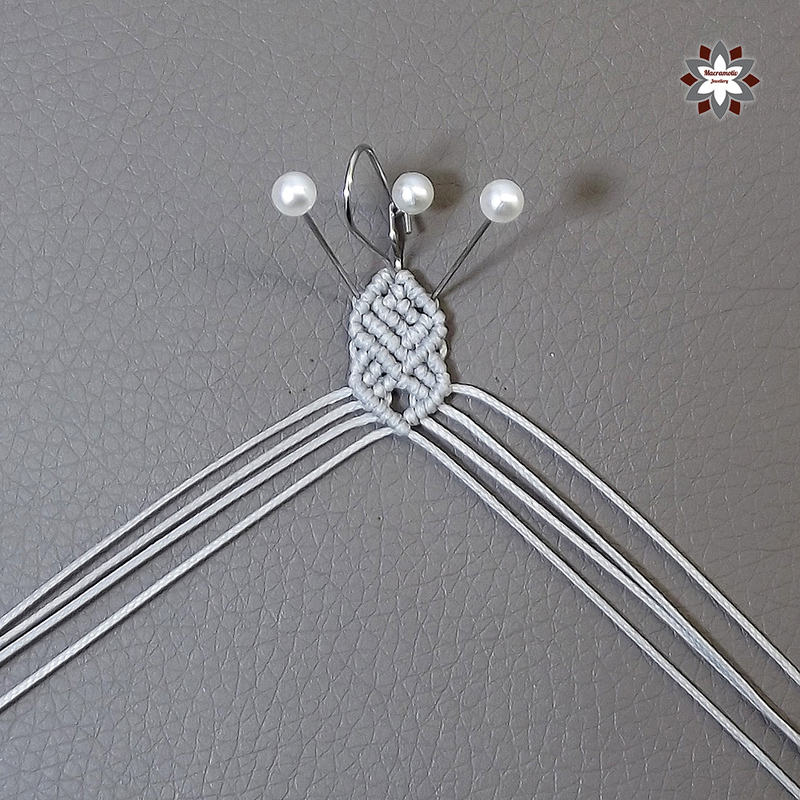 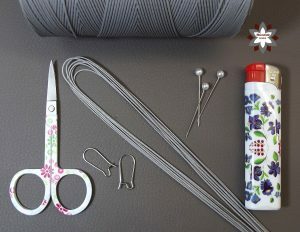 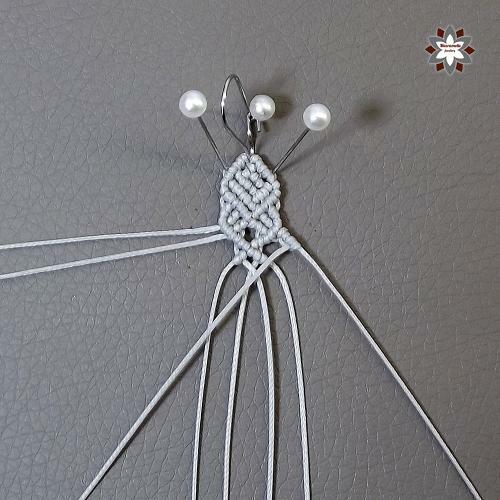 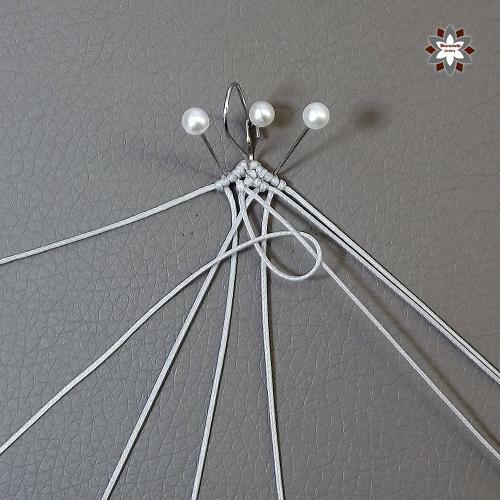 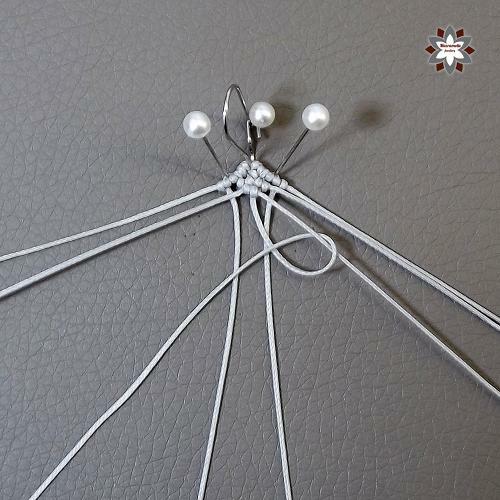 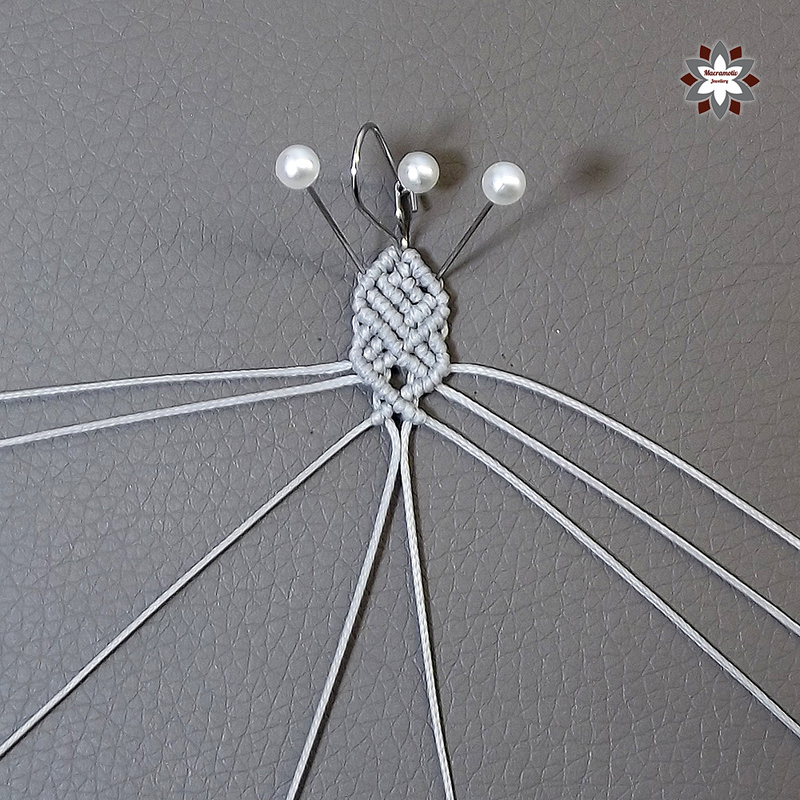 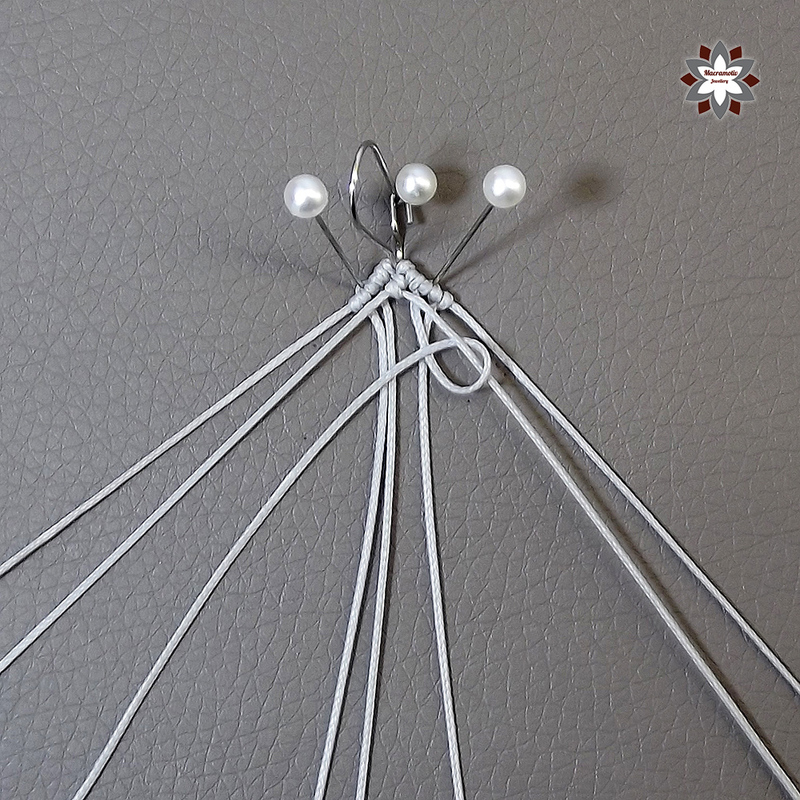 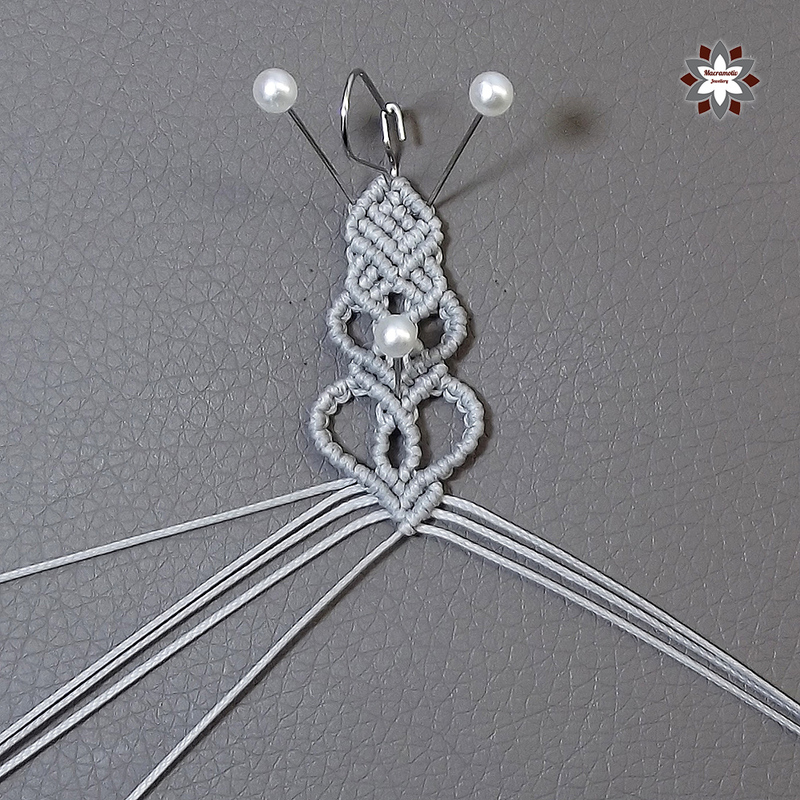 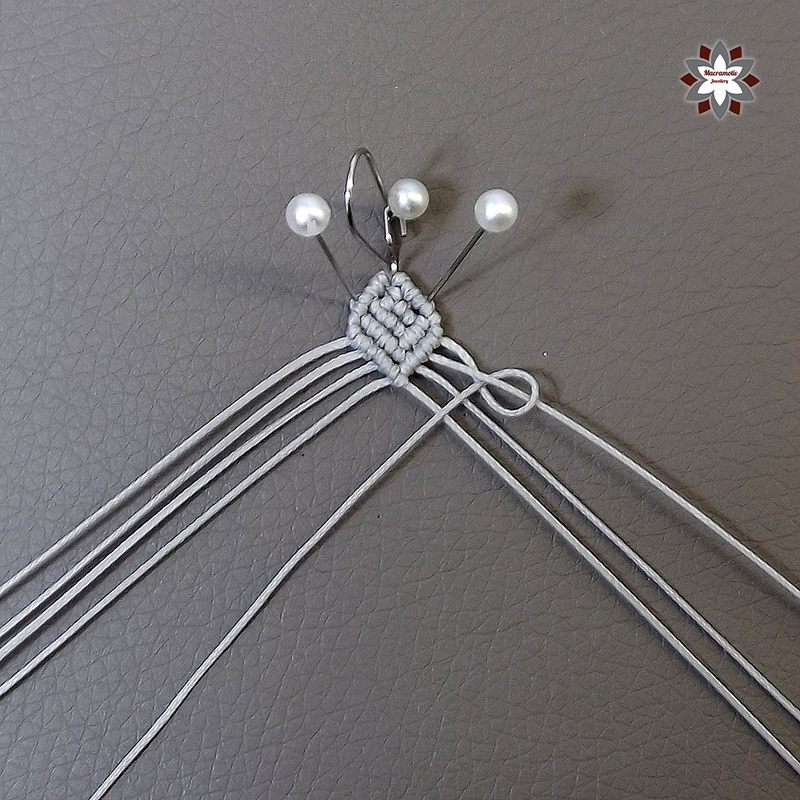 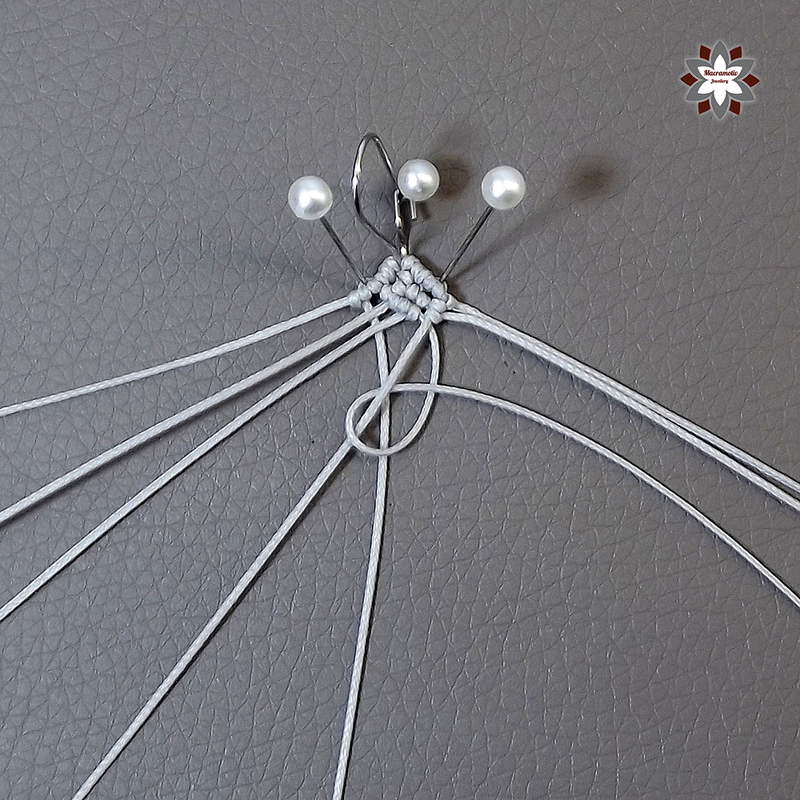 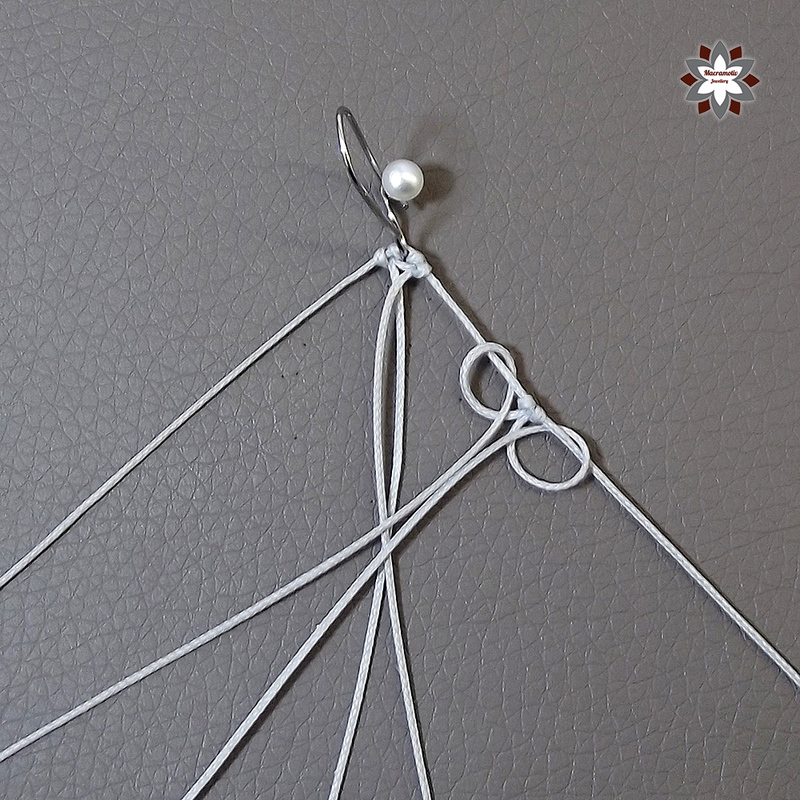 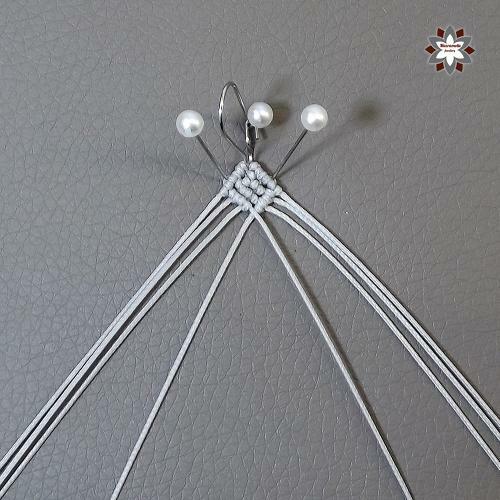 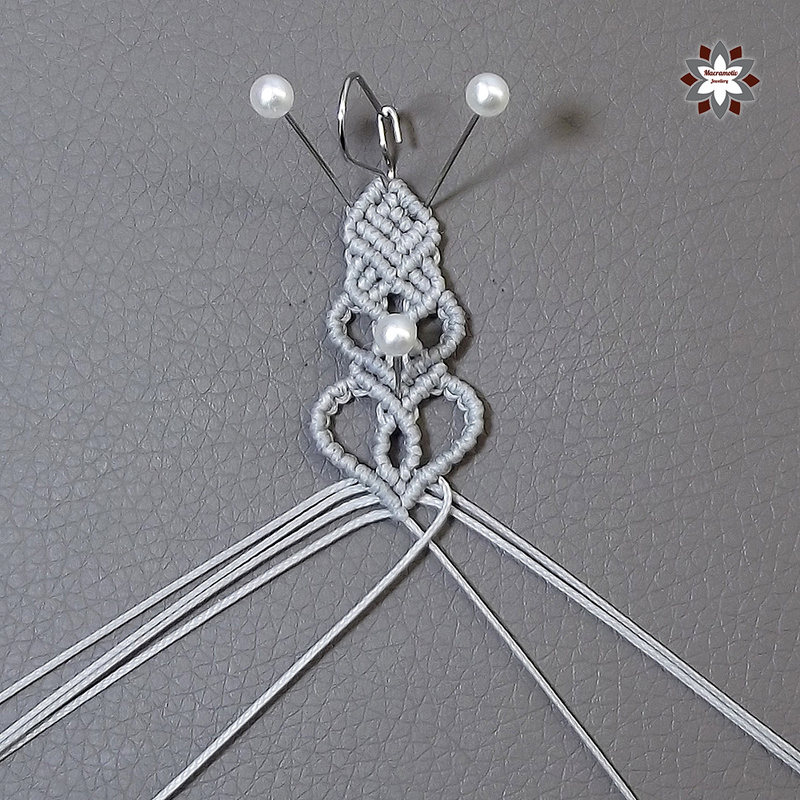 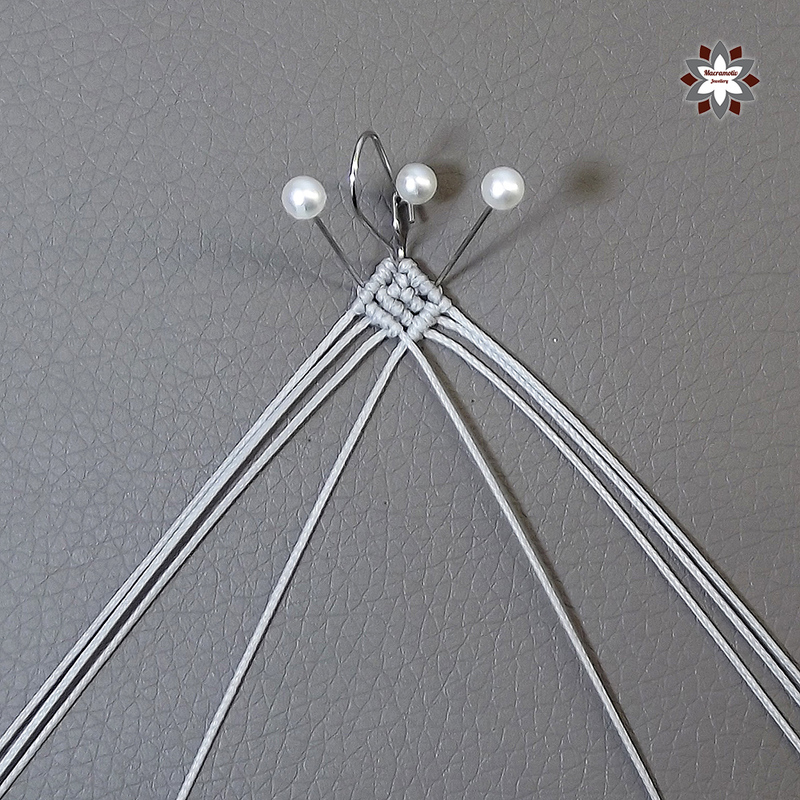 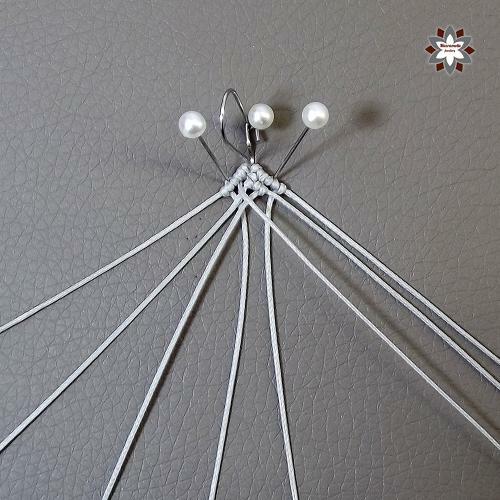 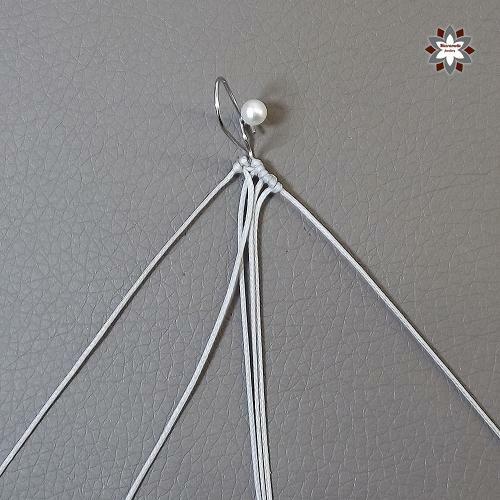 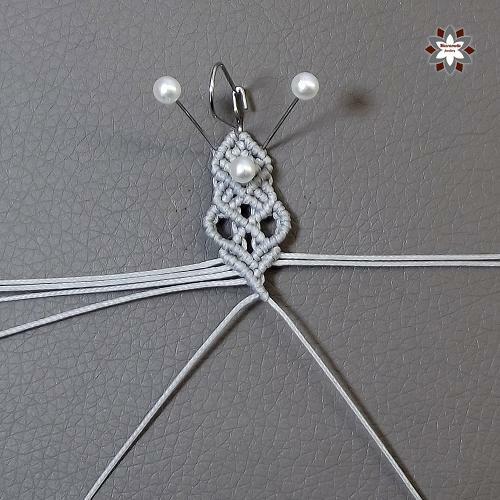 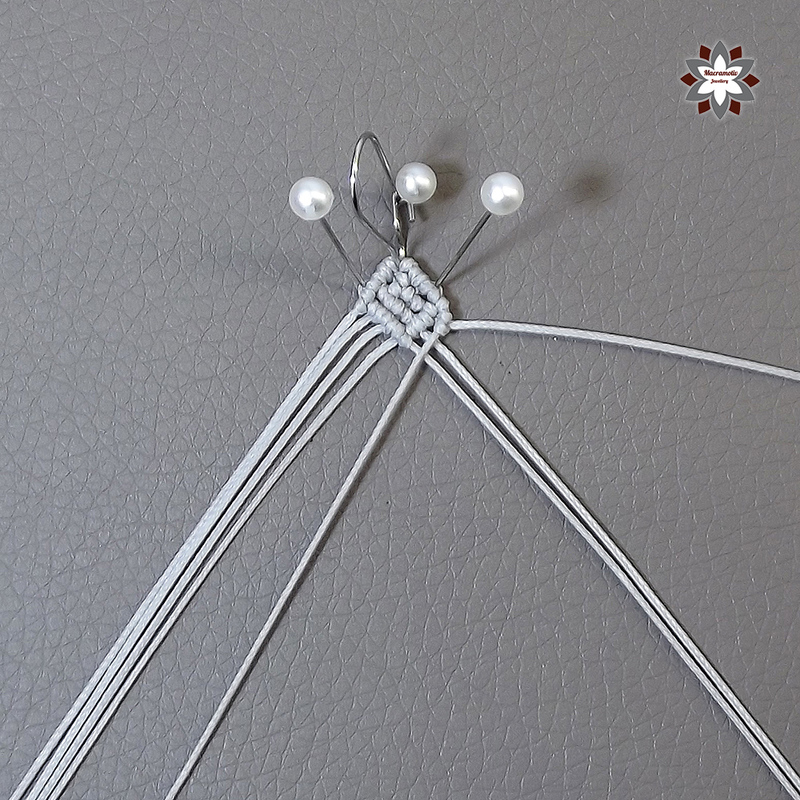 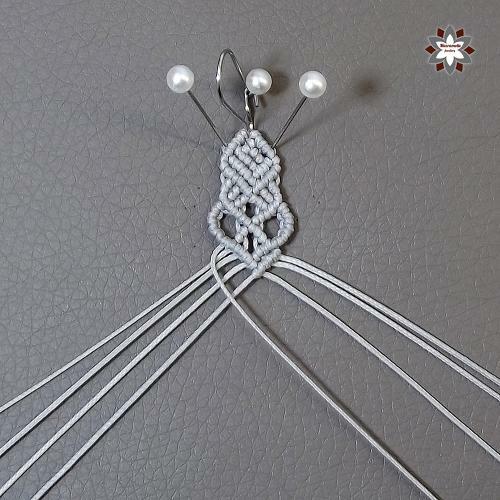 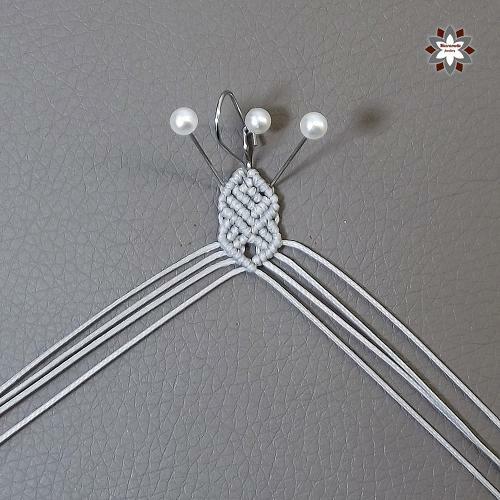 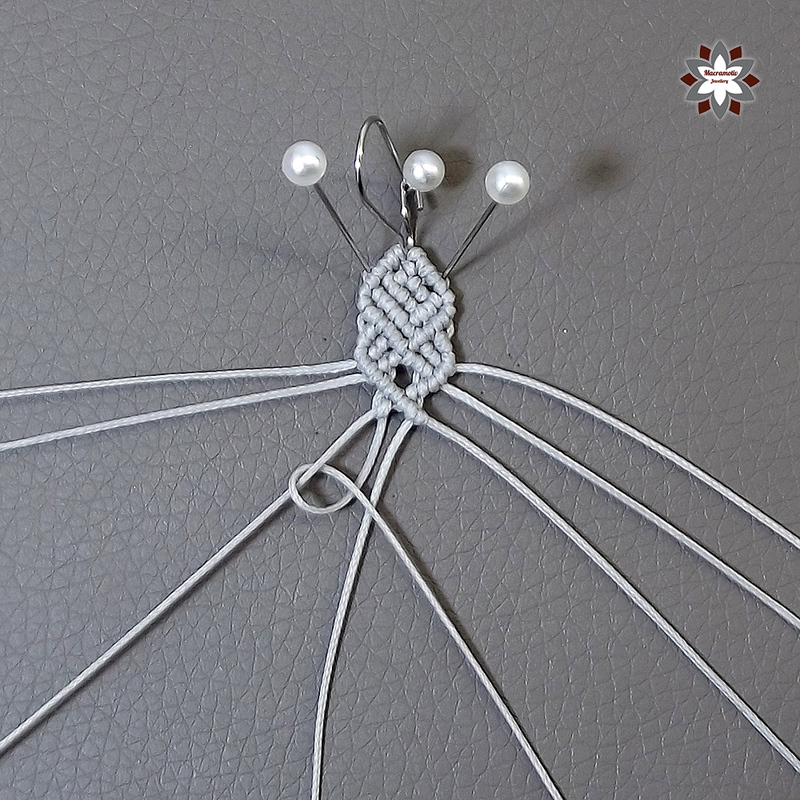 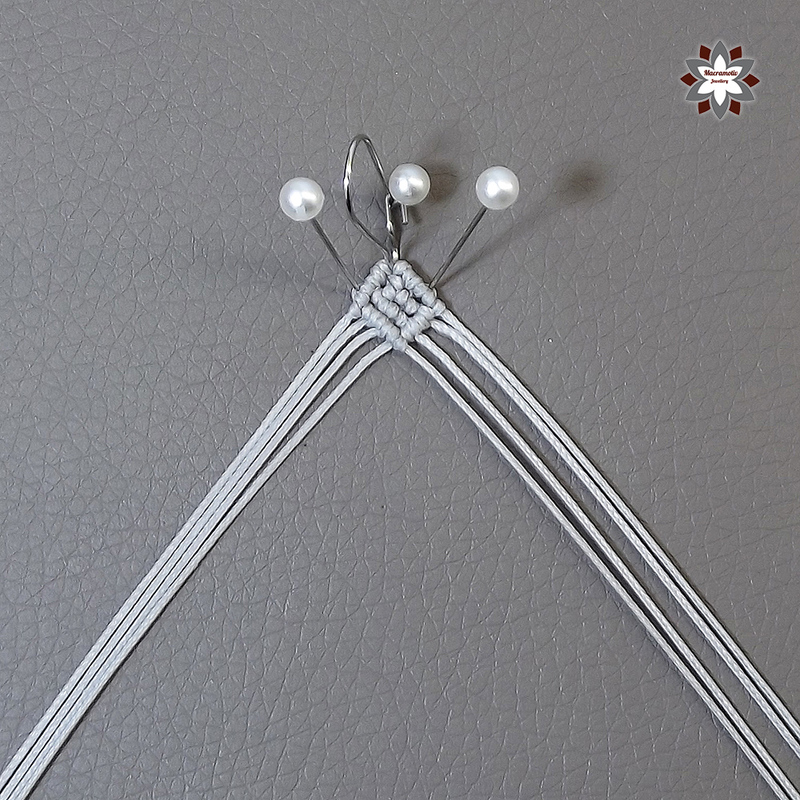 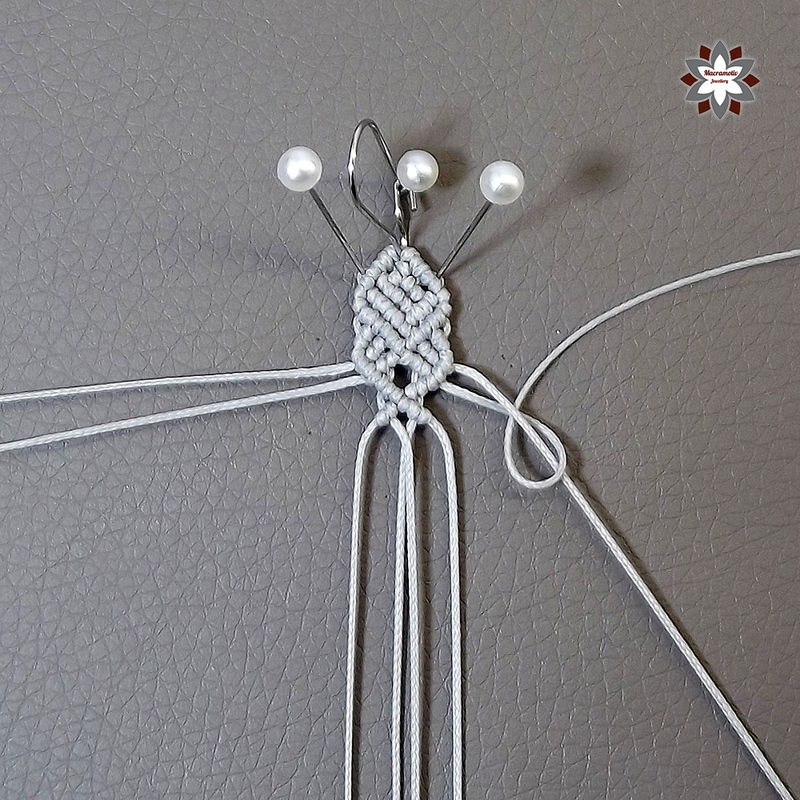 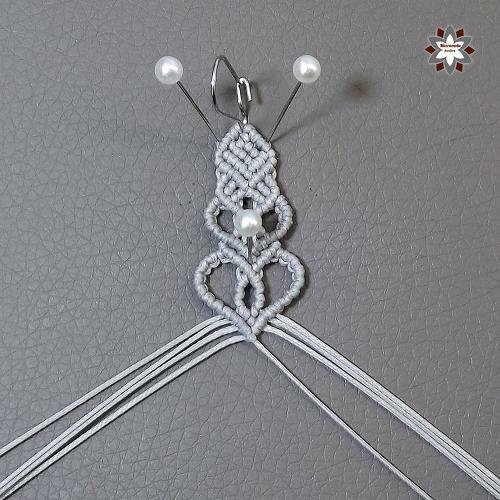 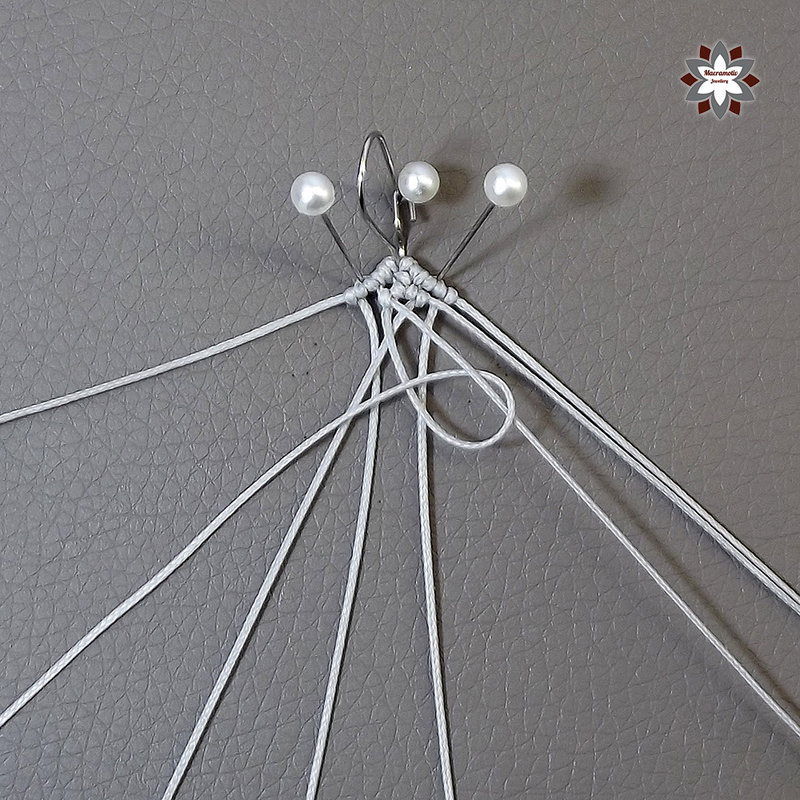 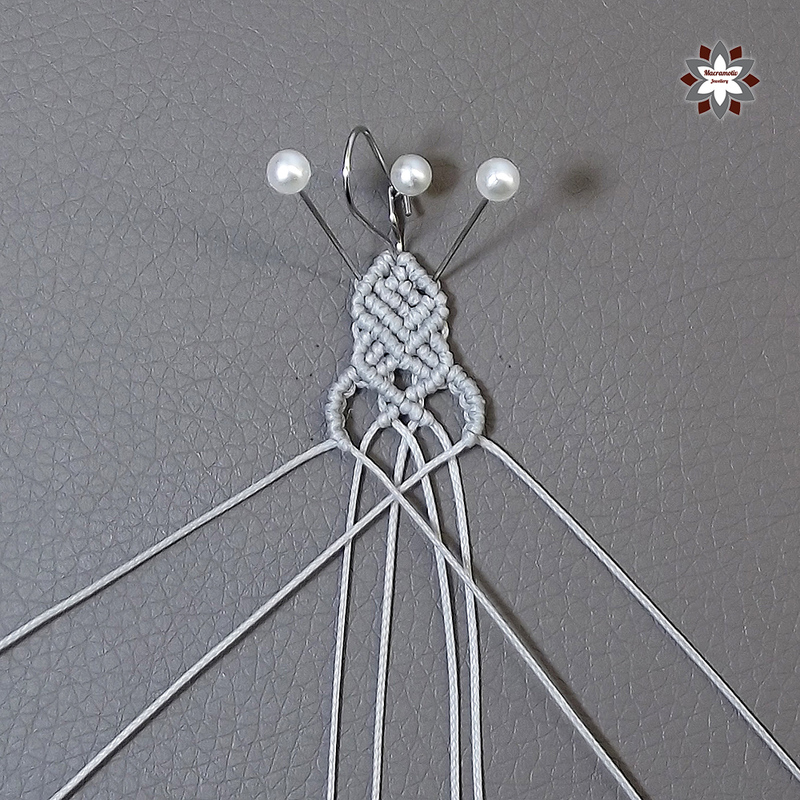 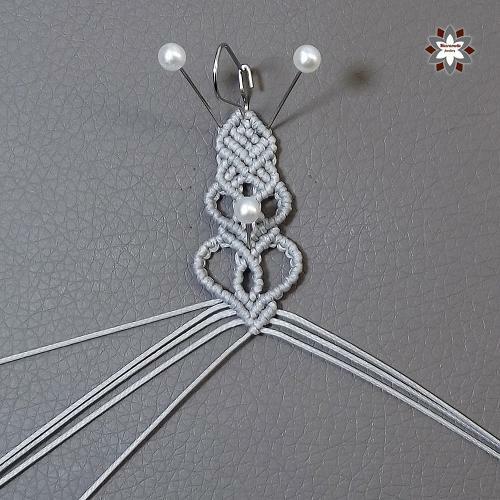 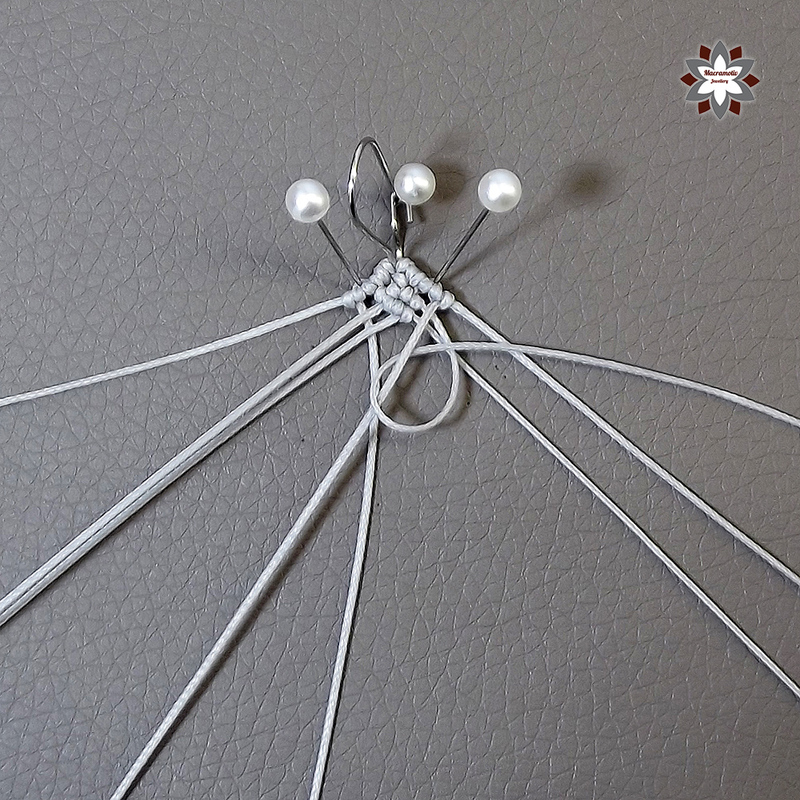 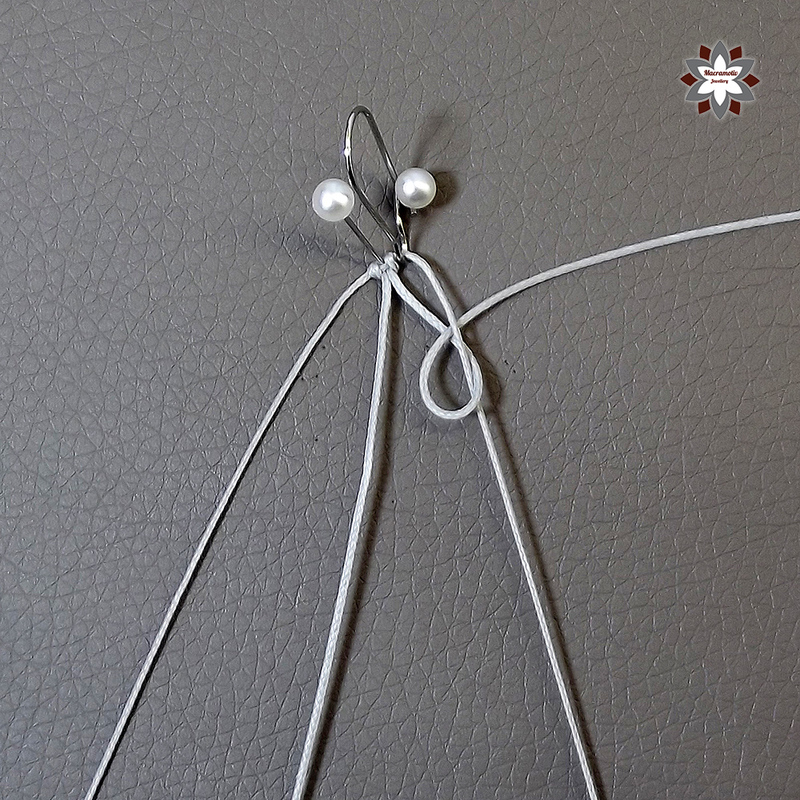 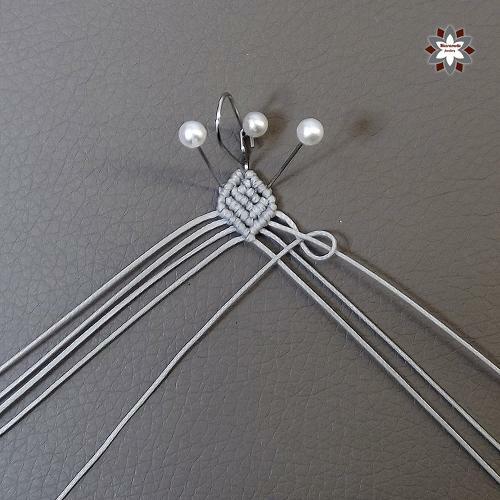 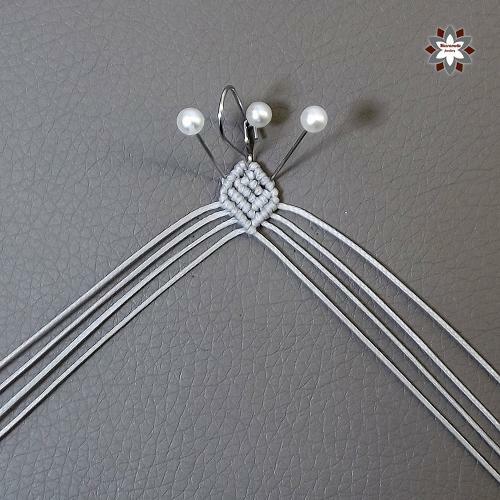 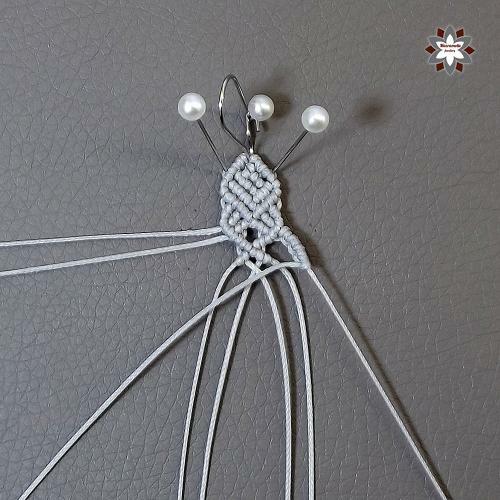 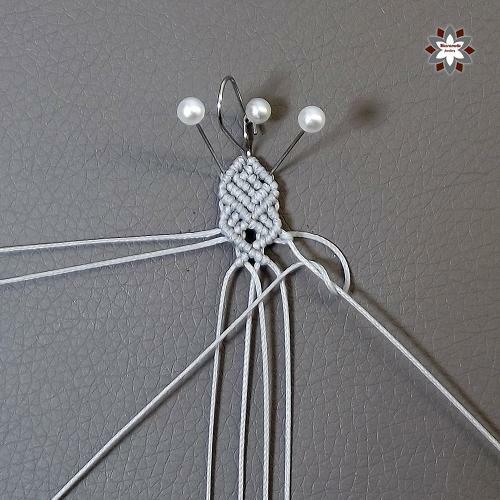 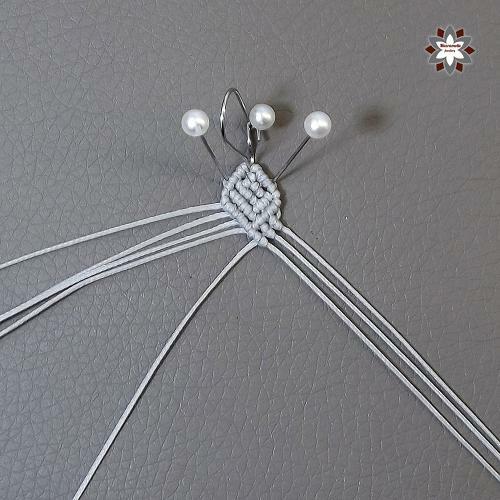 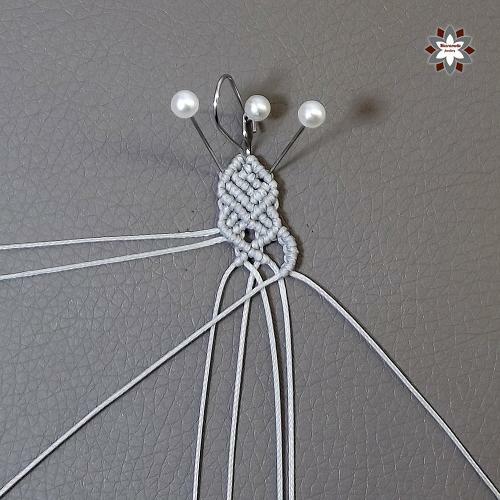 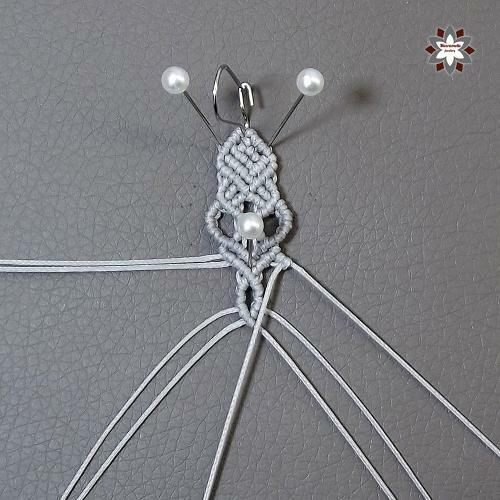 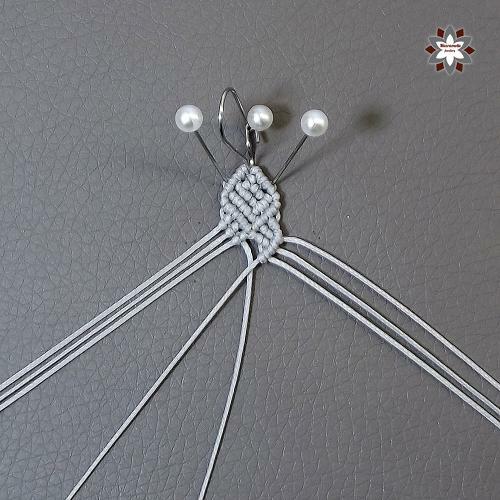 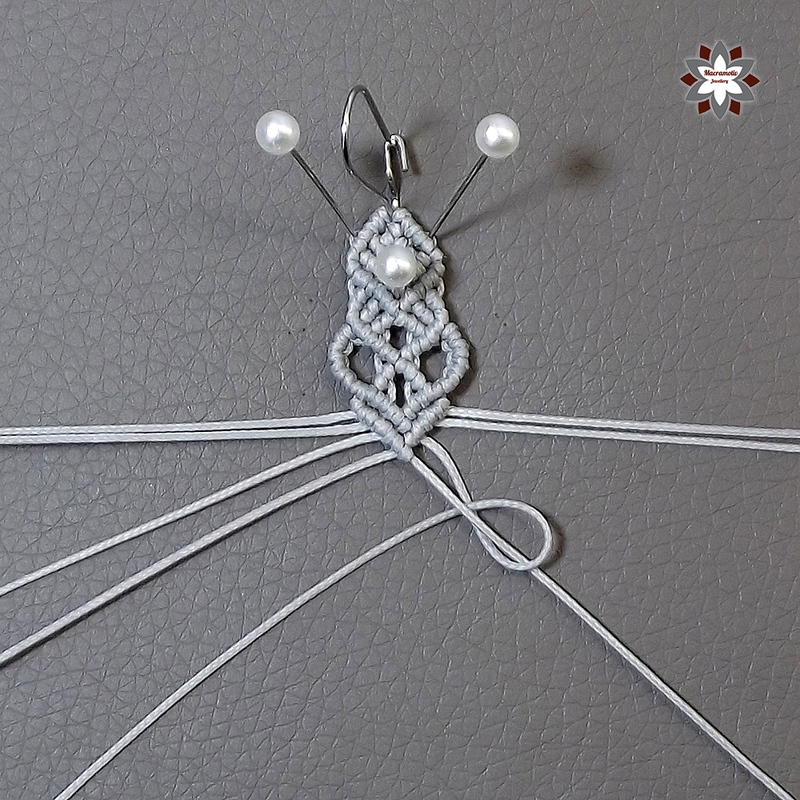 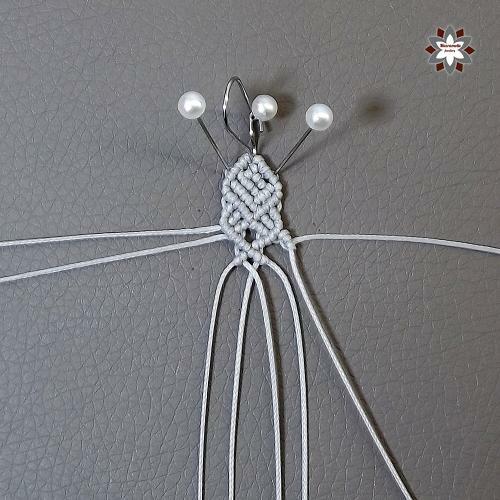 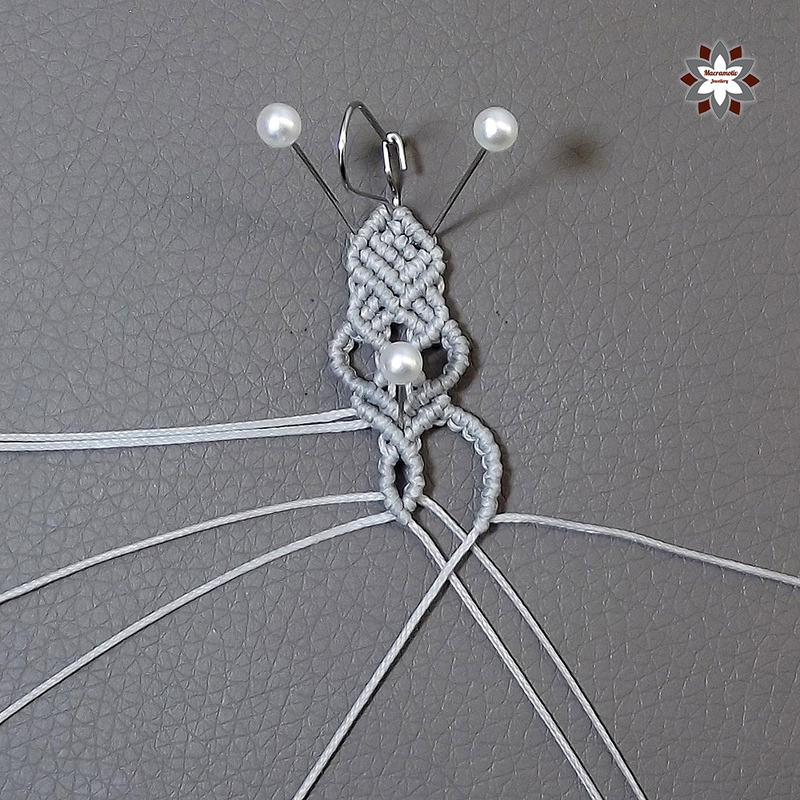 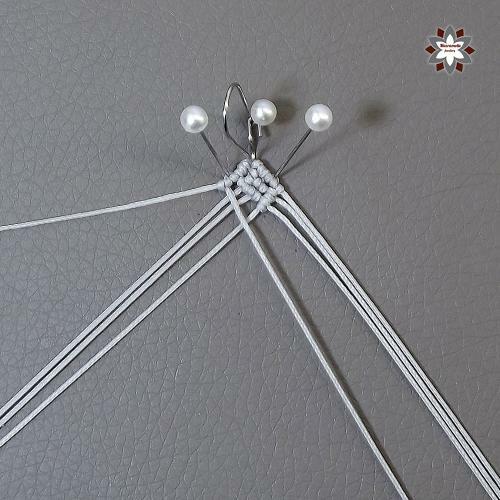 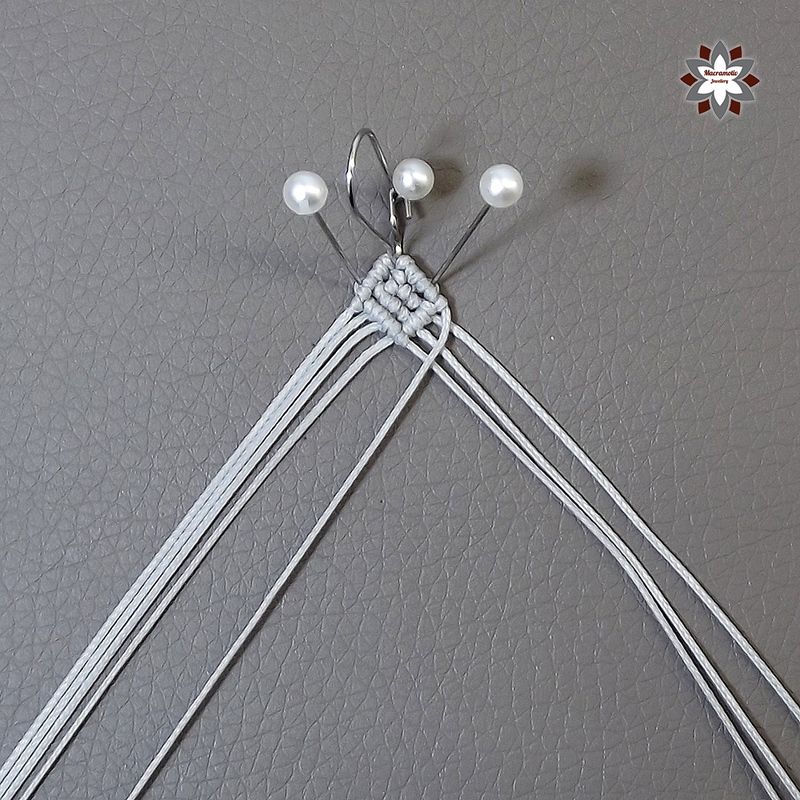 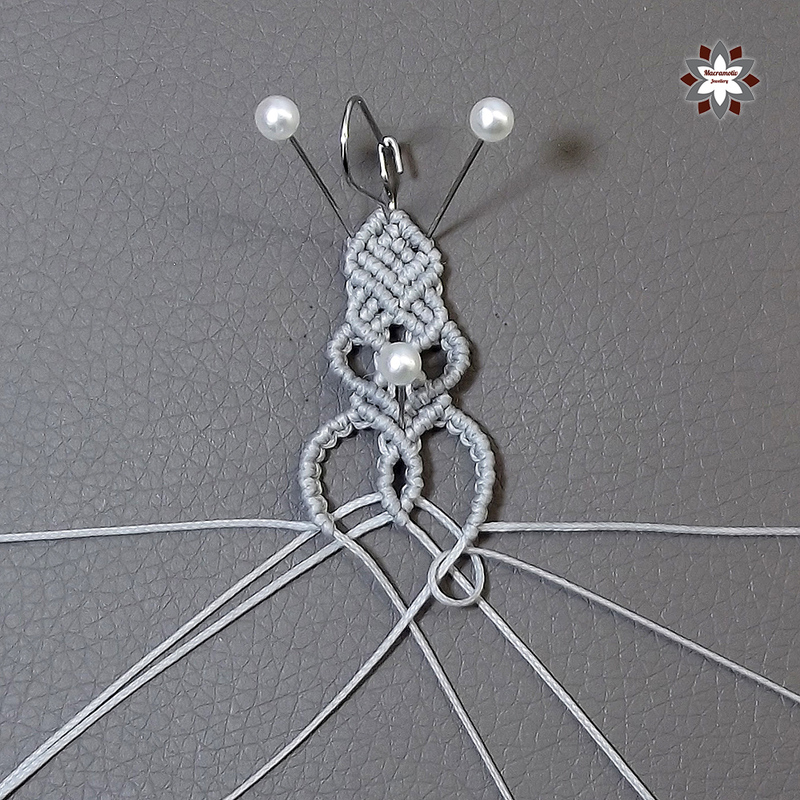 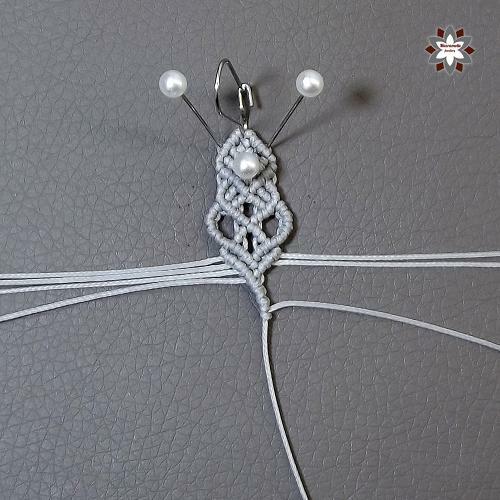 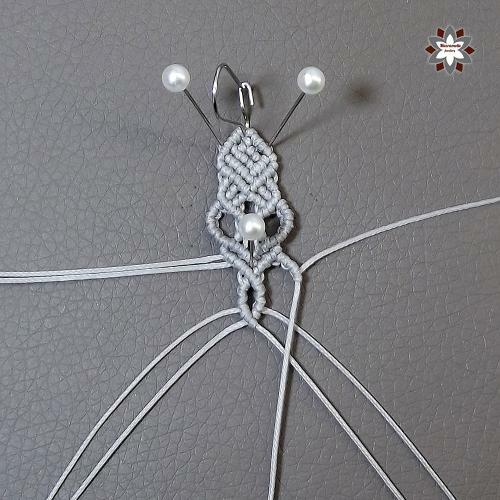 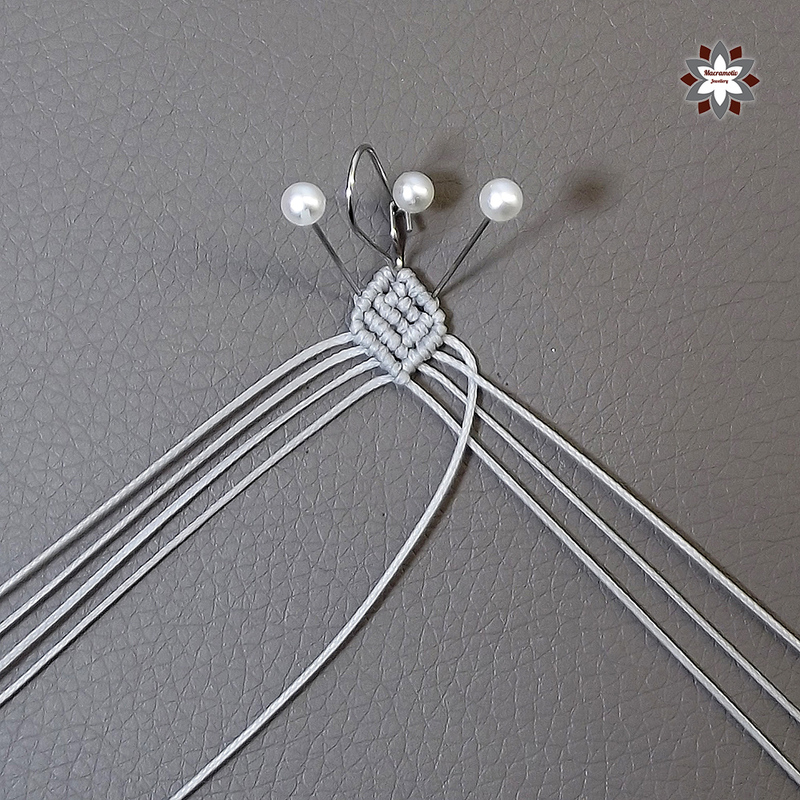 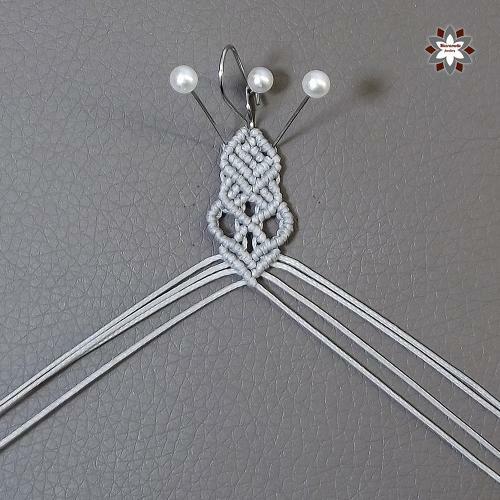 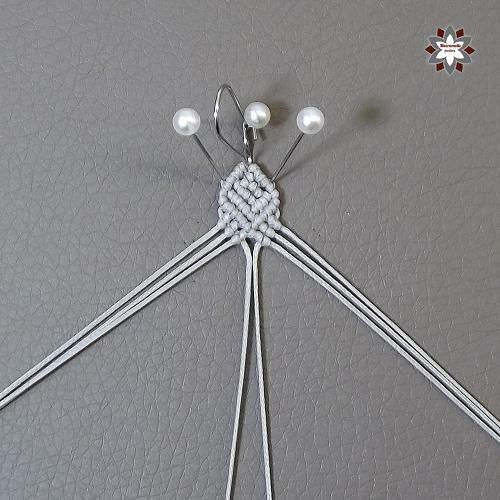 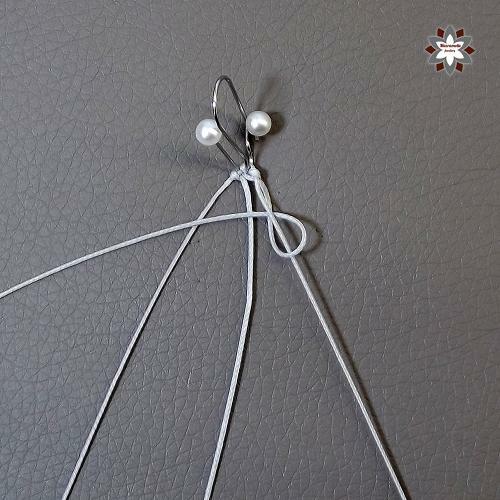 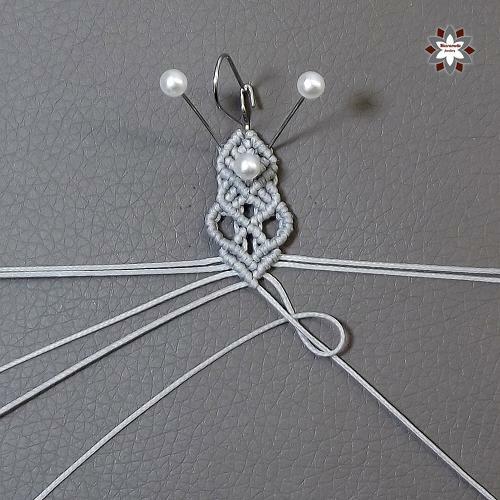 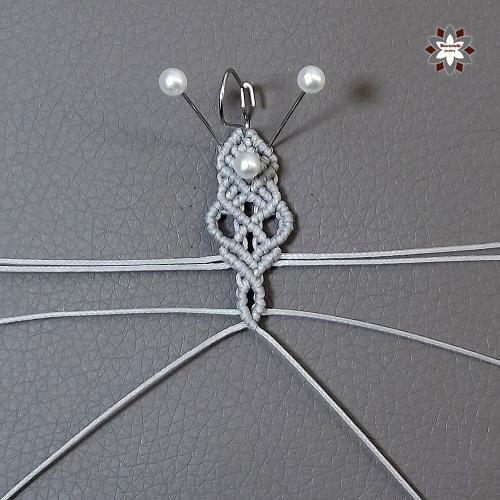 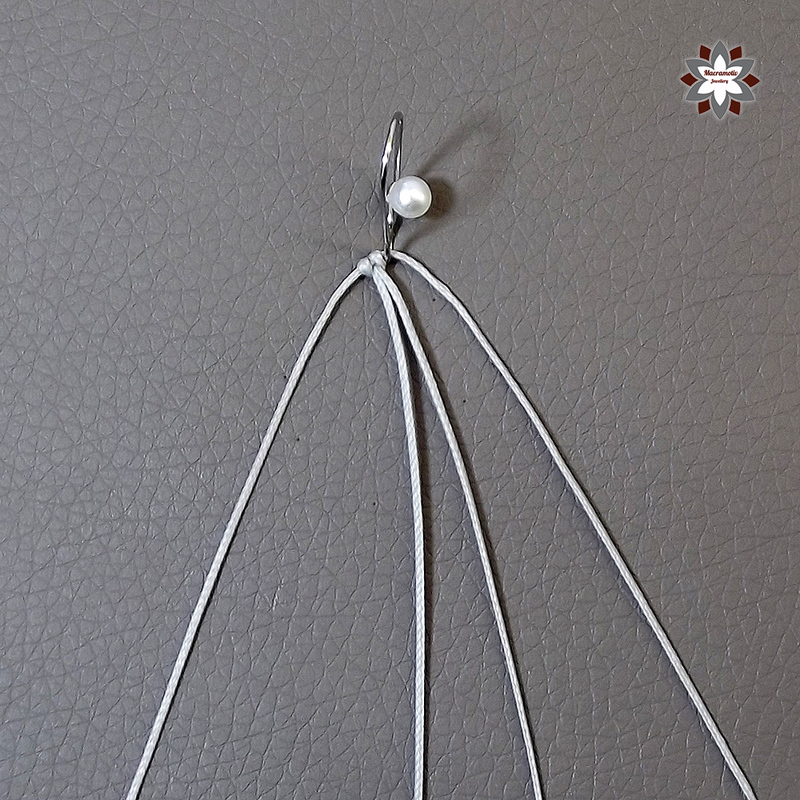 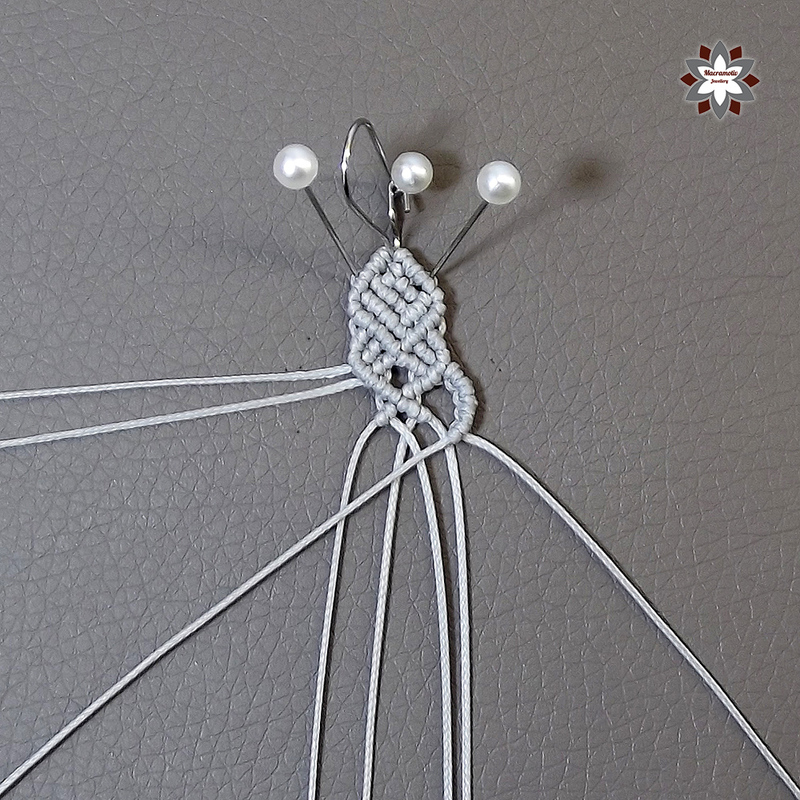 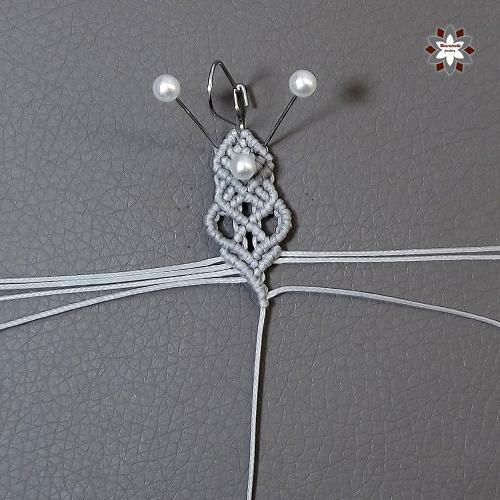 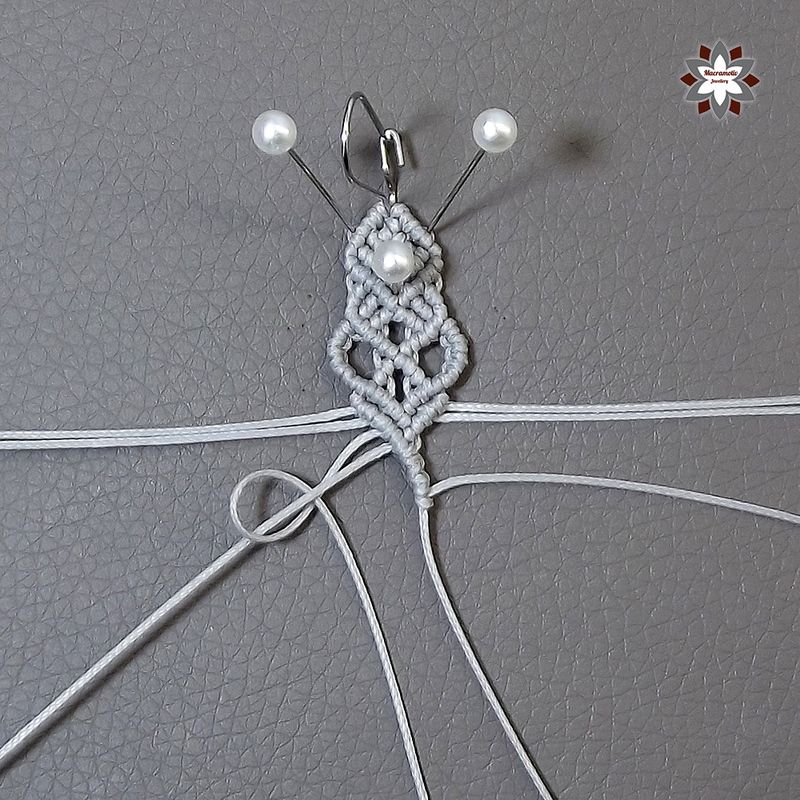 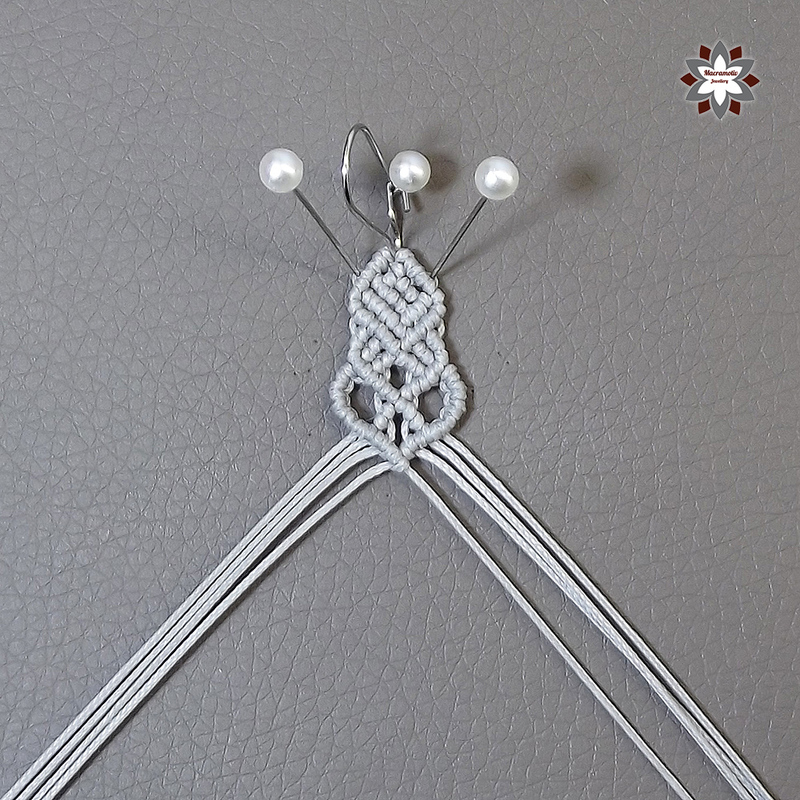 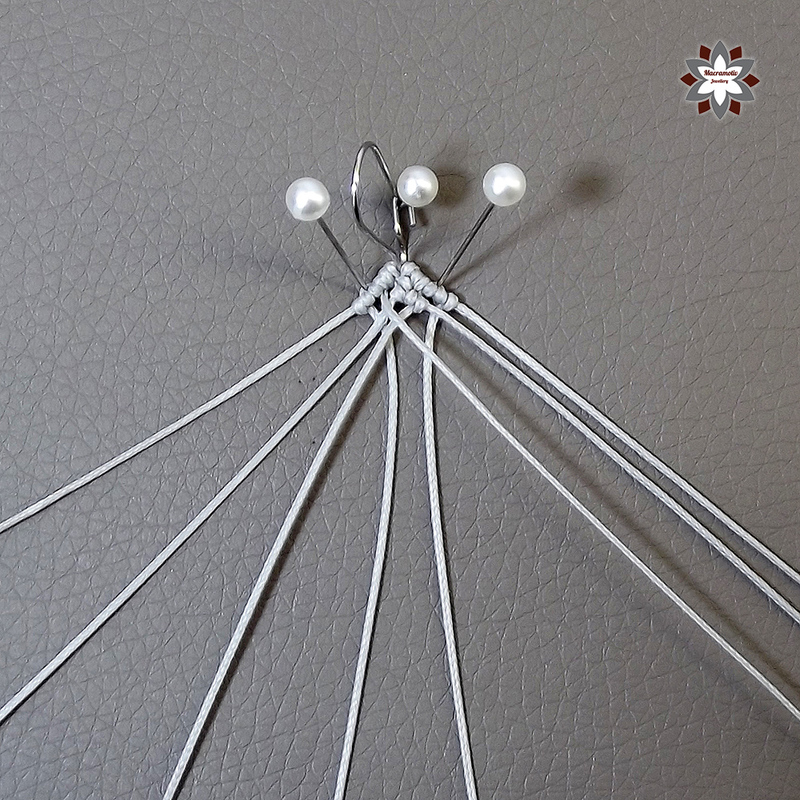 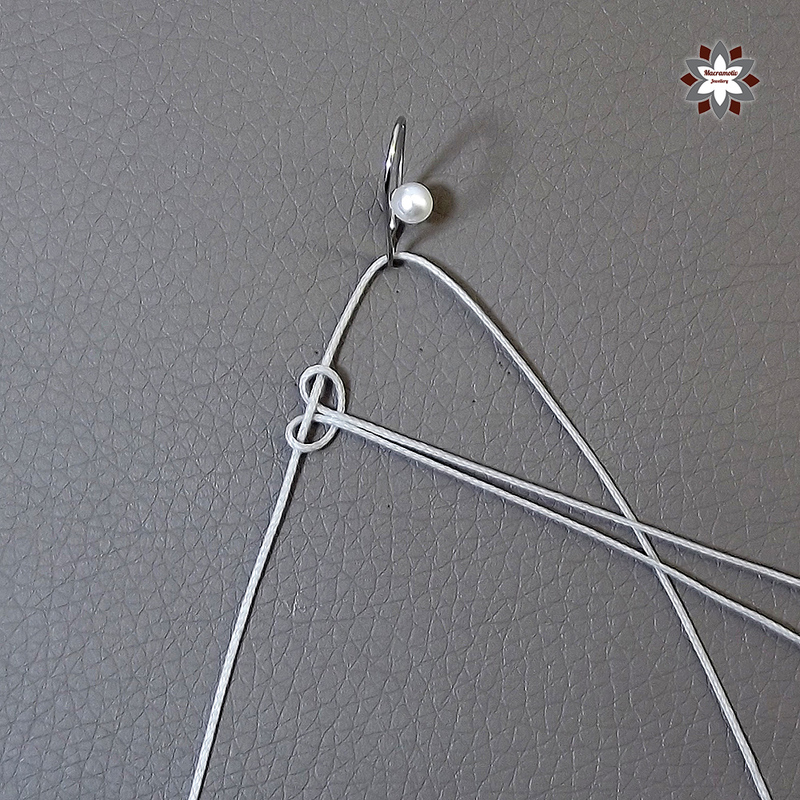 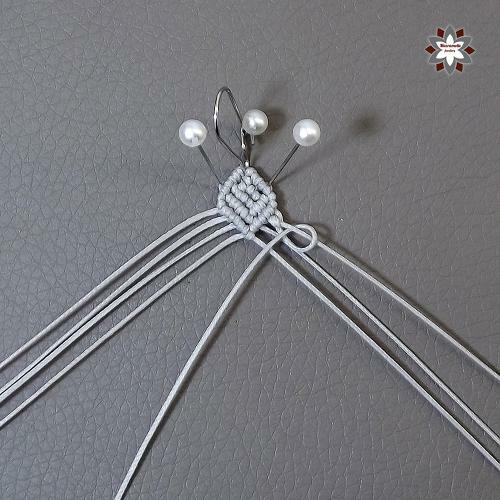 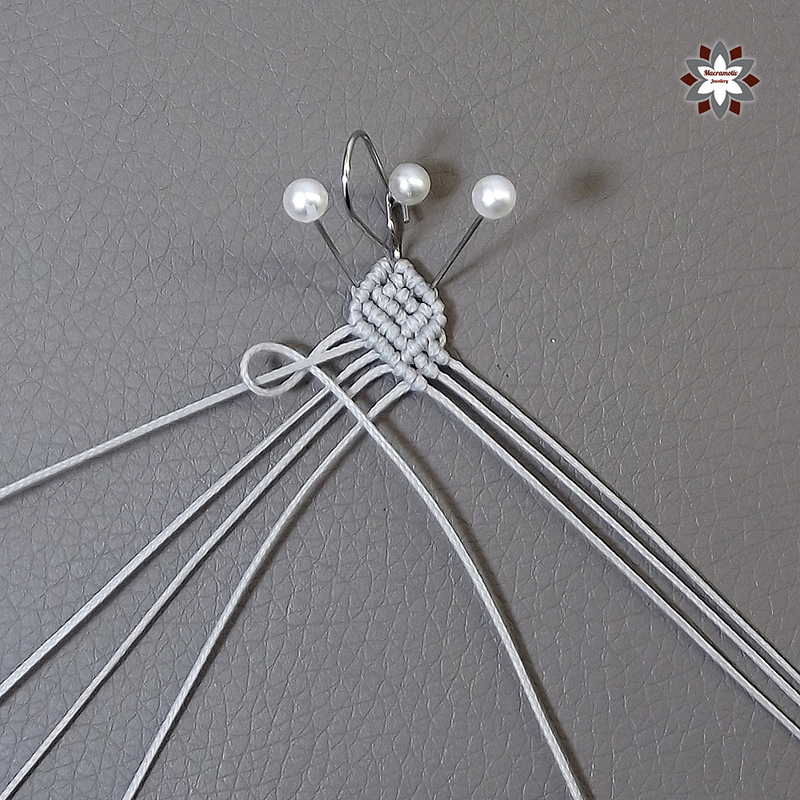 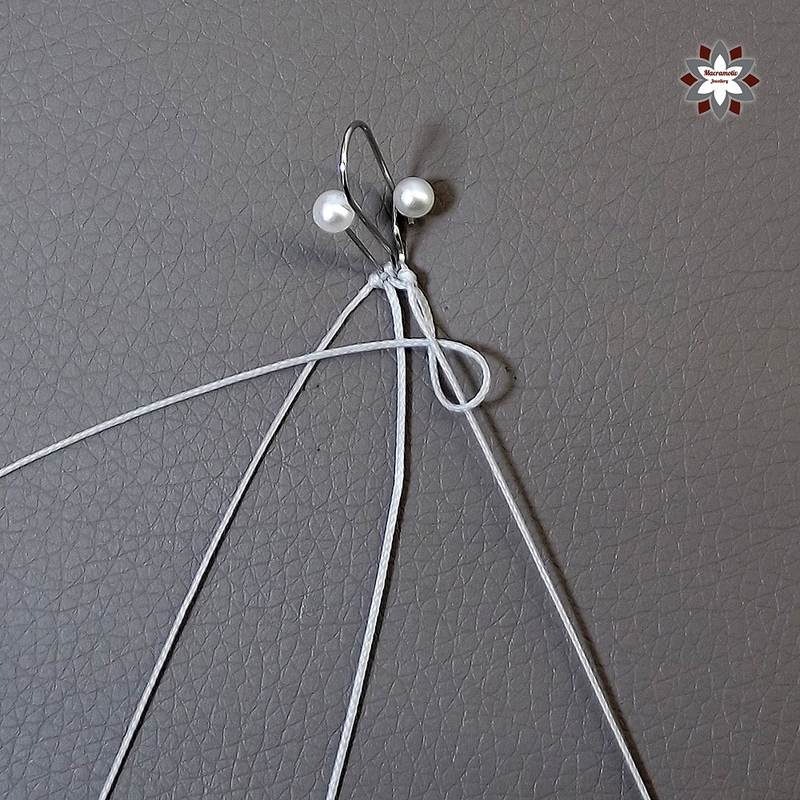 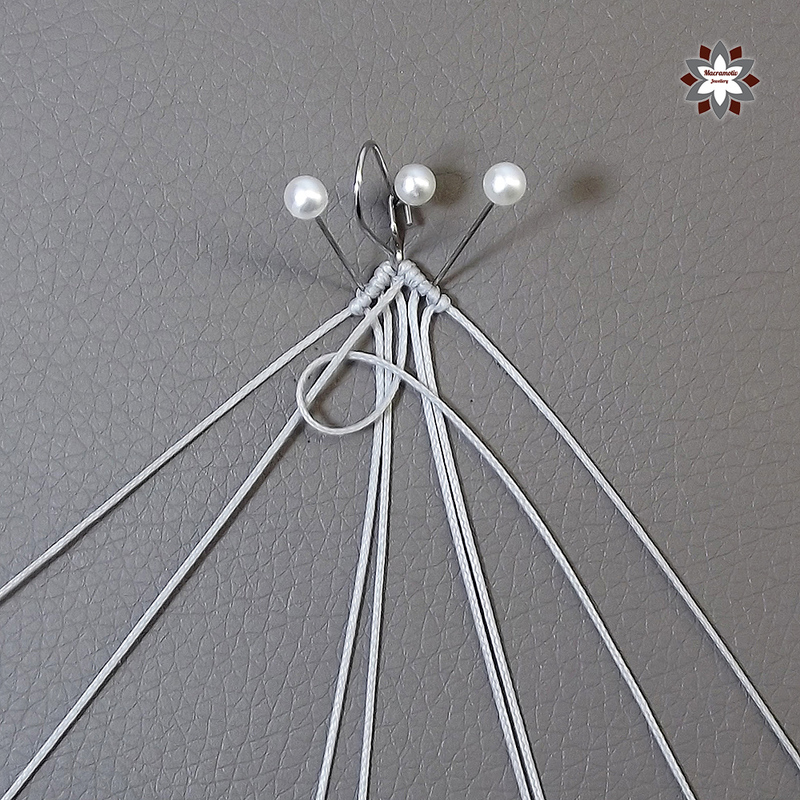 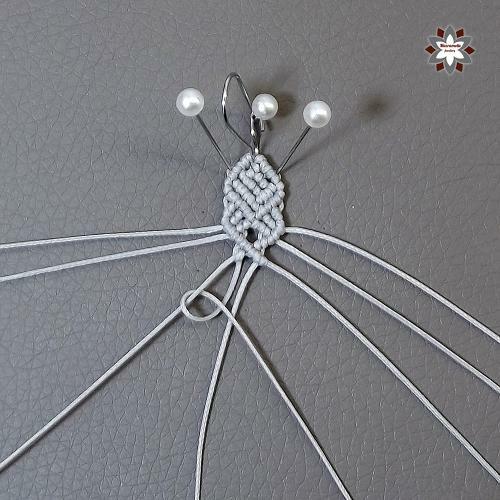 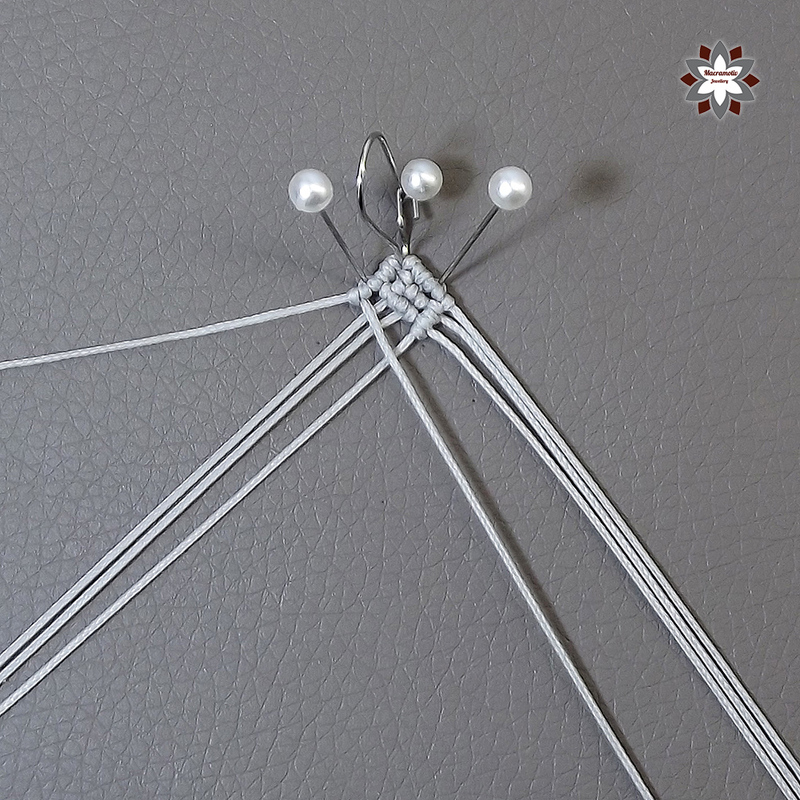 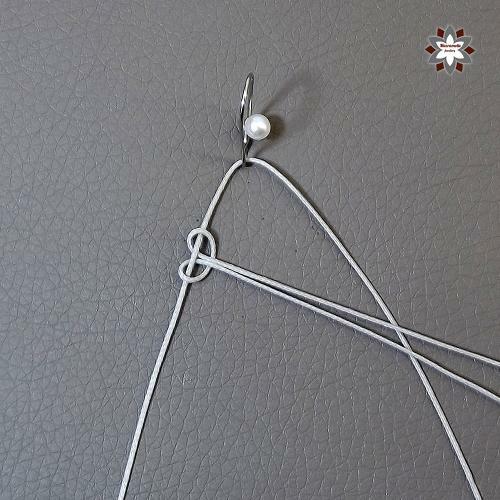 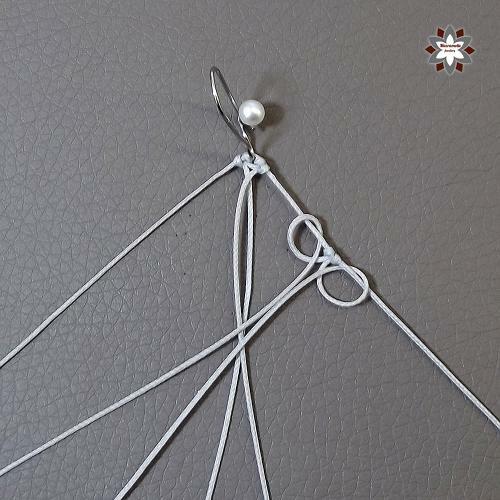 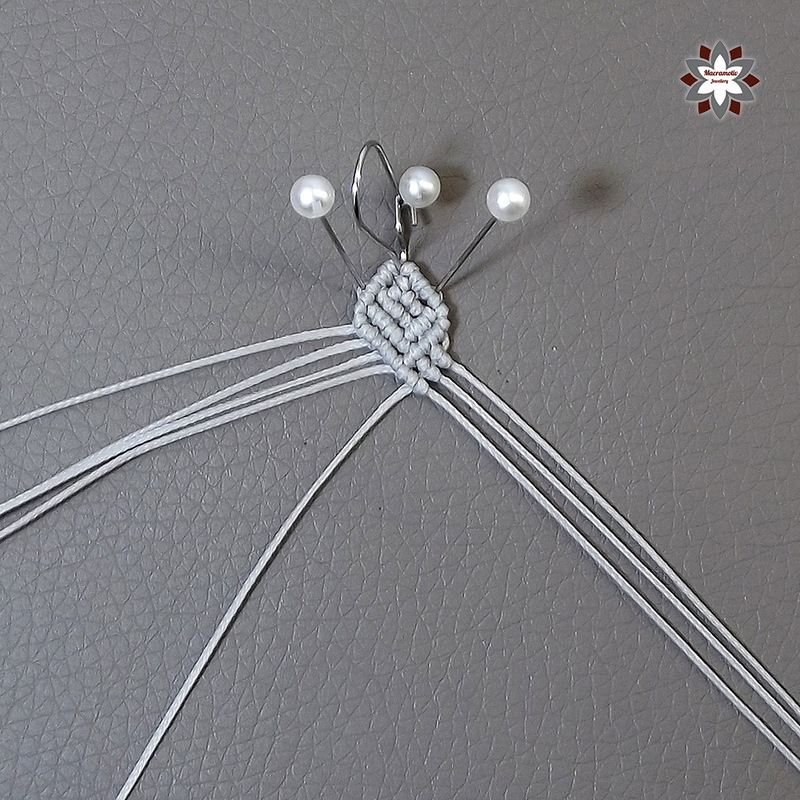 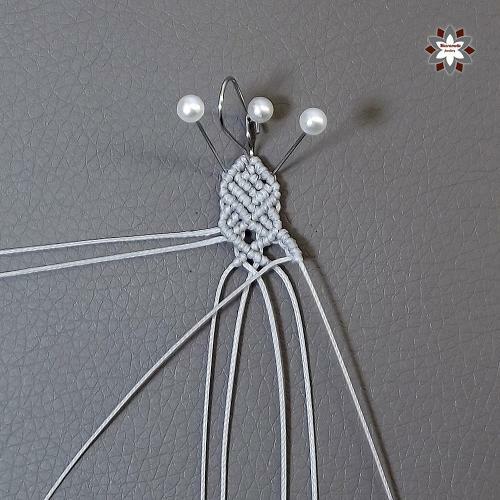 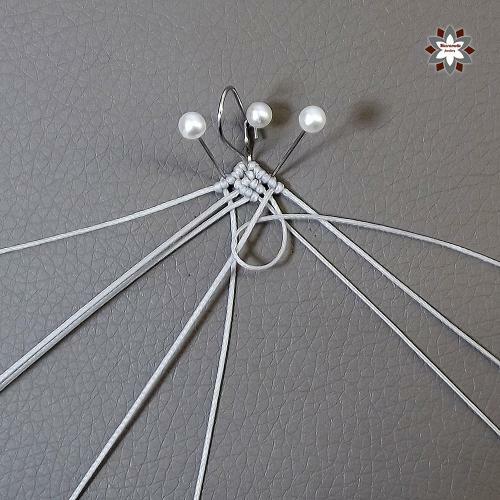 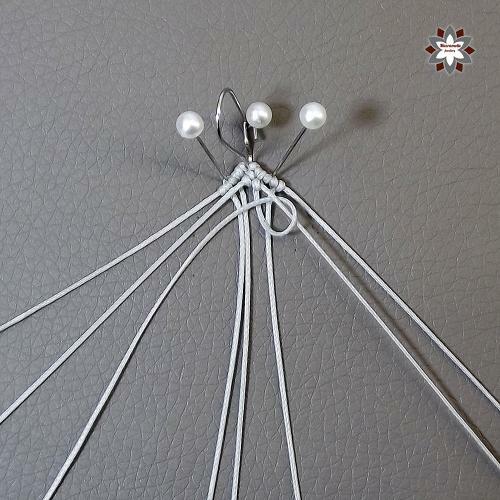 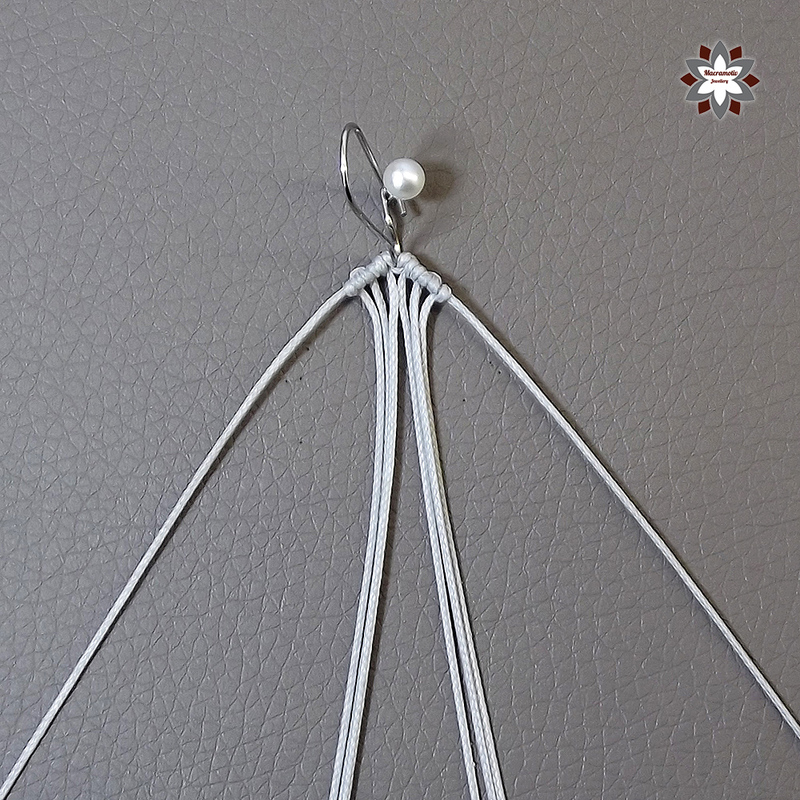 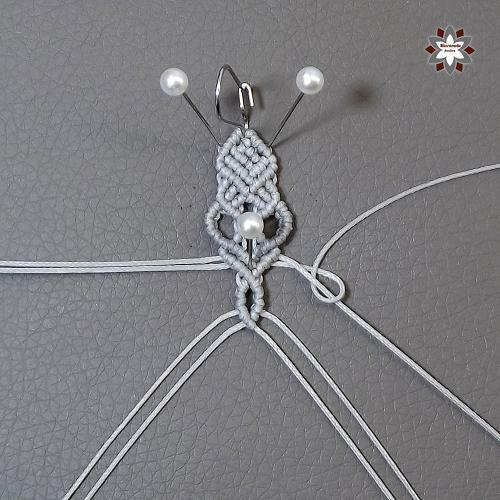 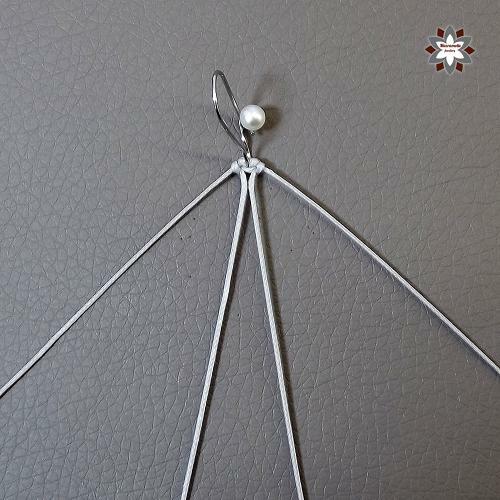 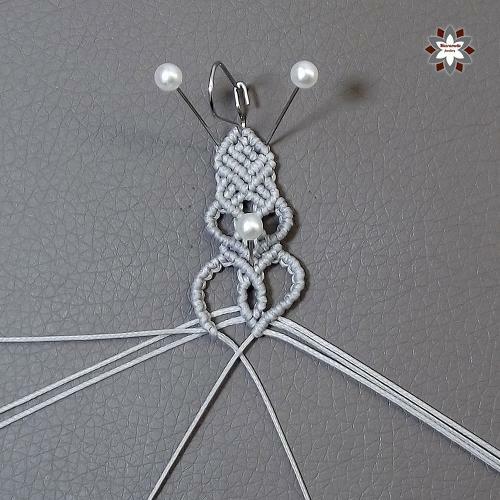 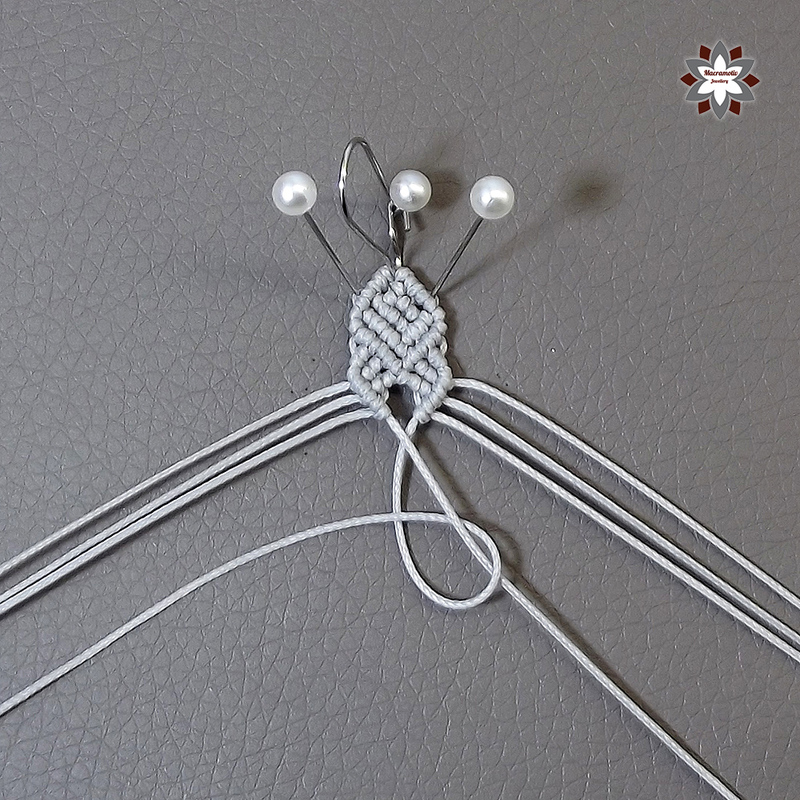 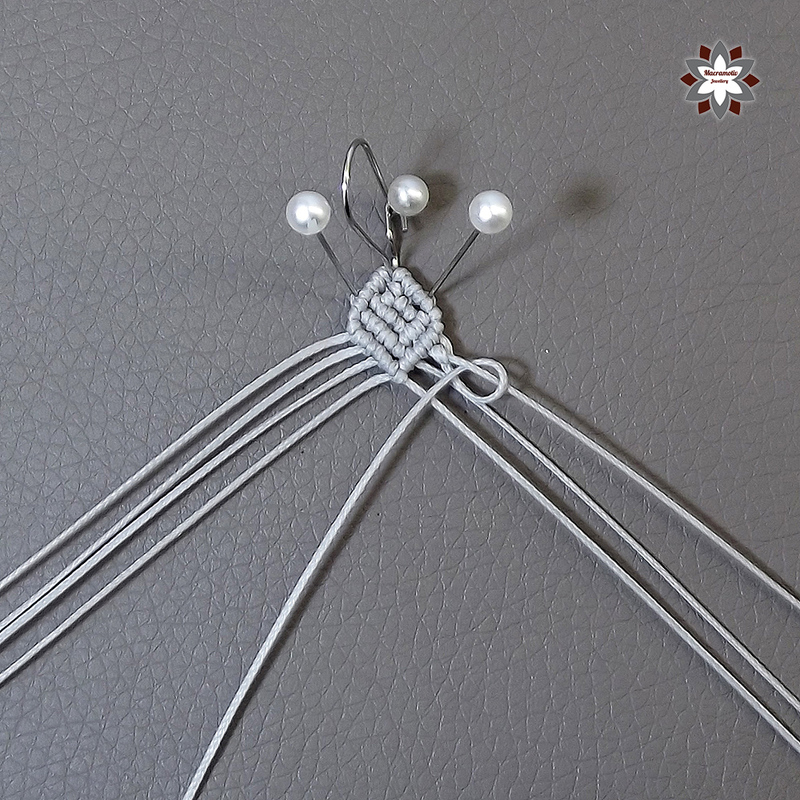 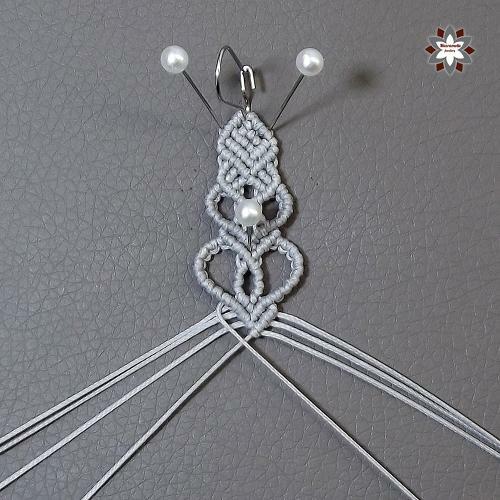 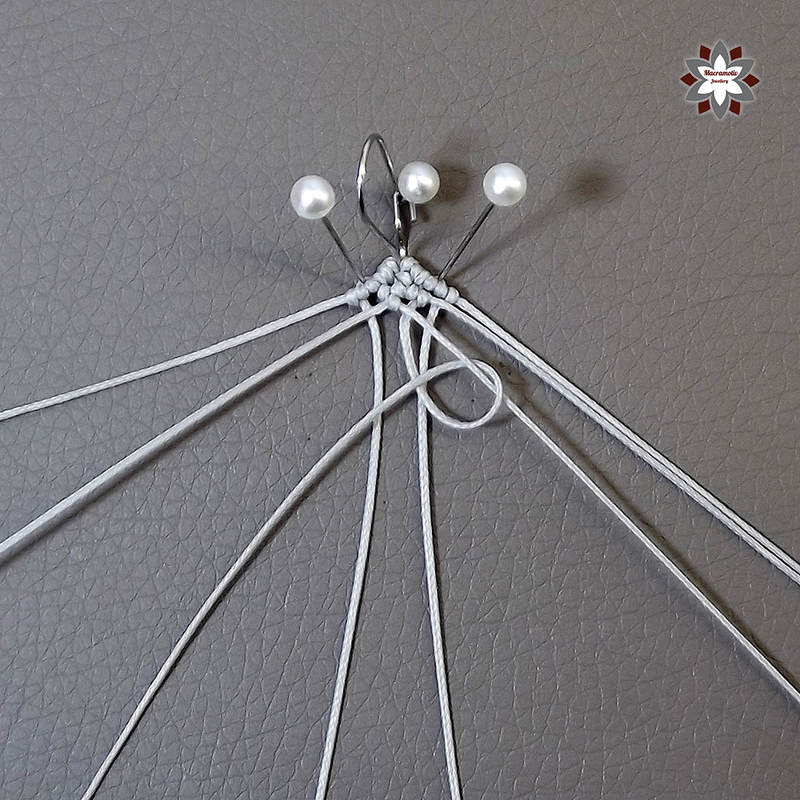 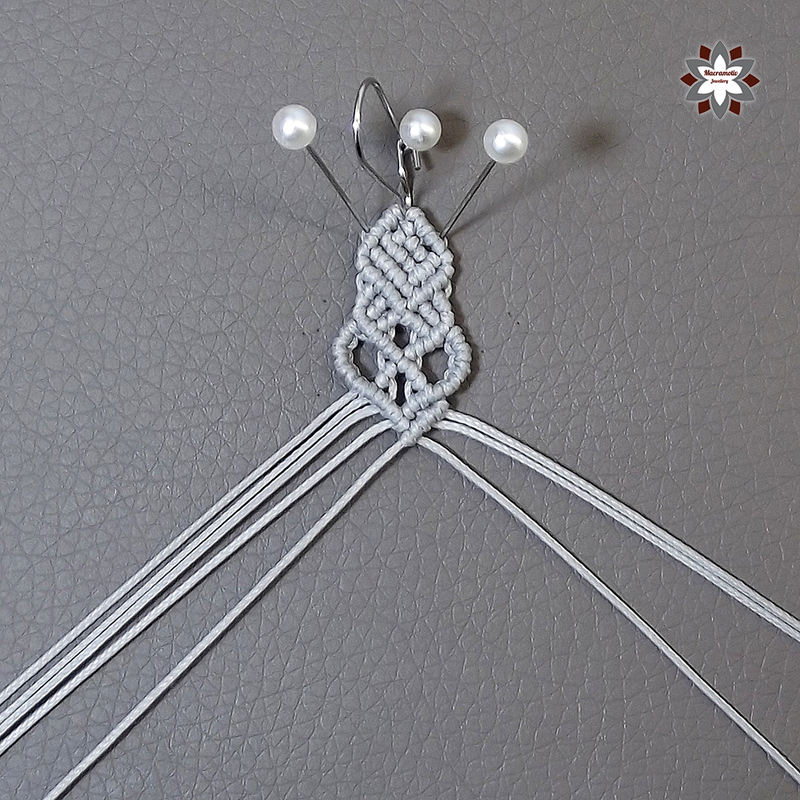 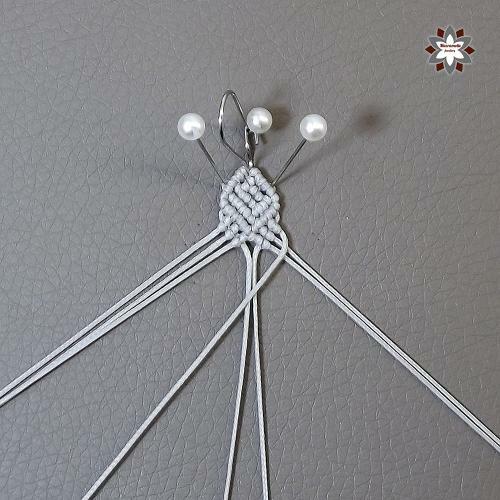 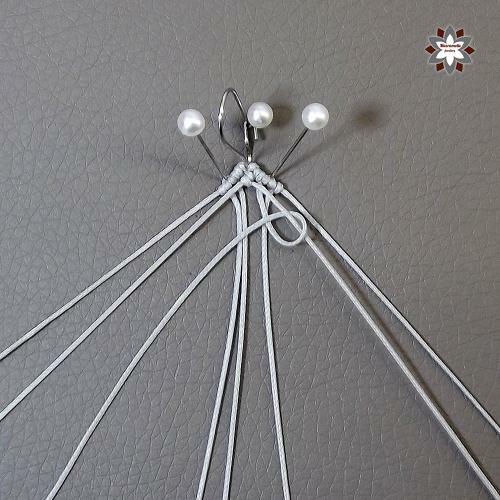 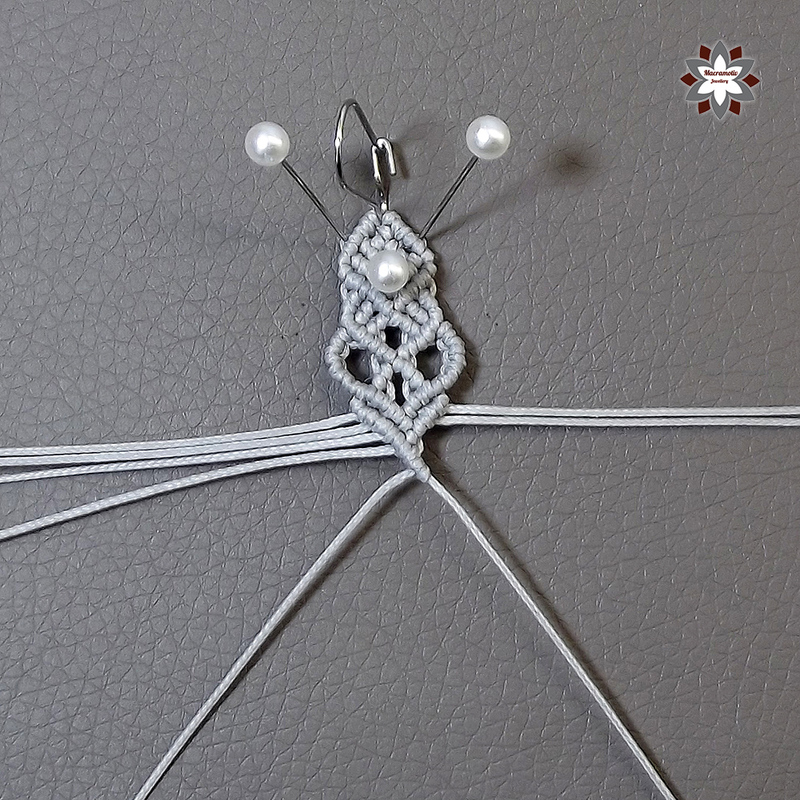 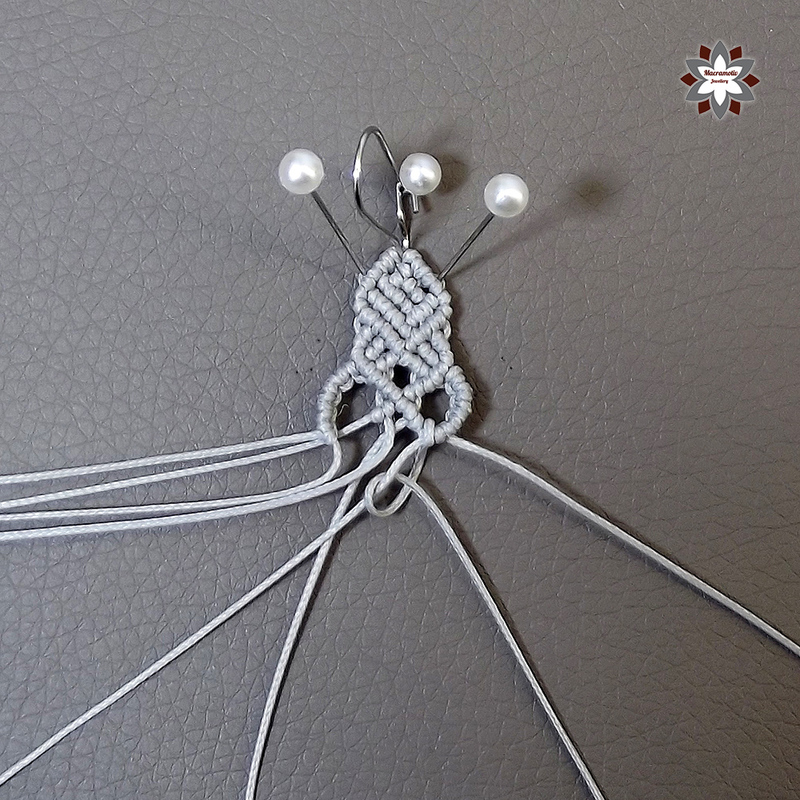 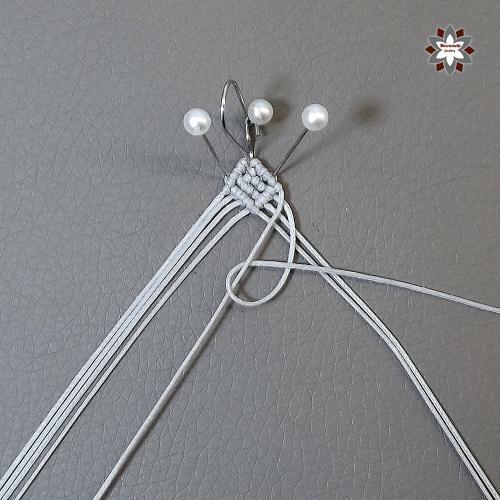 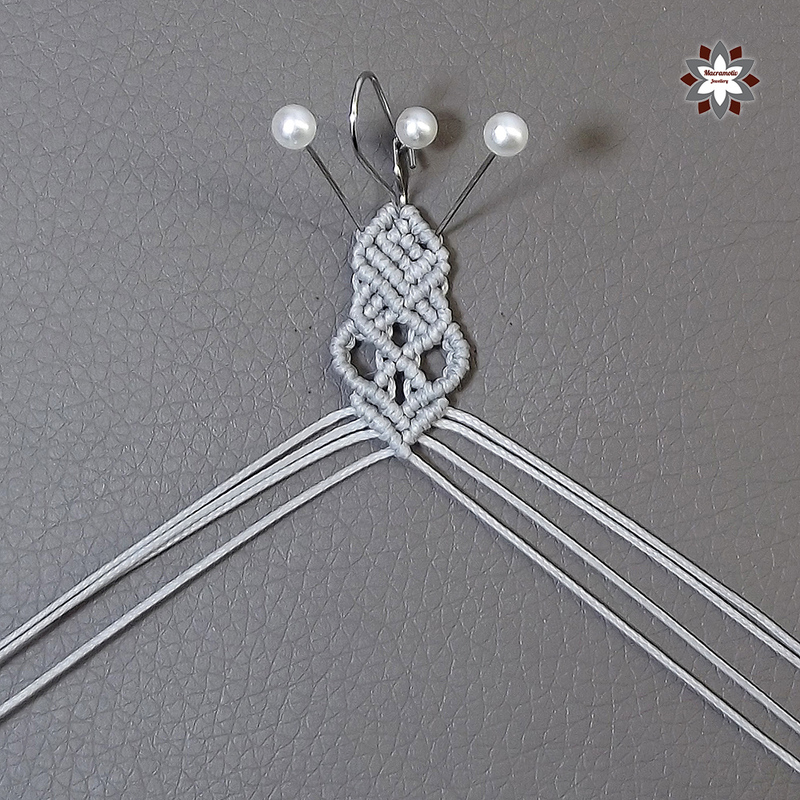 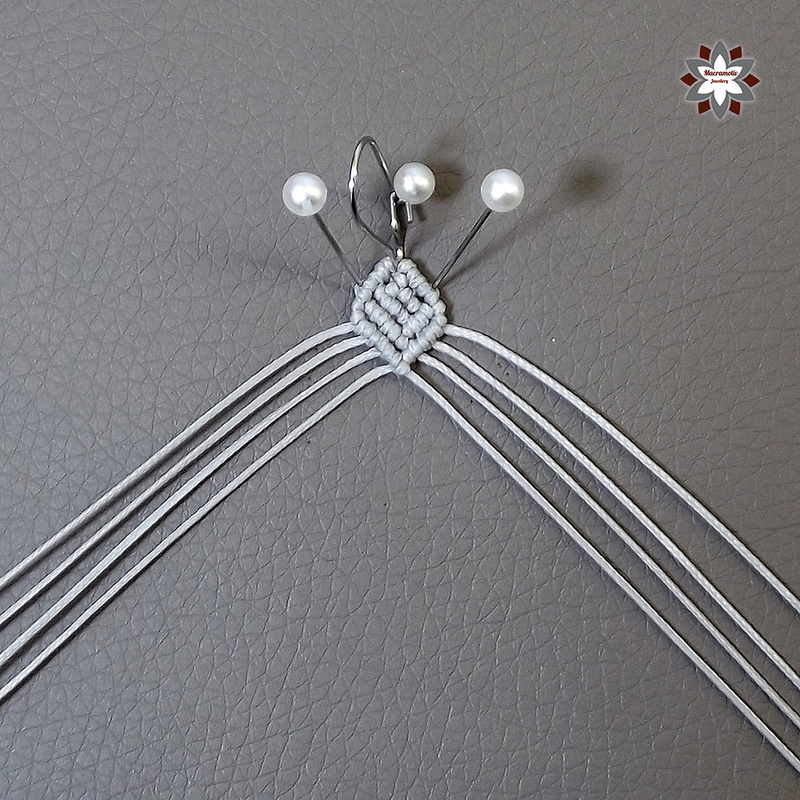 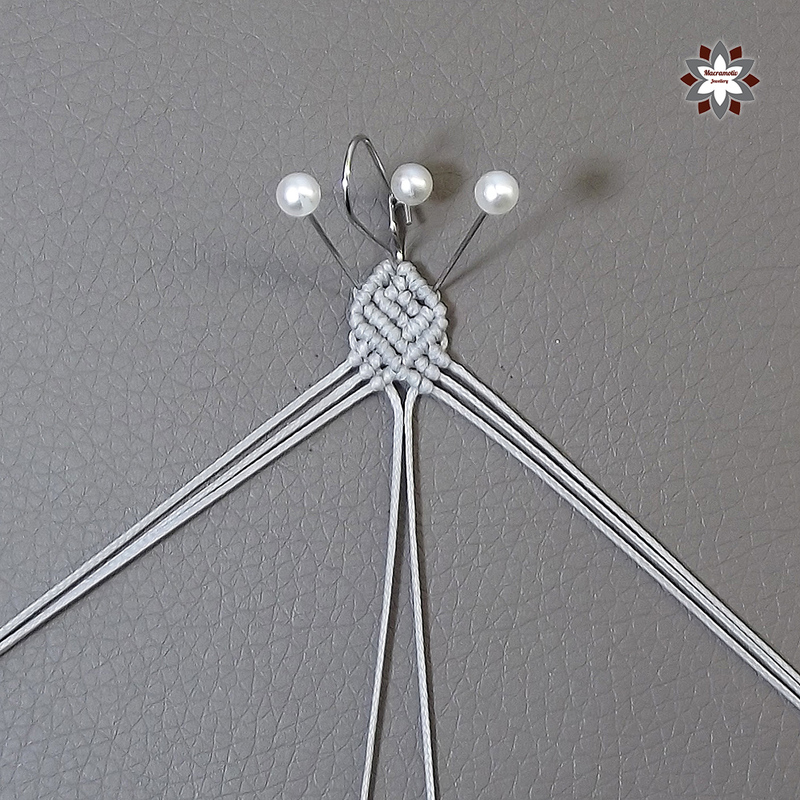 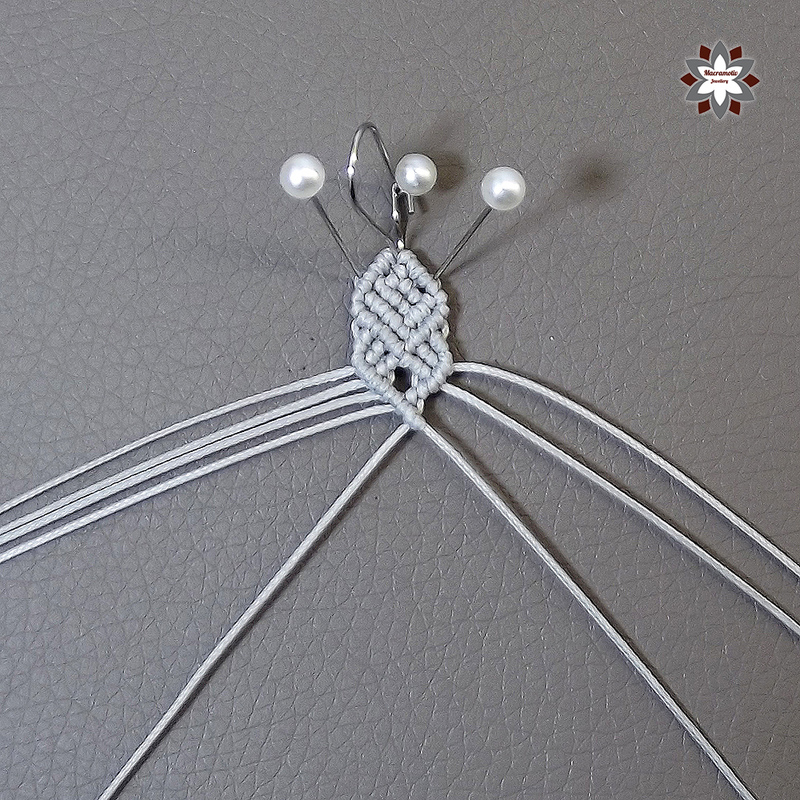 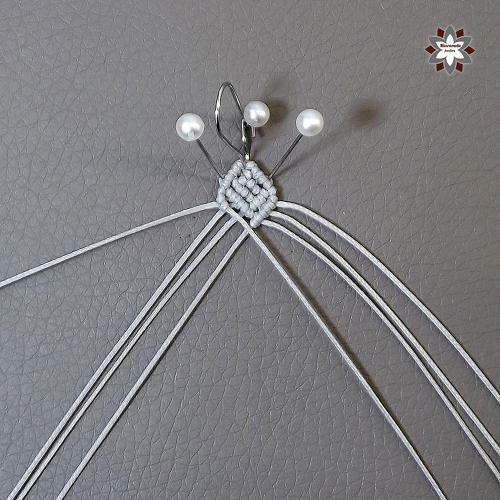 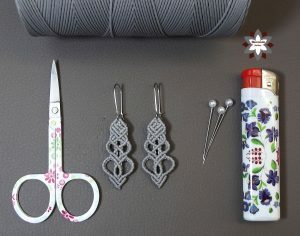 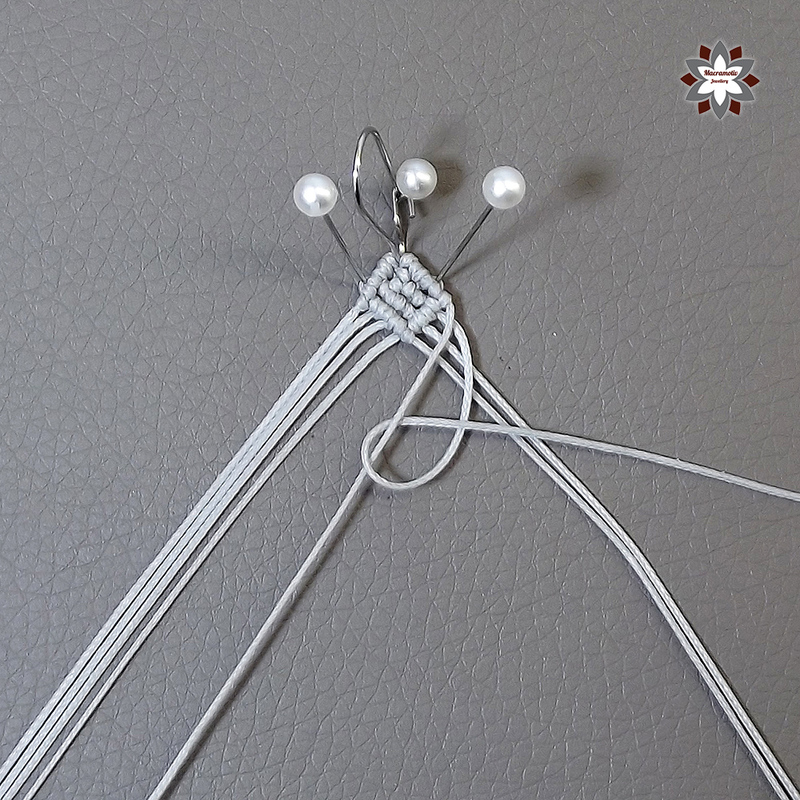 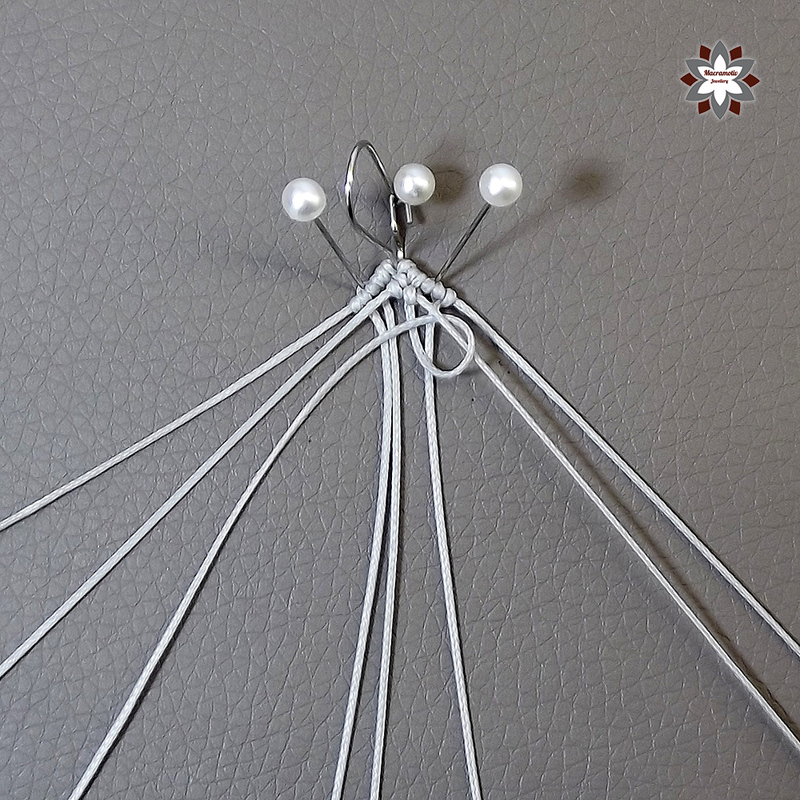 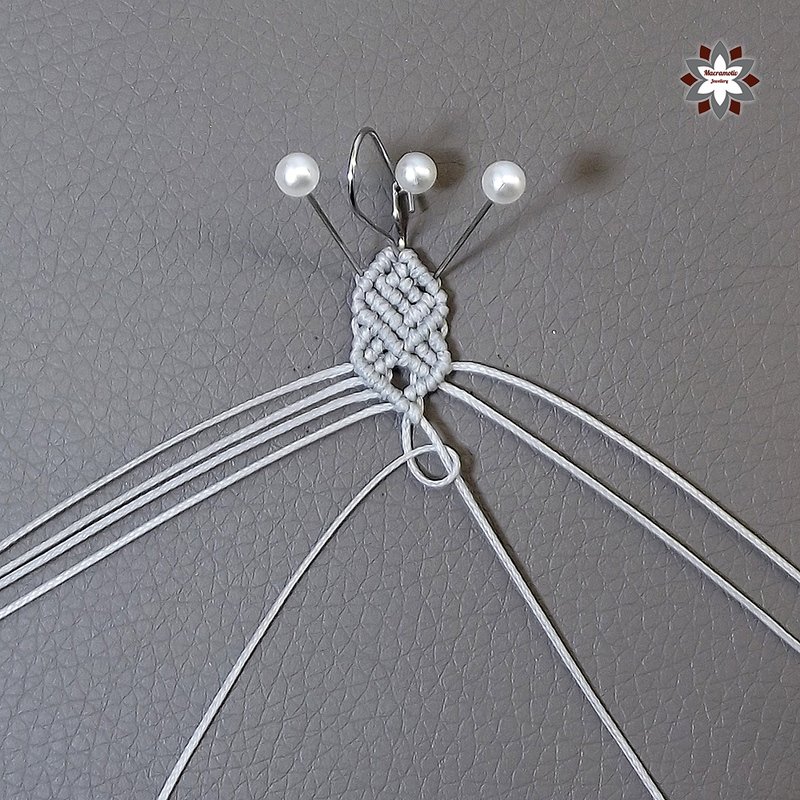 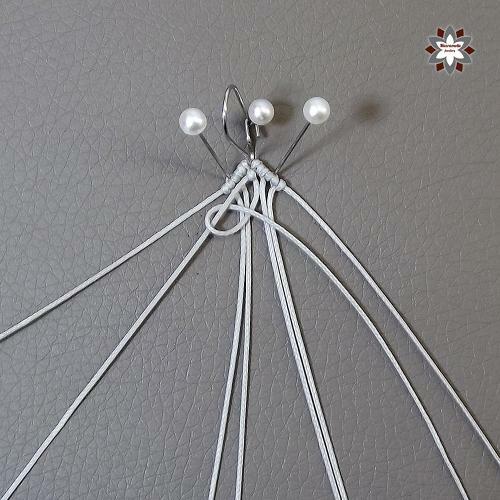 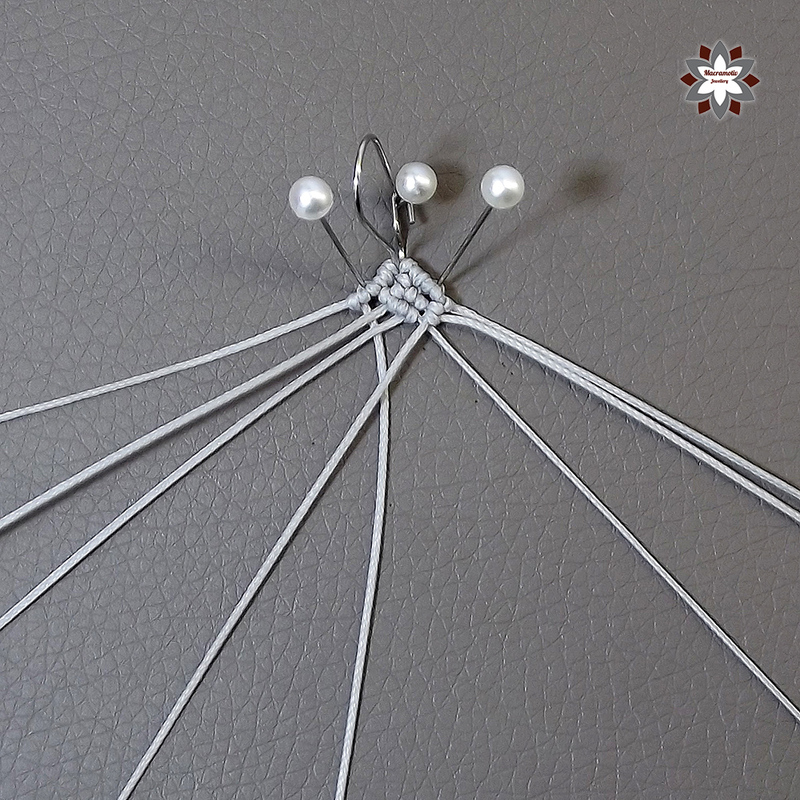 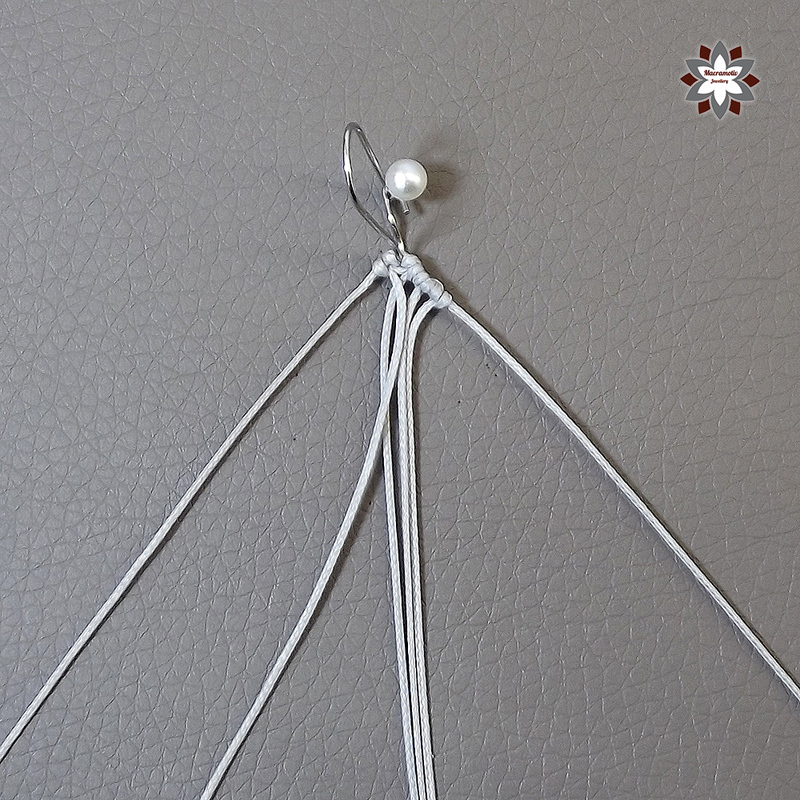 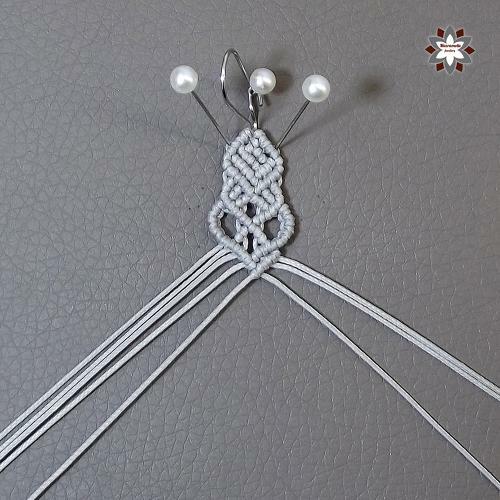 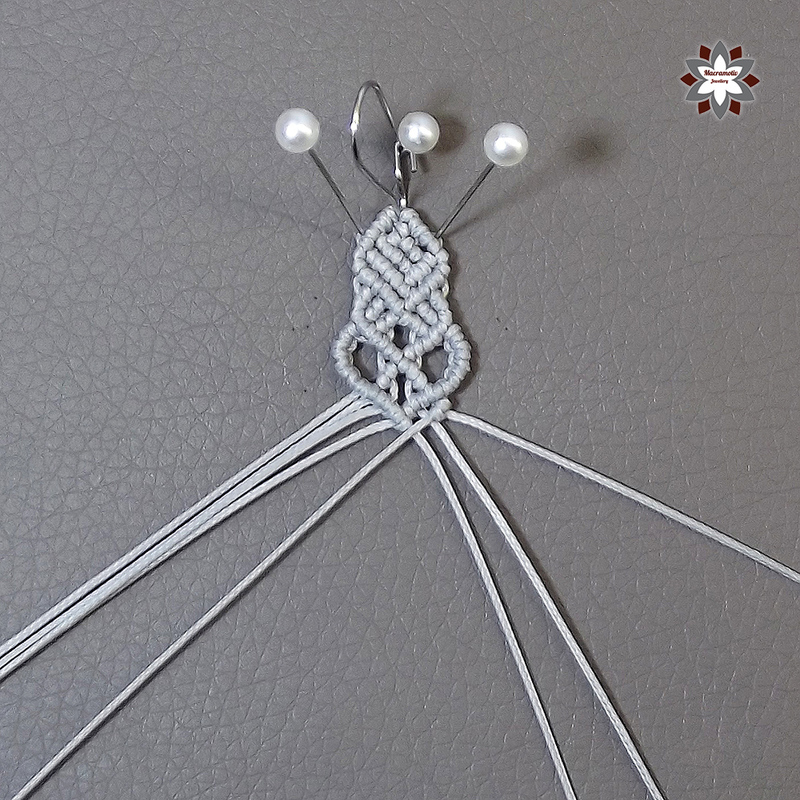 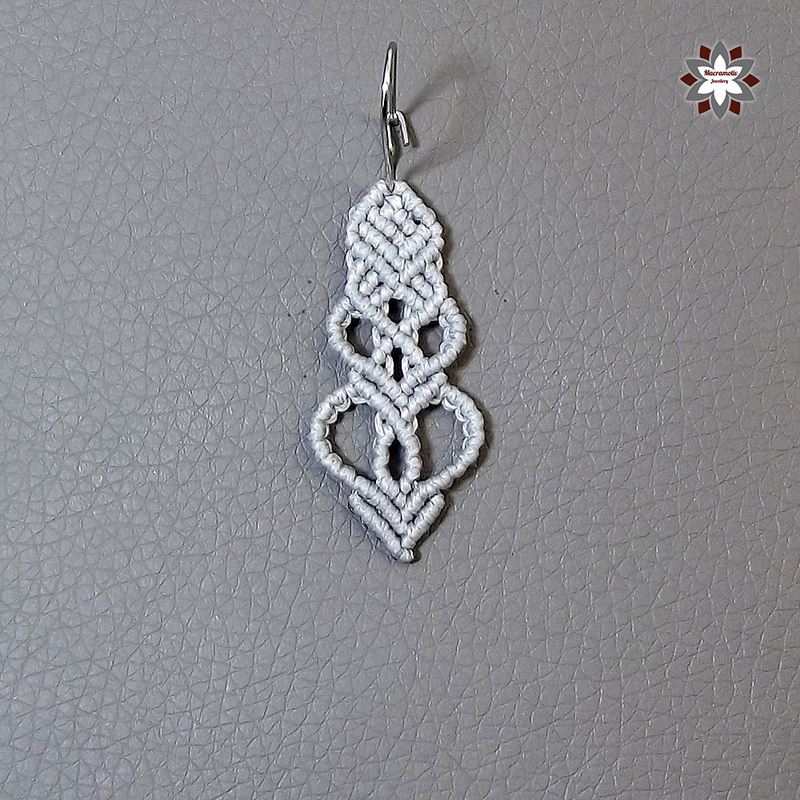 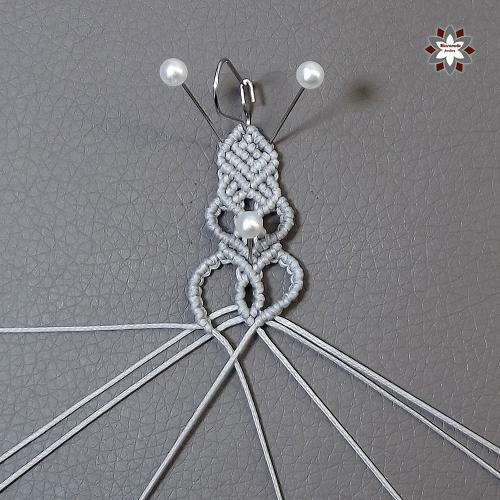 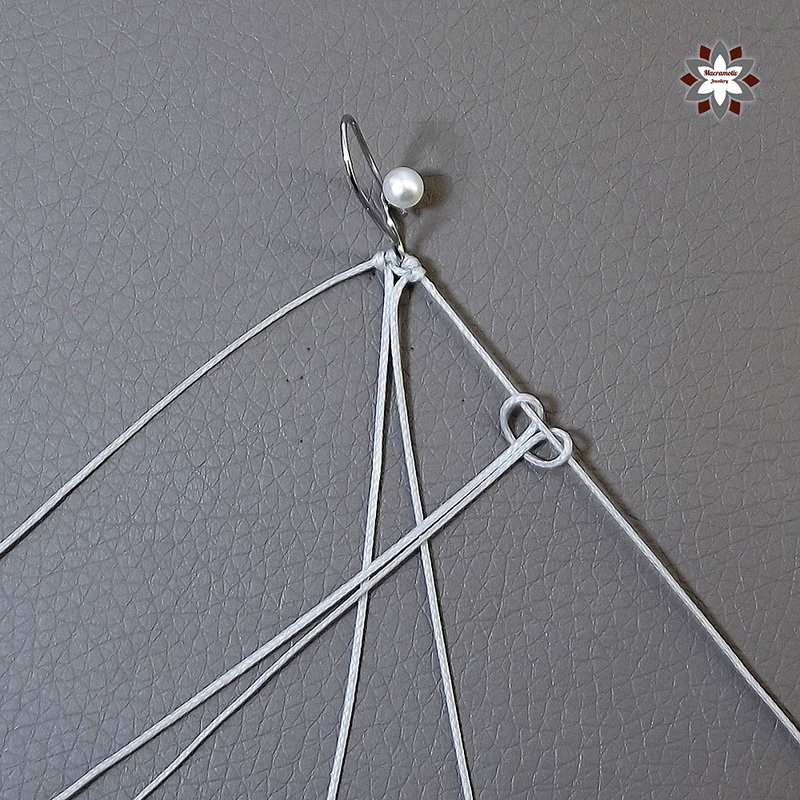 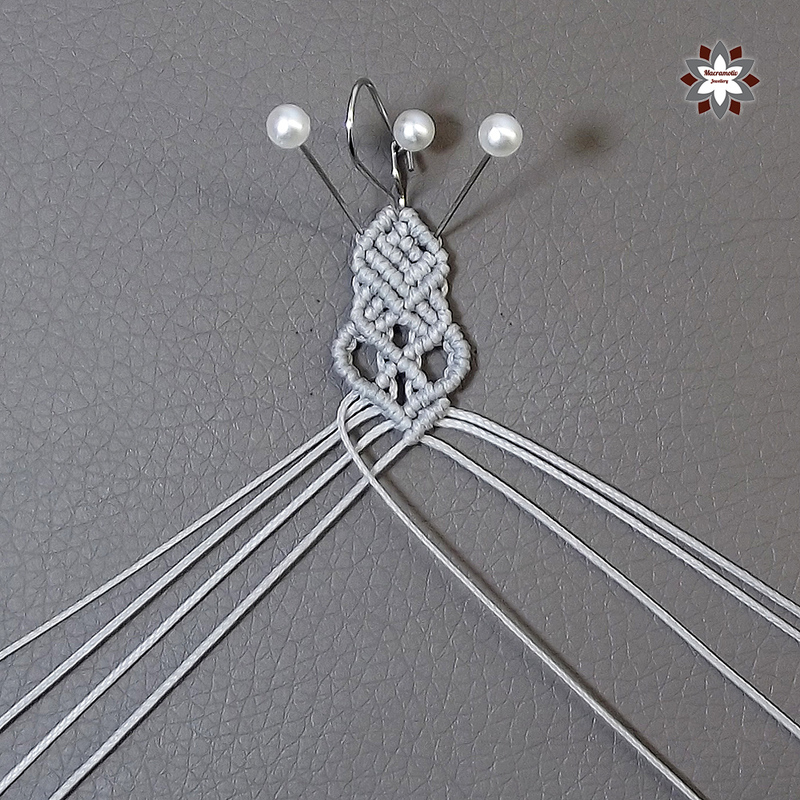 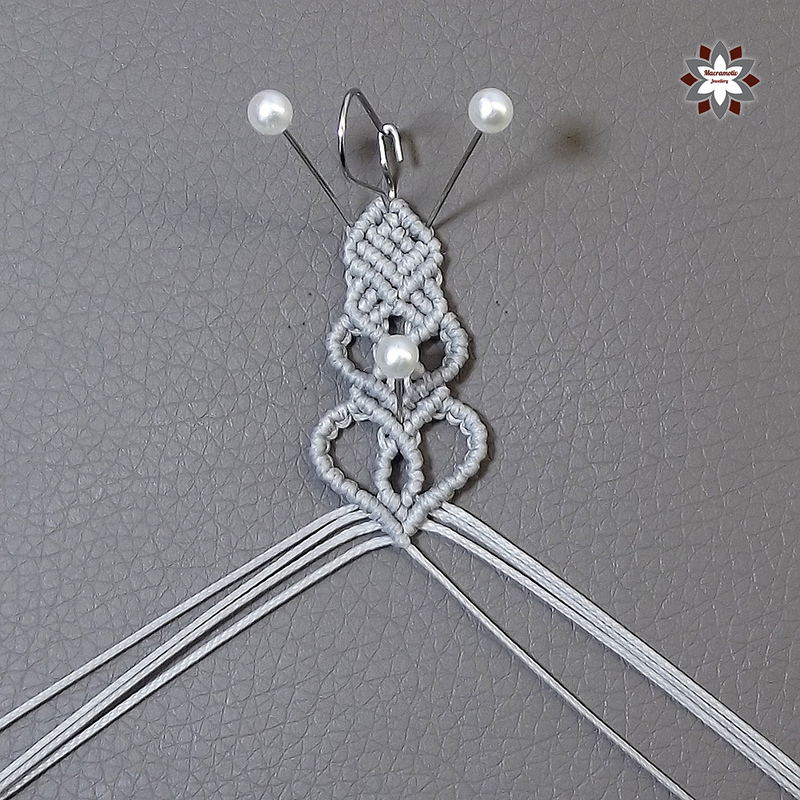 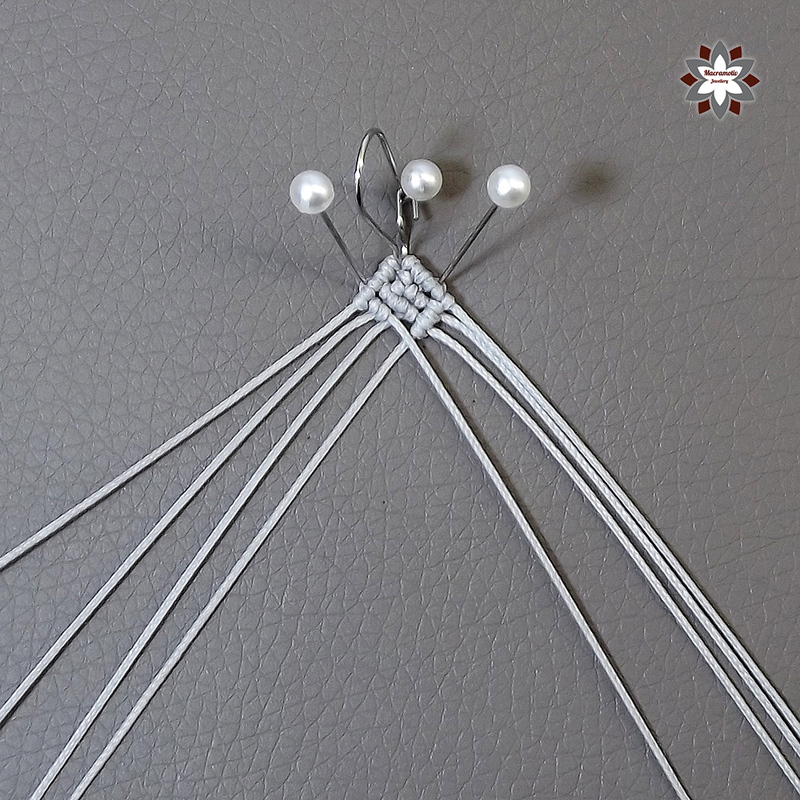 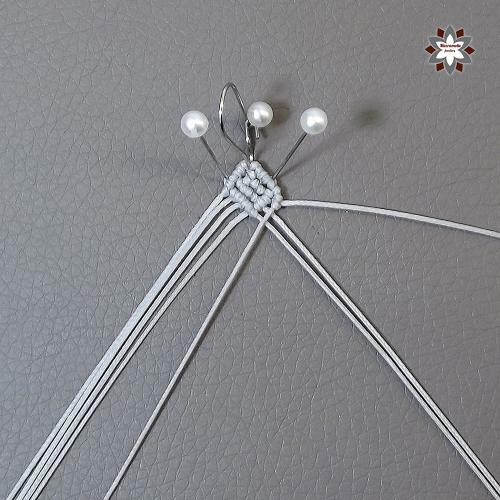 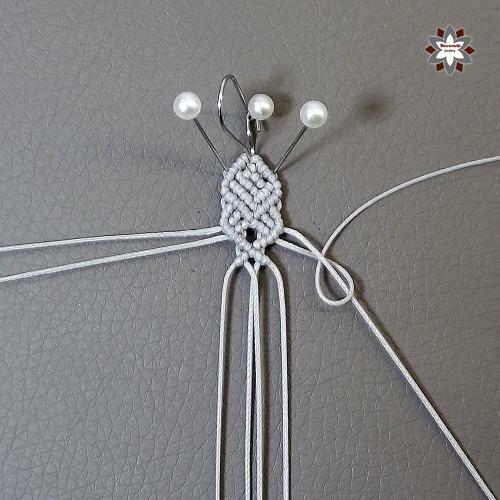 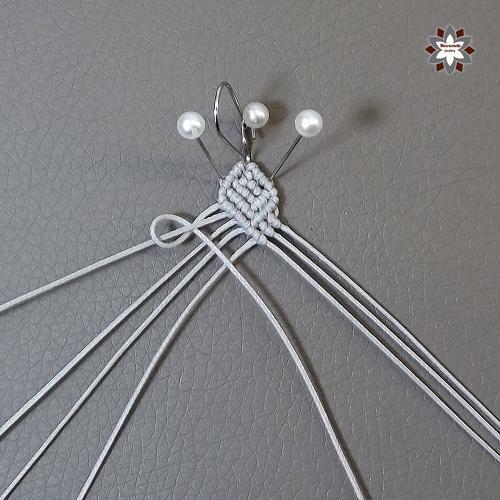 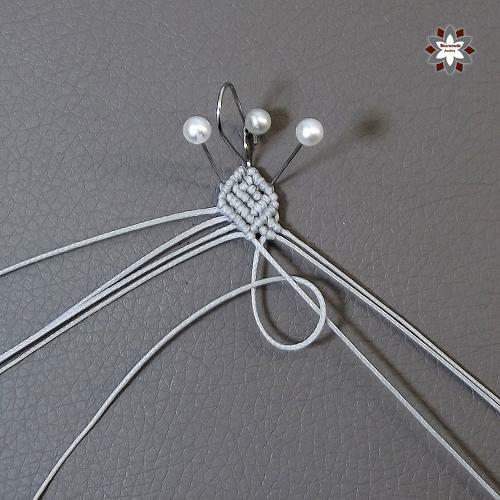 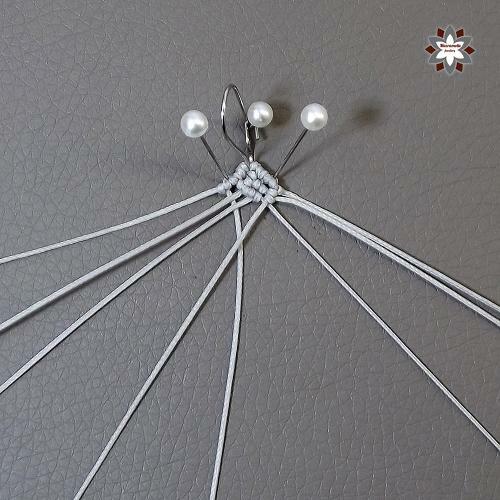 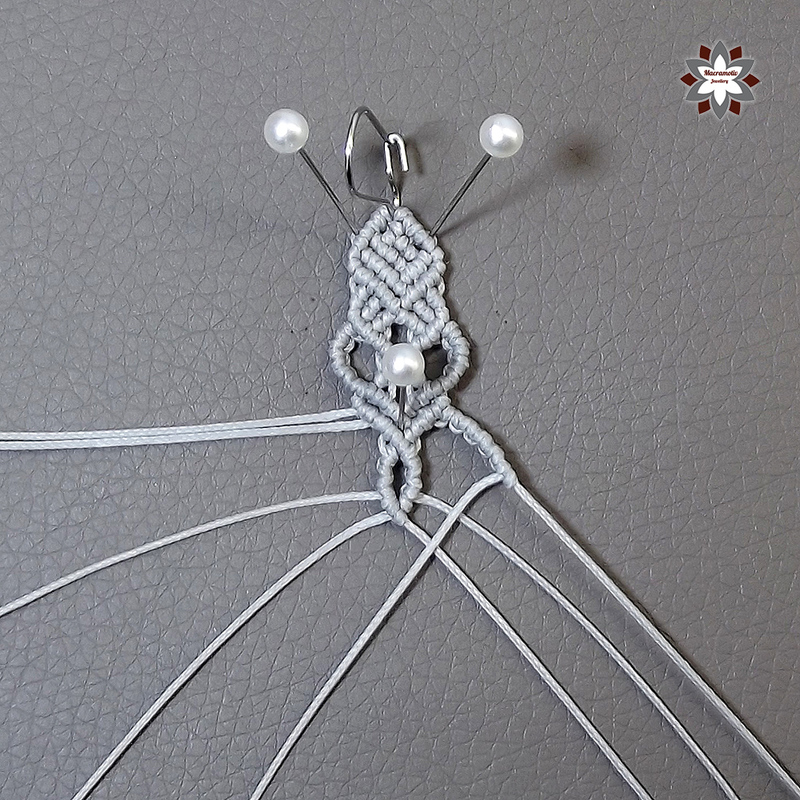 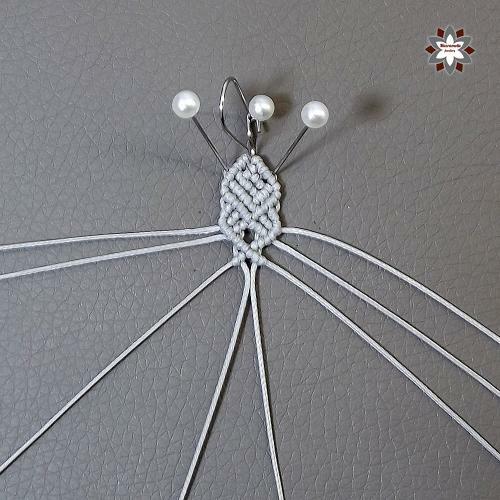 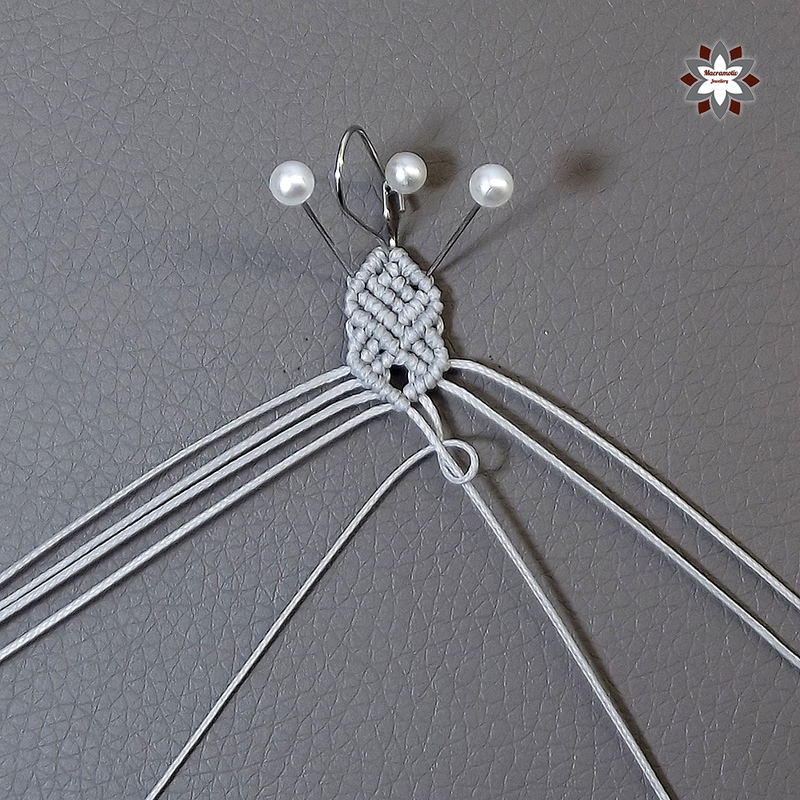 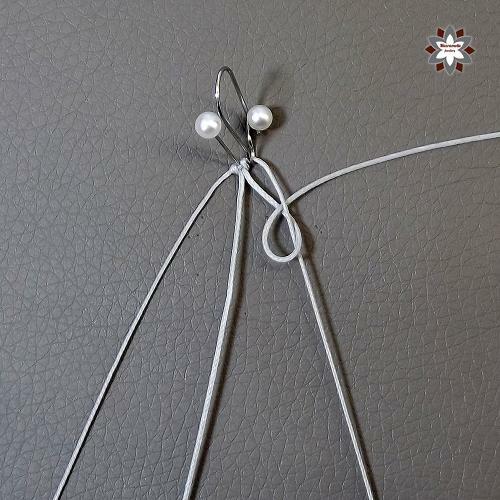 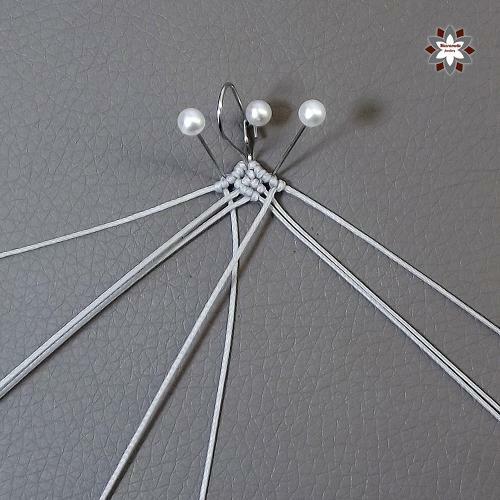 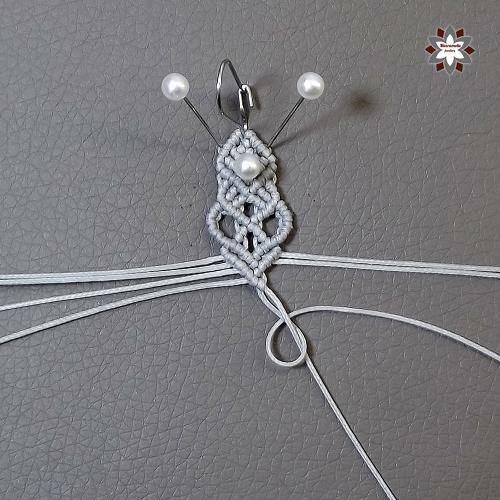 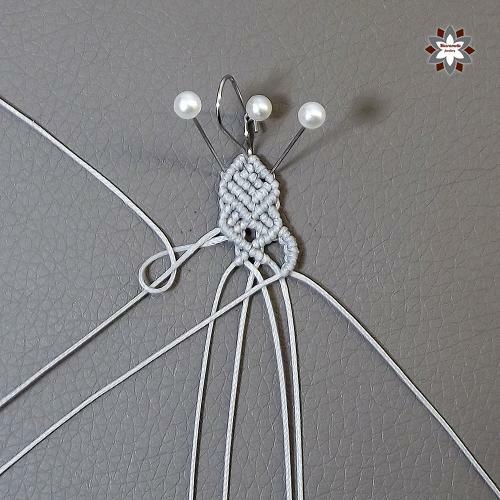 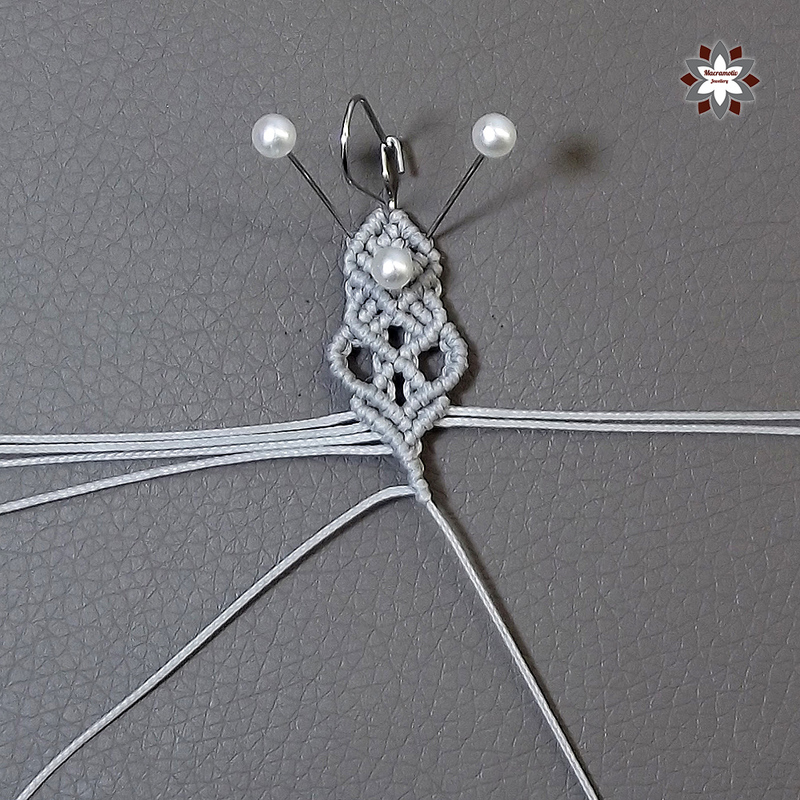 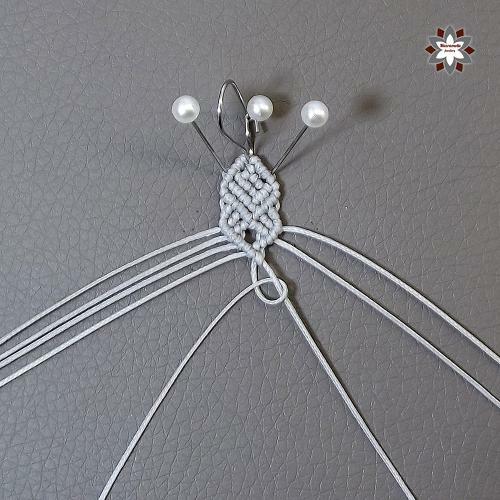 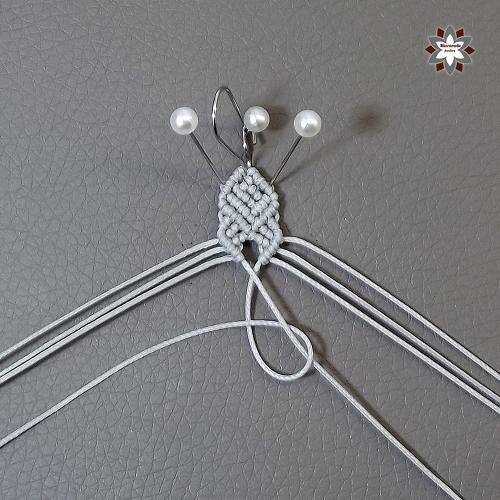 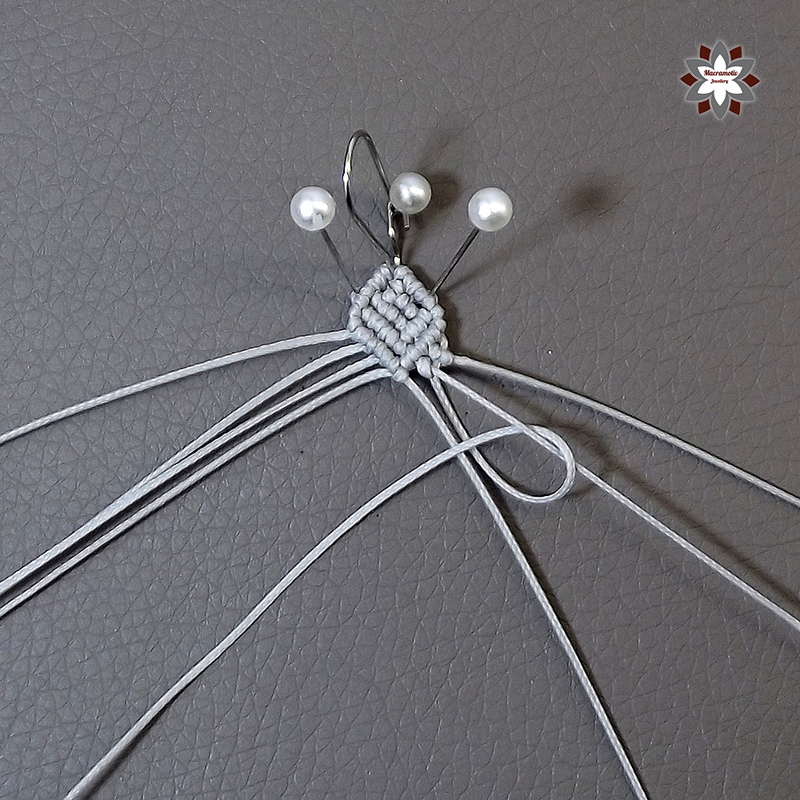 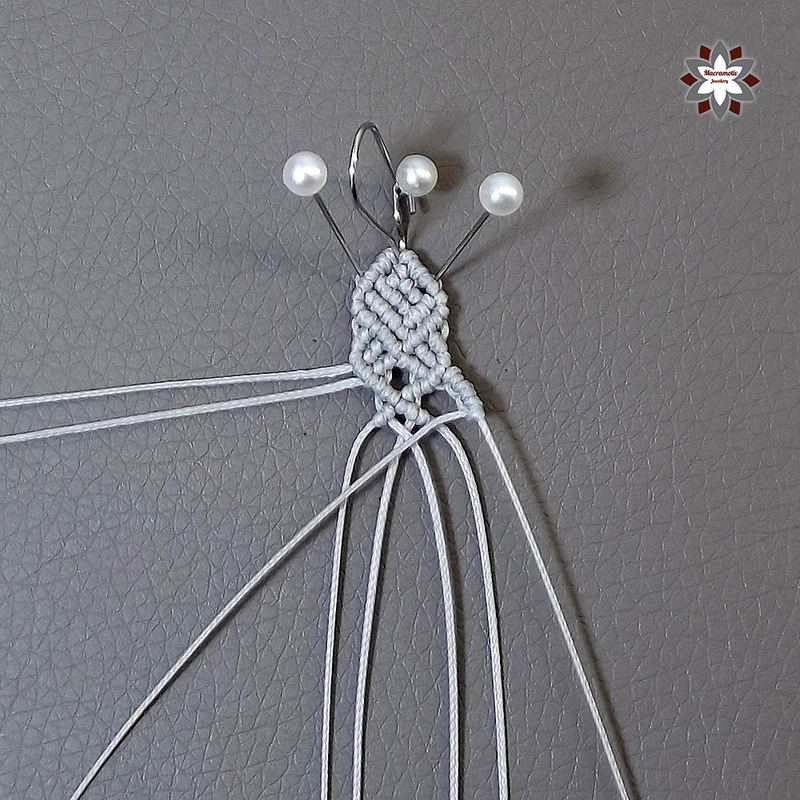 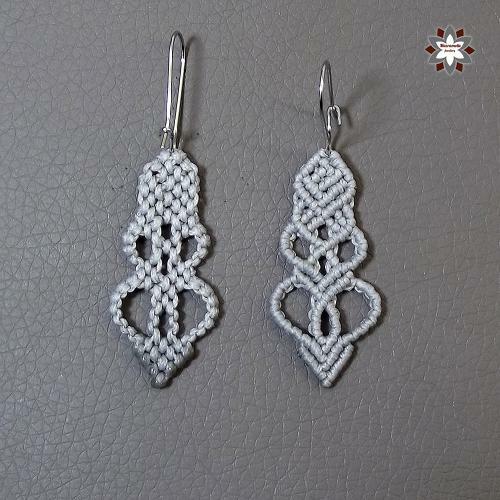 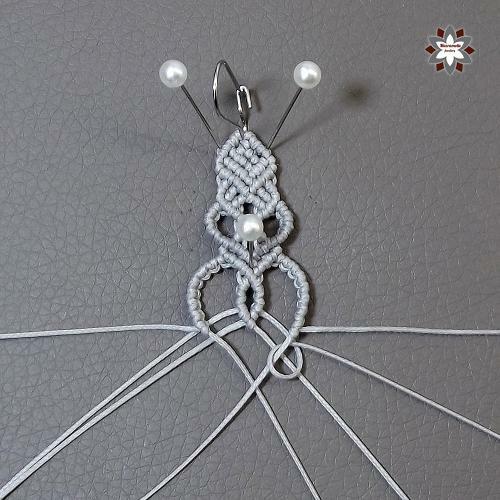 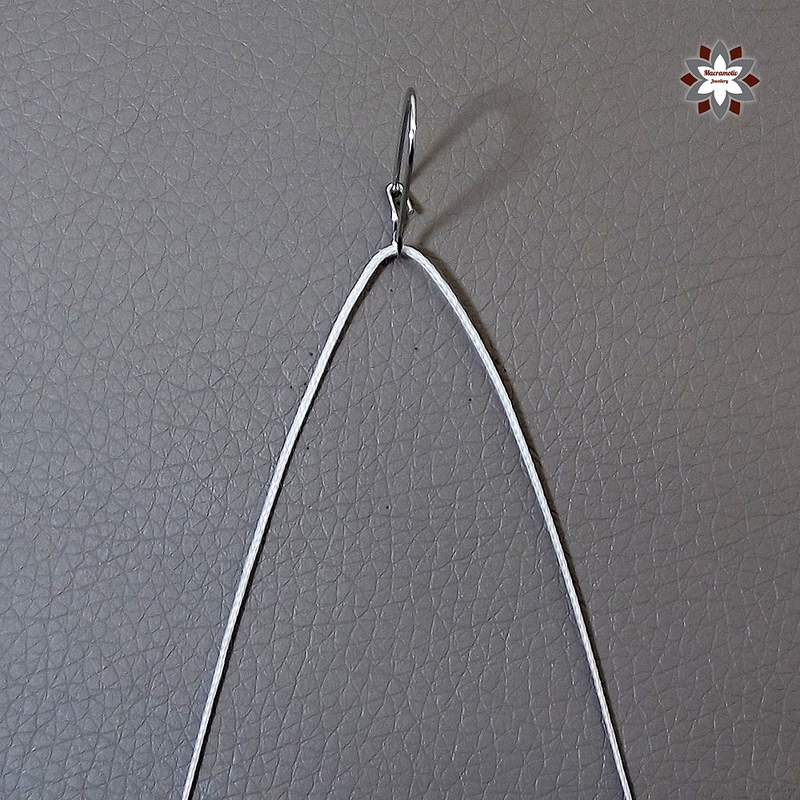 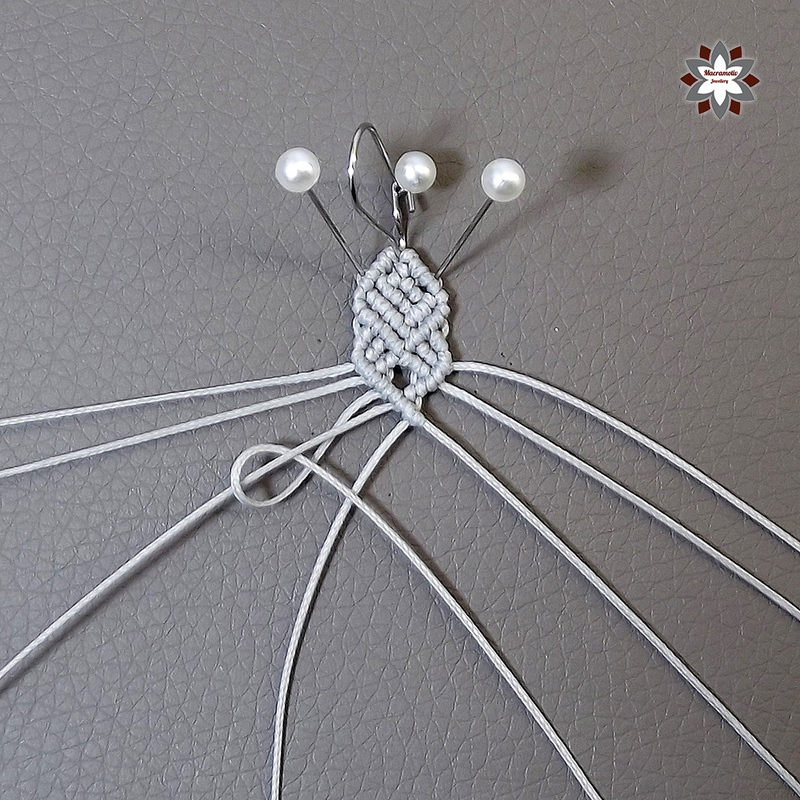 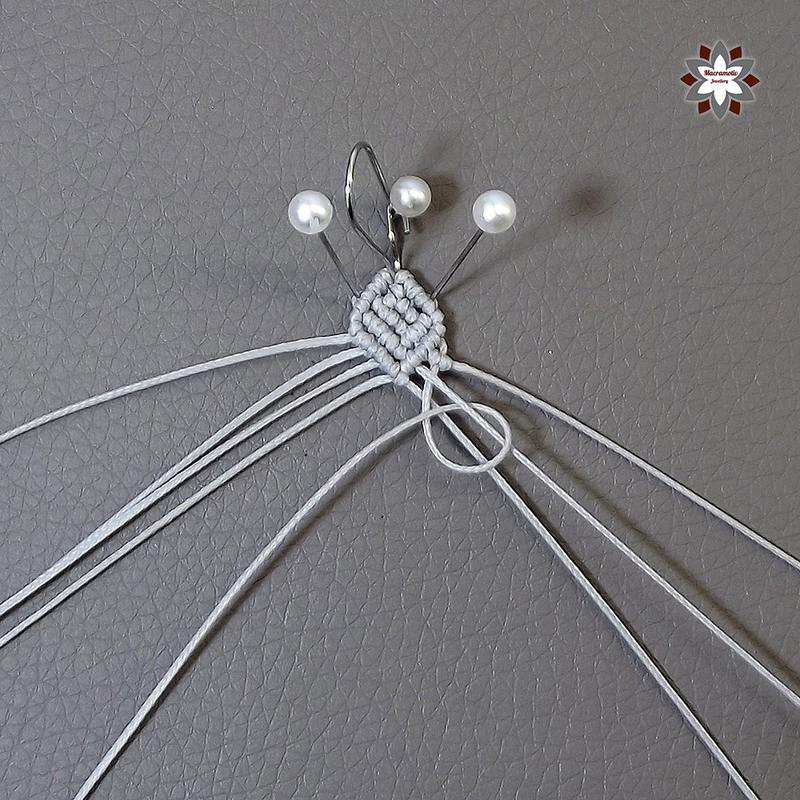 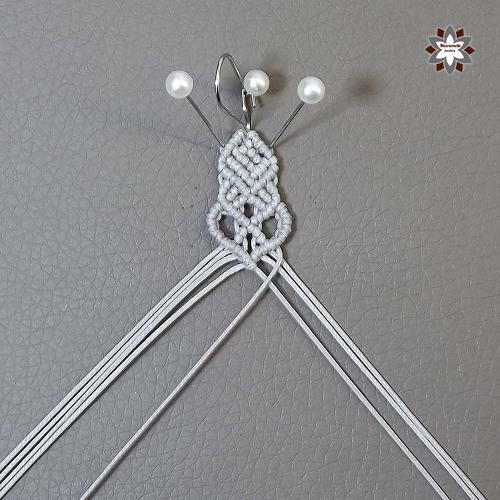 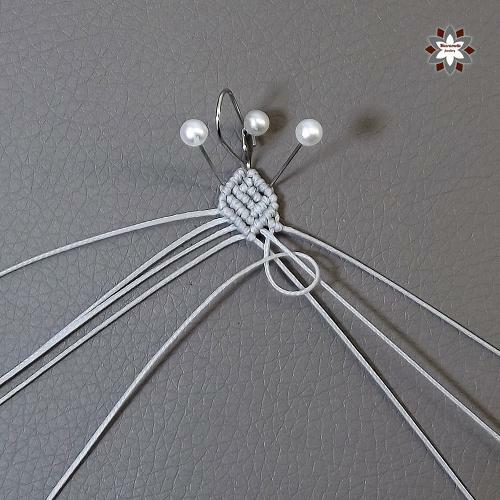 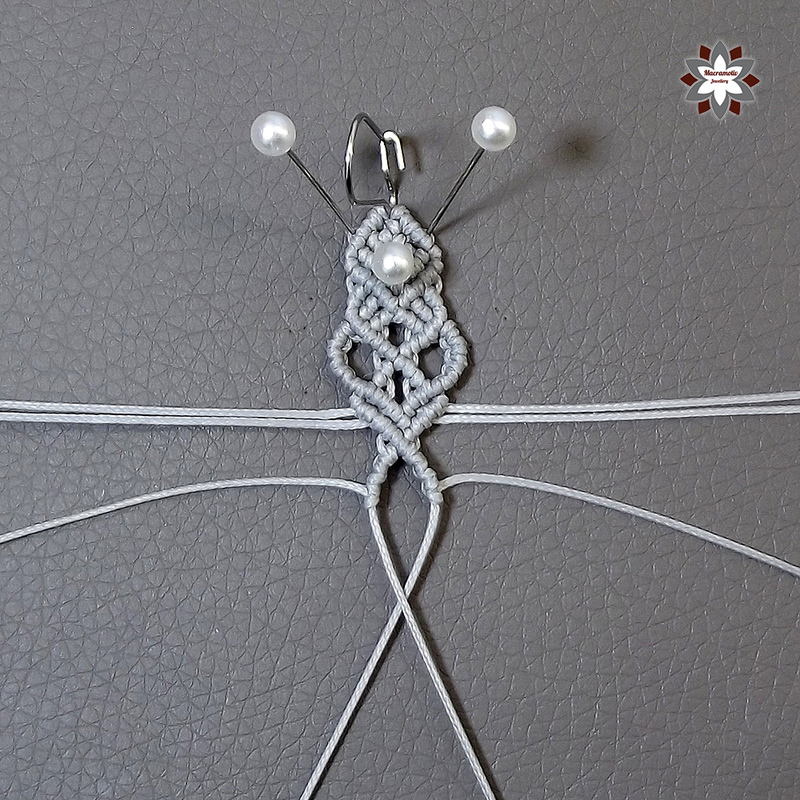 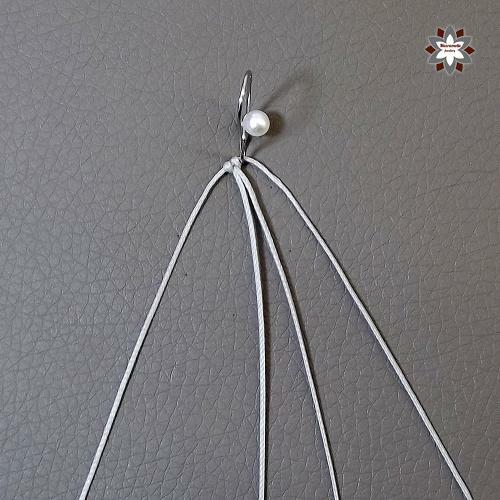 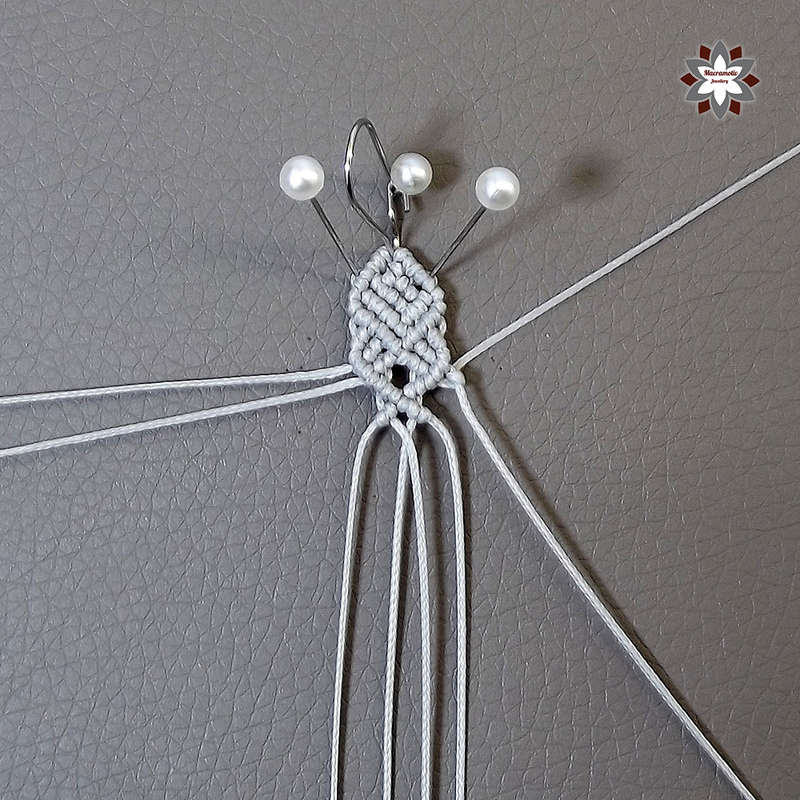 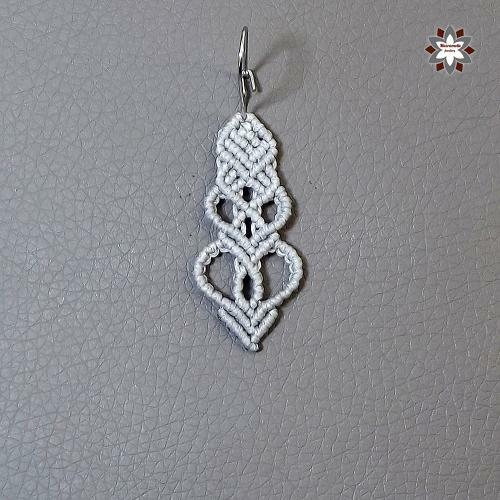 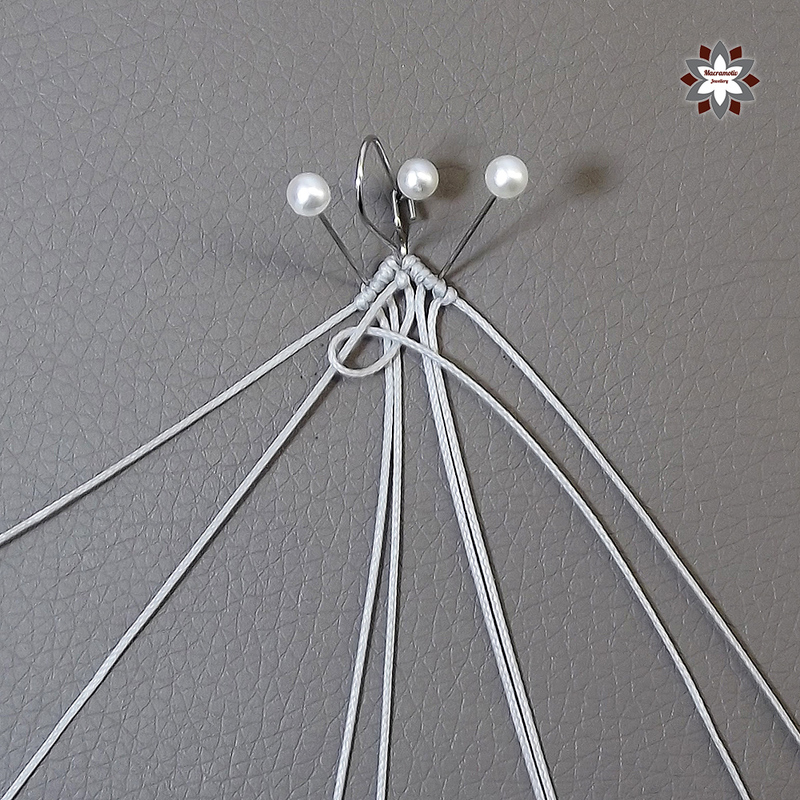 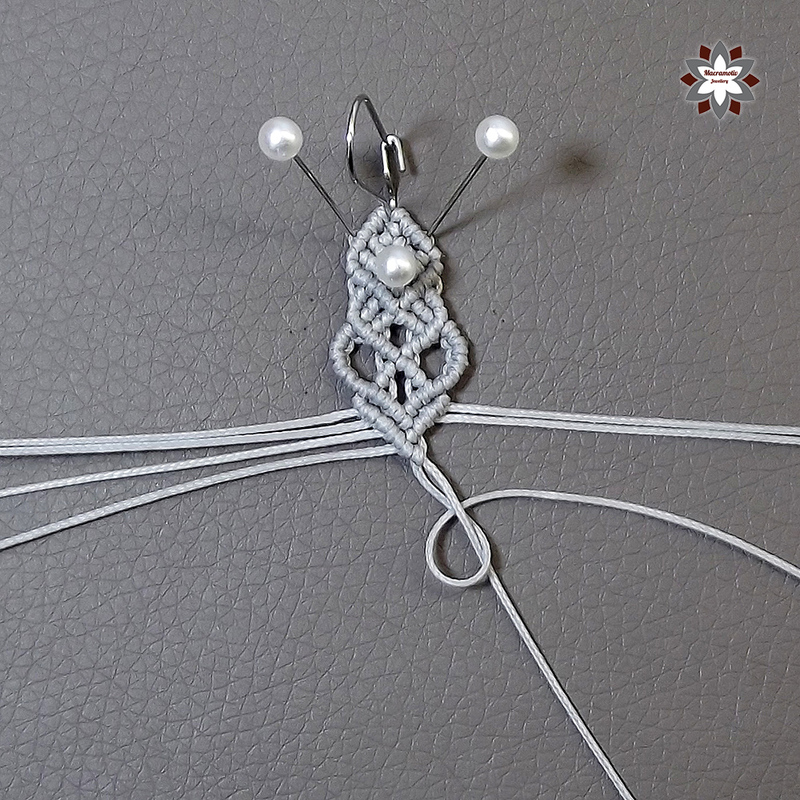 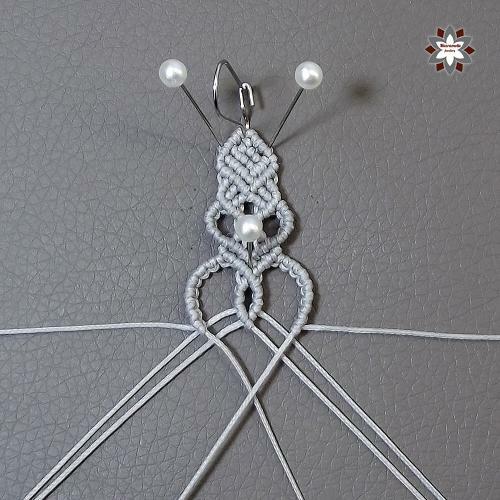 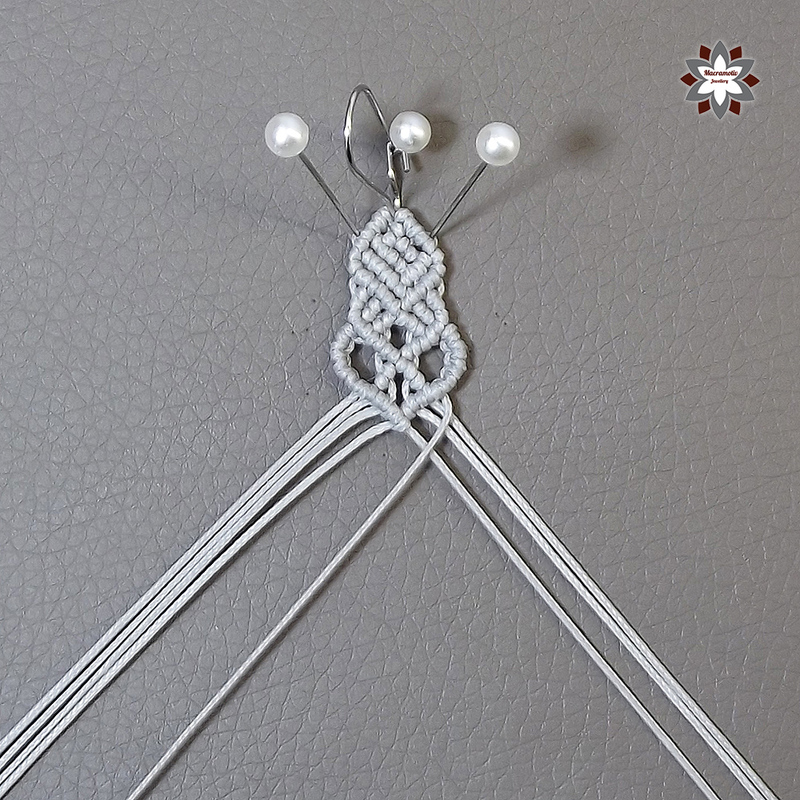 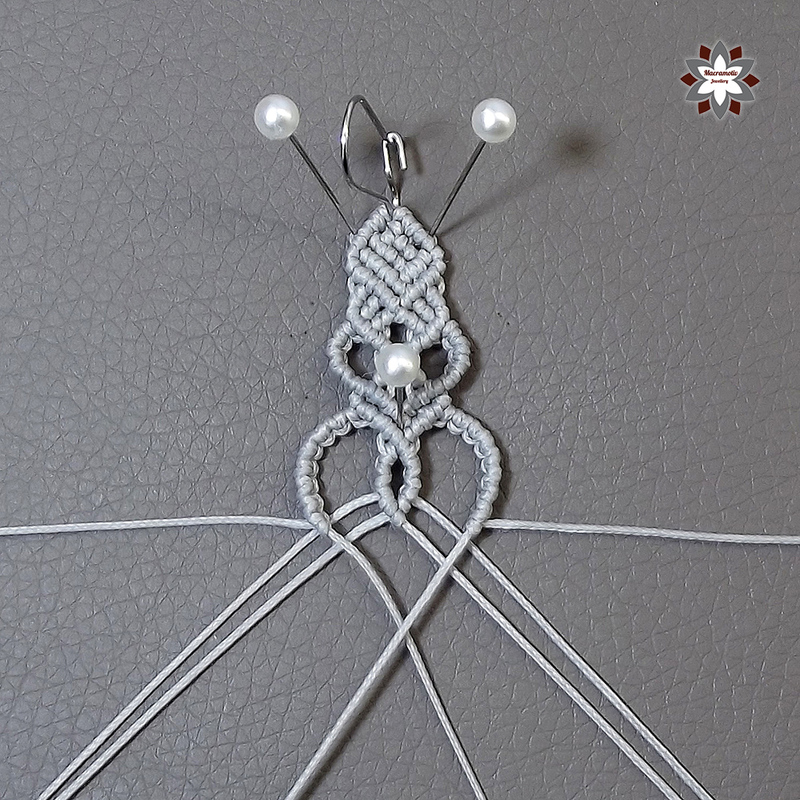 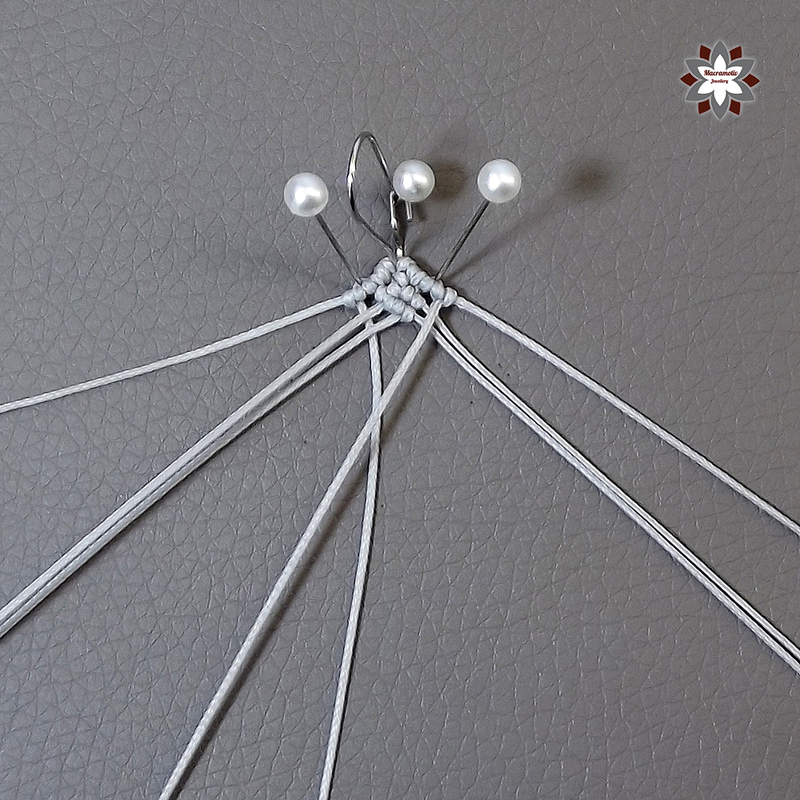 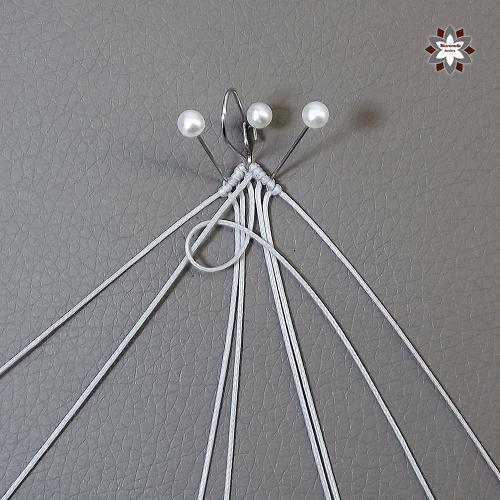 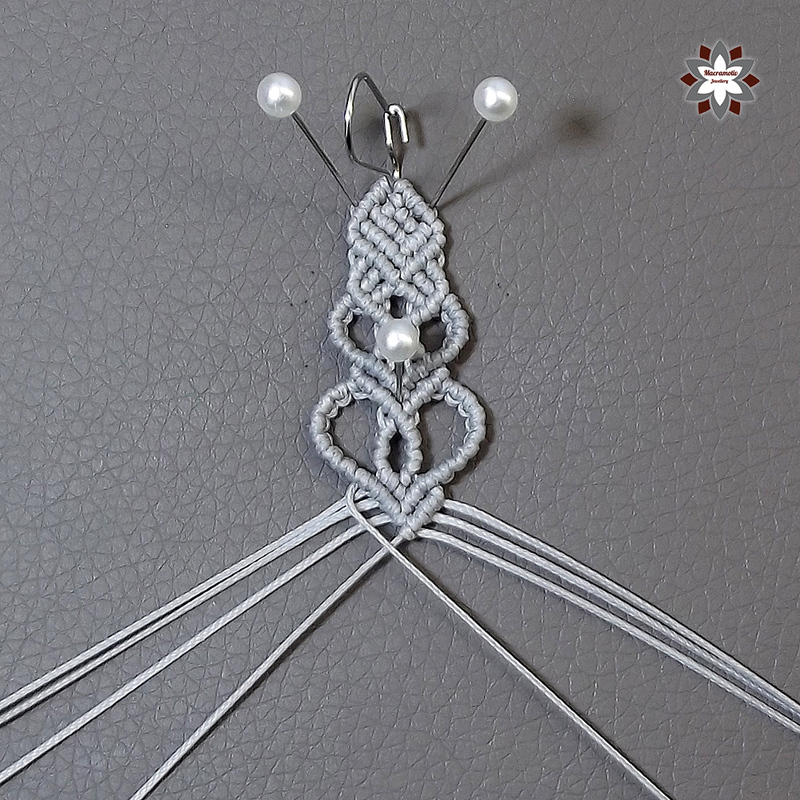 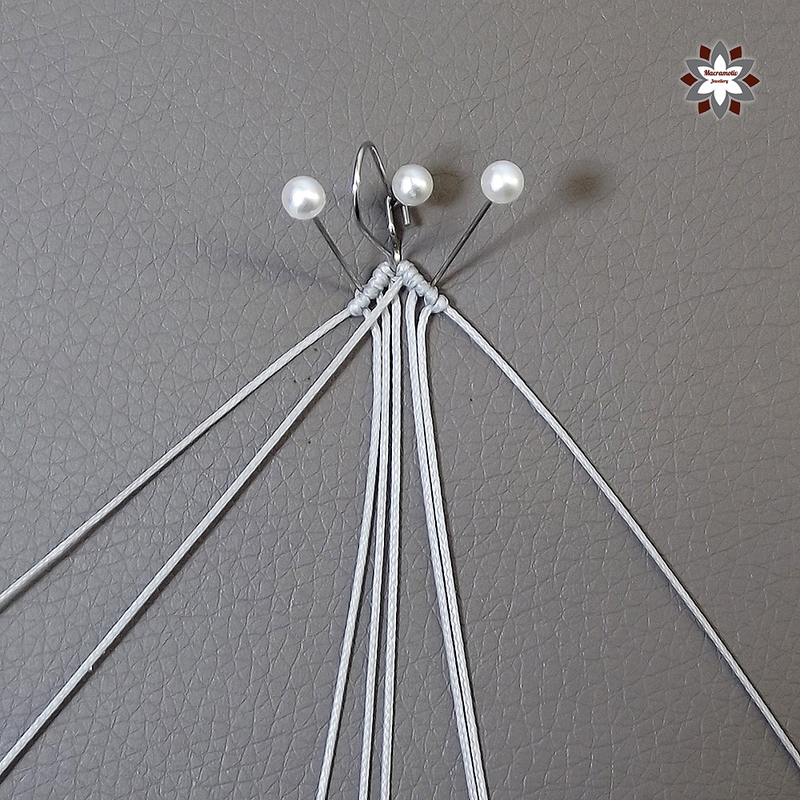 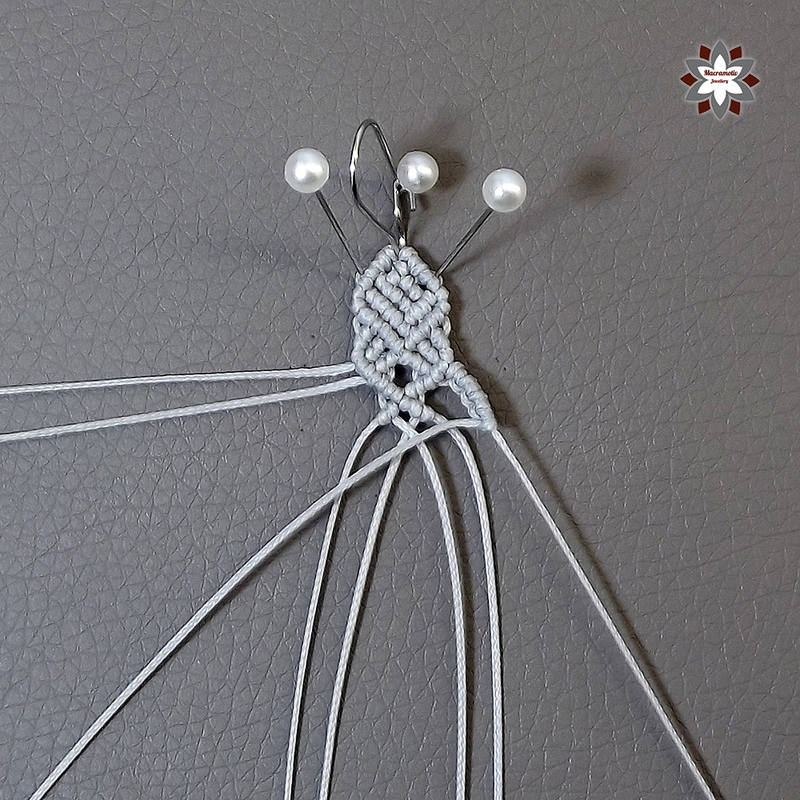 You can mirror the pattern to have a left and a right piece of earring, or you can knot two exactly same. 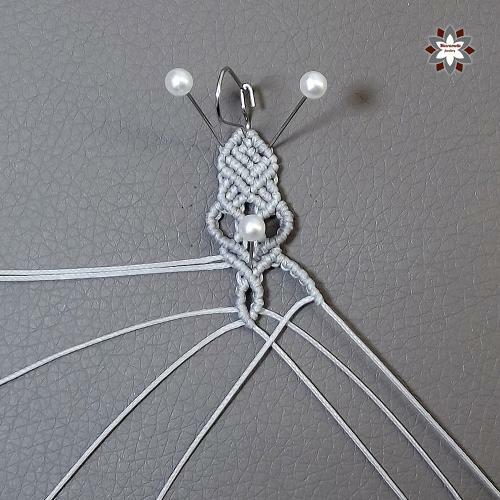 I used Amann Serabraid T90 thread, if you have any questions about the cords I use, or the board I work on, please visit FAQ first.